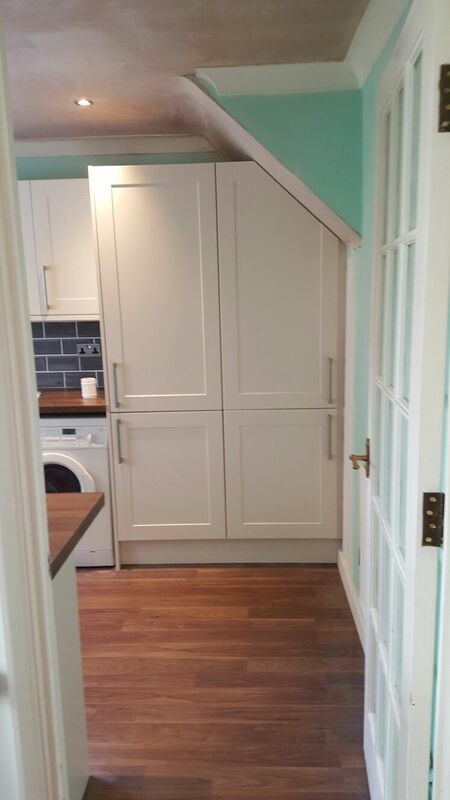 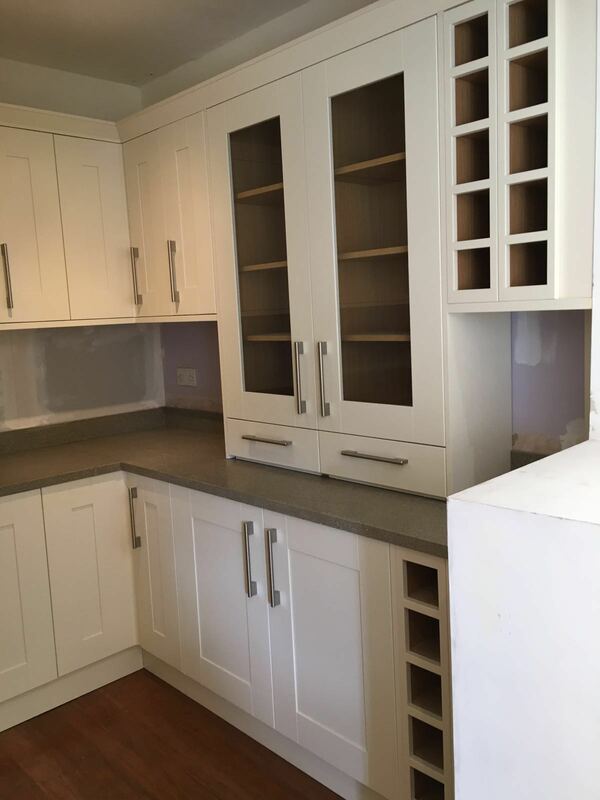 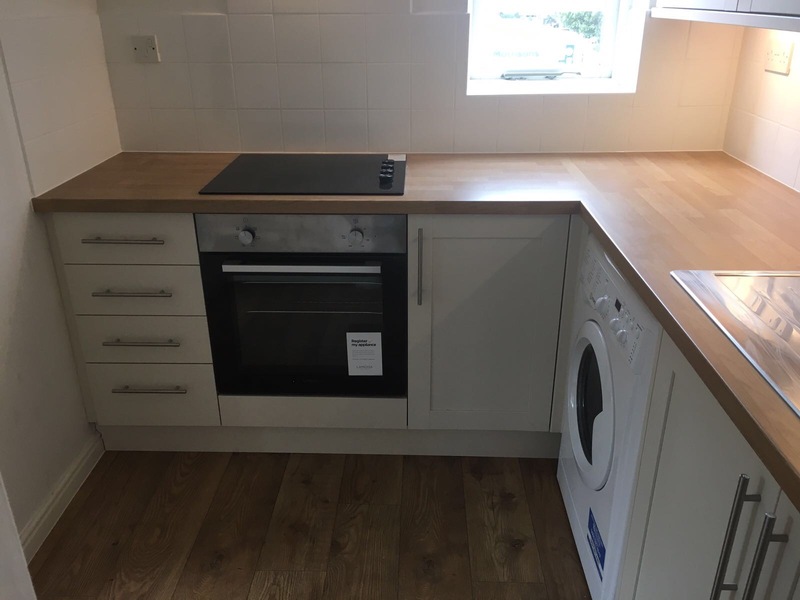 Kitchen & Utility room supplied and fitted in Edenbridge. 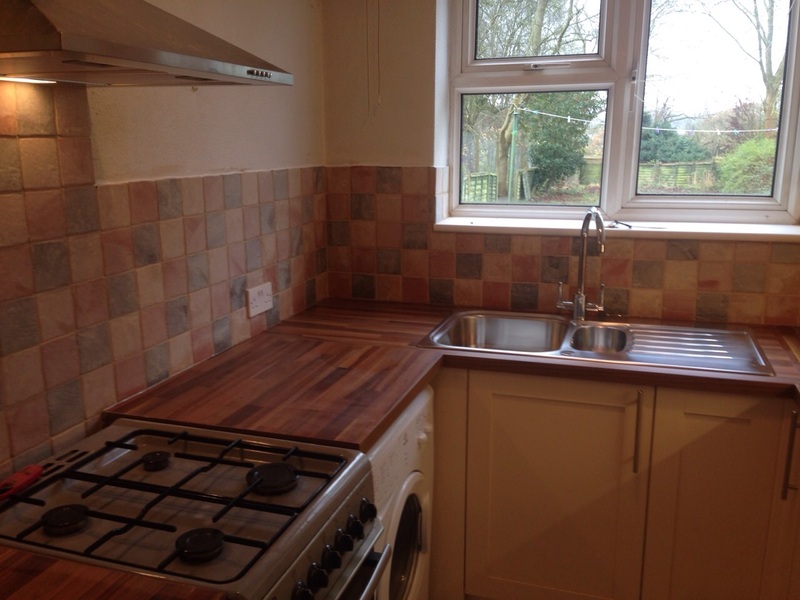 Including plumbing, electrics, gas, plastering, wall and floor tilling. 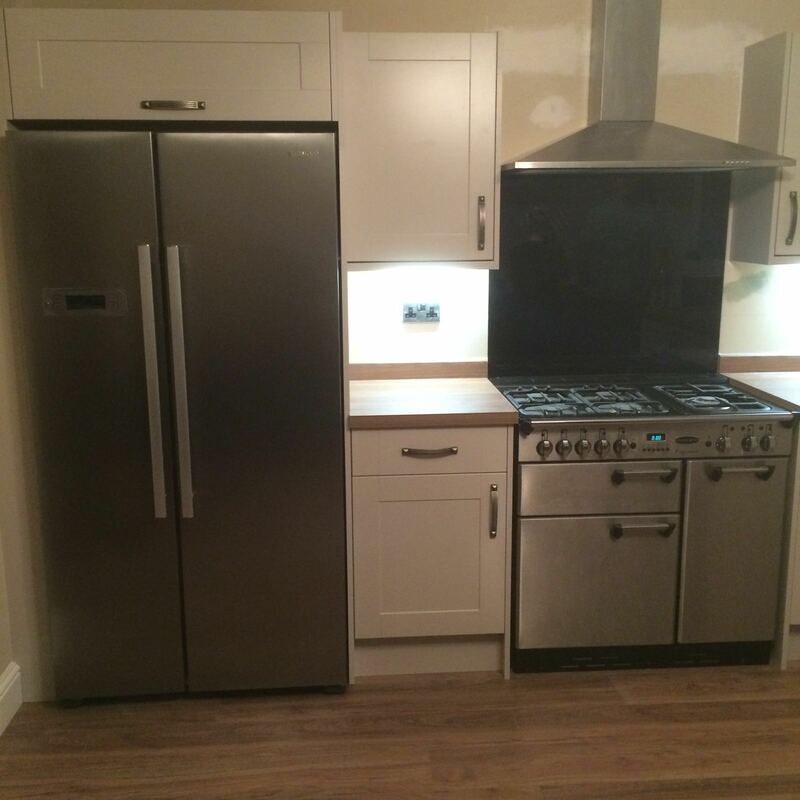 Kitchen Supplied & fitted by AC Installations in Catford. 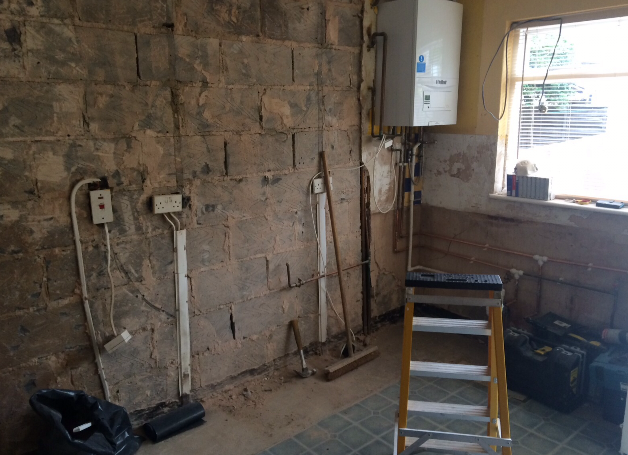 Including full rip out of walls re-boarded, fuse box moved, new electrics installed, new plumbing, boiler boxed in & wall tiling. 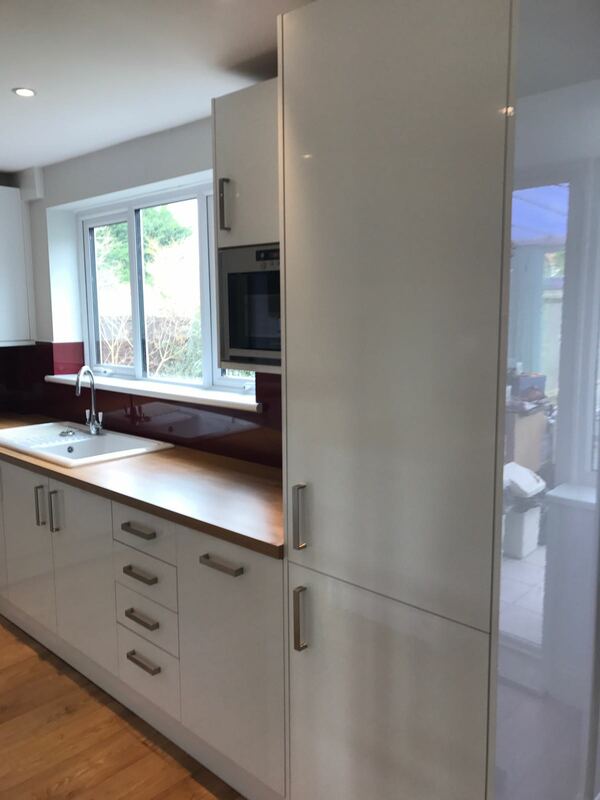 Kitchen supplied & fitted by AC Installations in Brentwood. 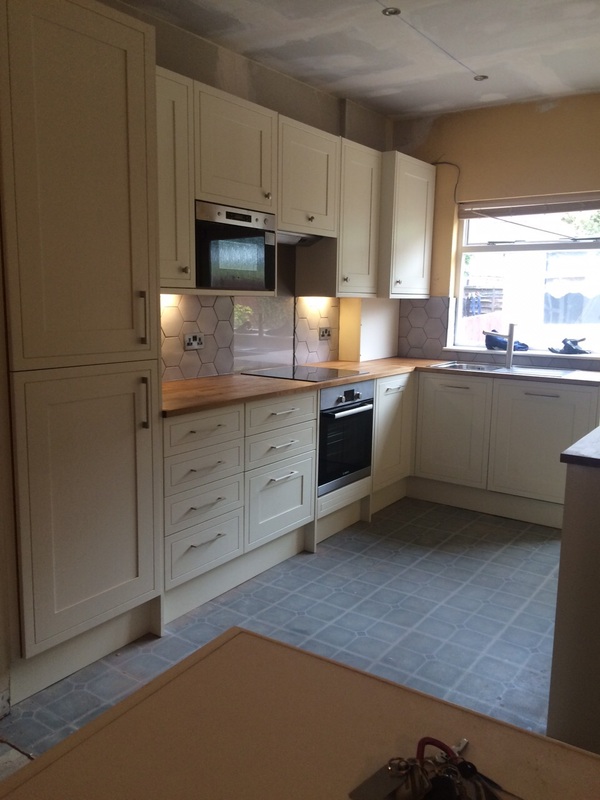 Including extension & groundworks, new plumbing, electrics, lighting, under floor heating, flooring & painting. 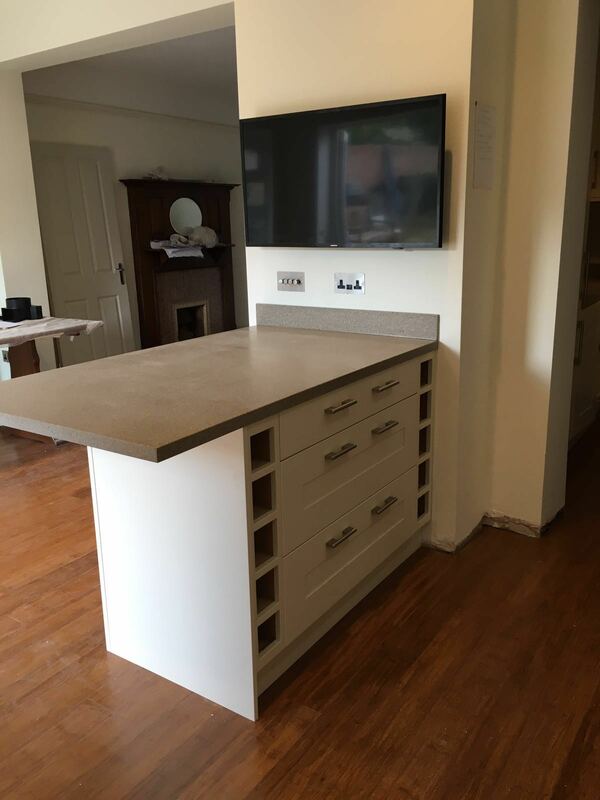 Work Top supplied & fitted from Henderson @ coxheath, Maidstone. 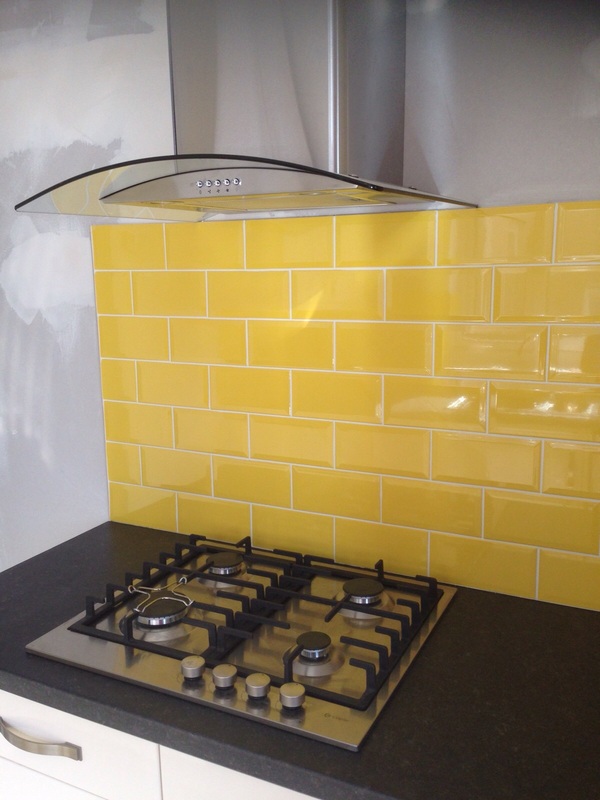 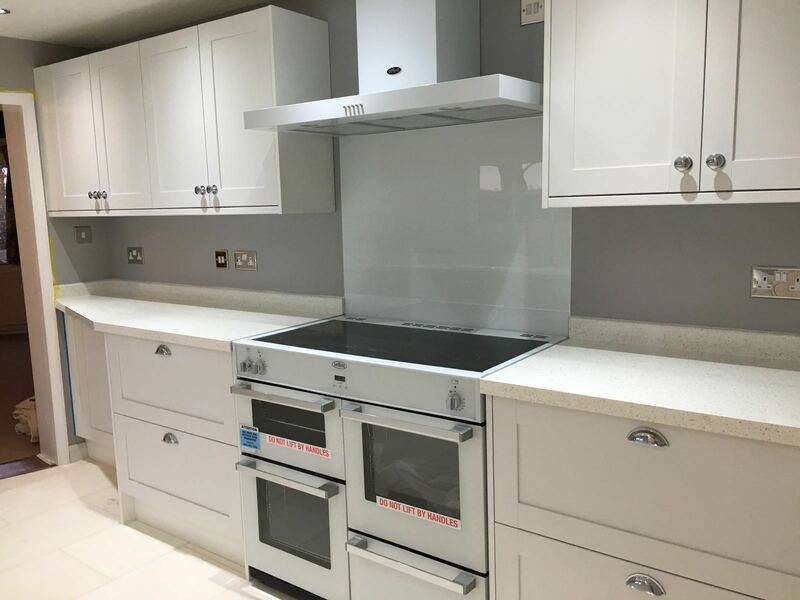 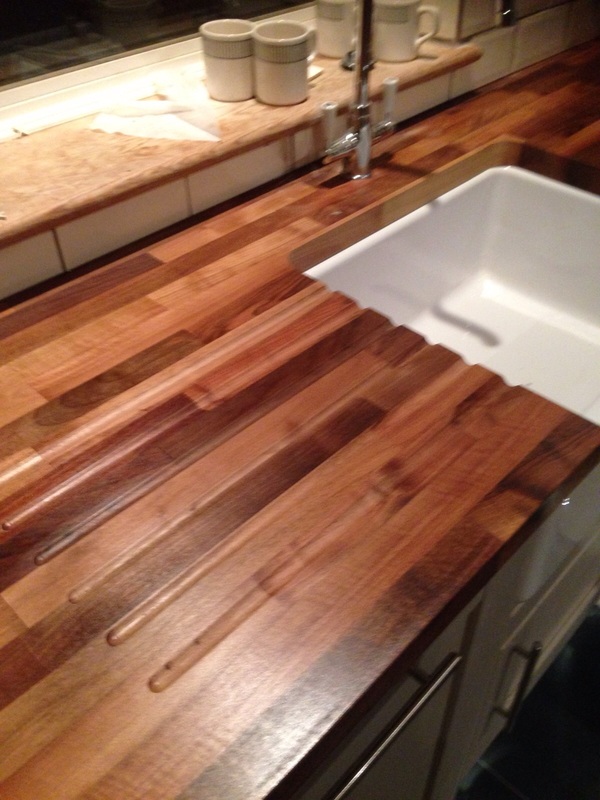 Glass splash backs fitted by a company in Essex. 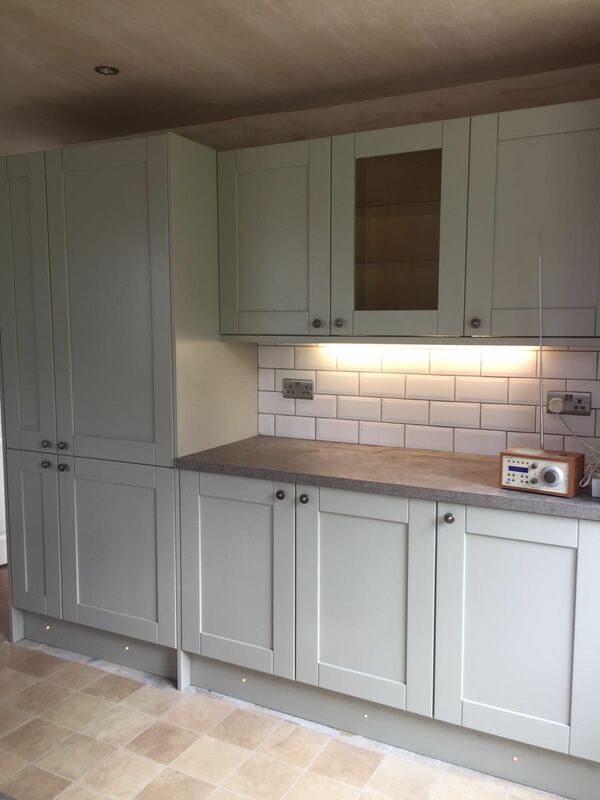 Kitchen Supplied & Fitted by AC Installations in Boughton Monchelsea. 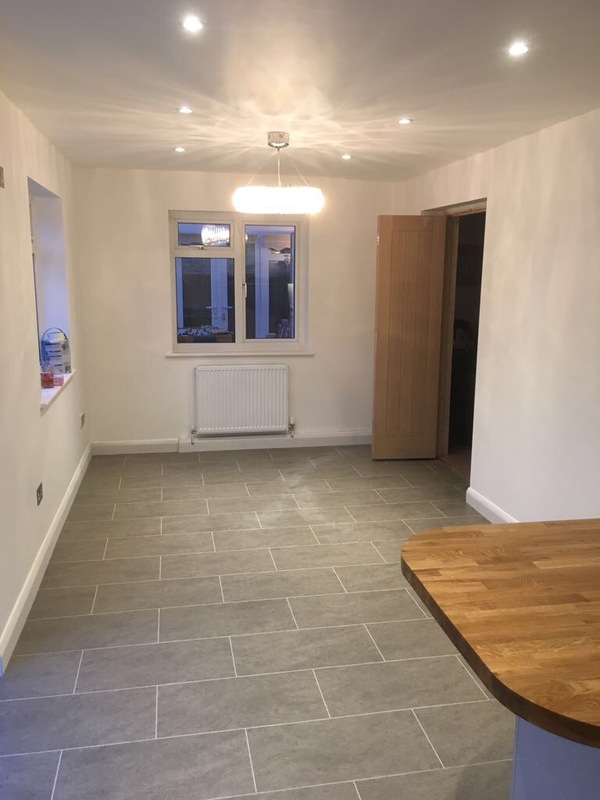 Including removal of wall to make it open plan, Double doors fitted between the lounge & Kitchen , Ceiling plastered, new lighting, central heating work, plumbing wall & floor tiling & Painting. 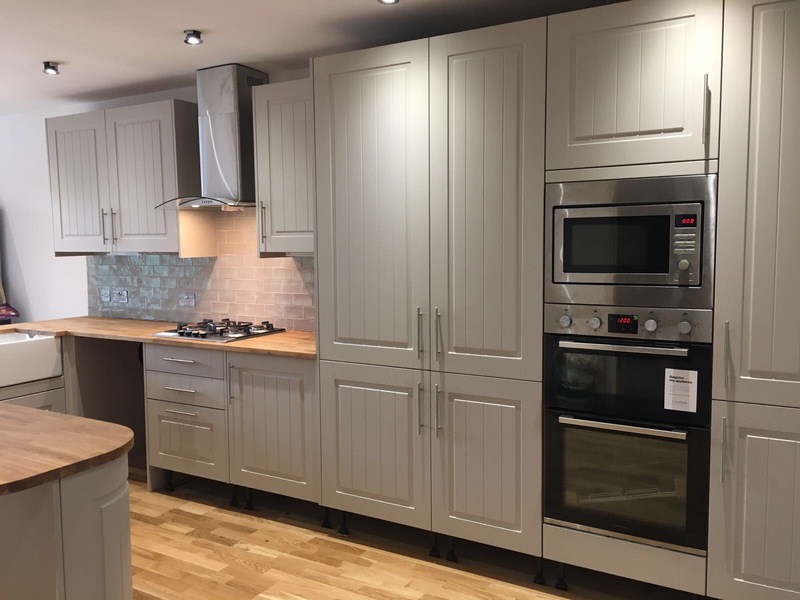 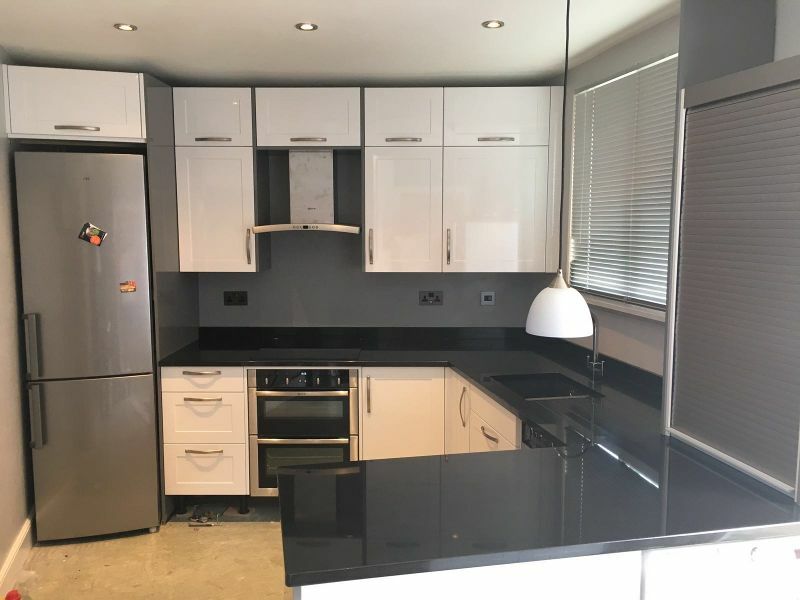 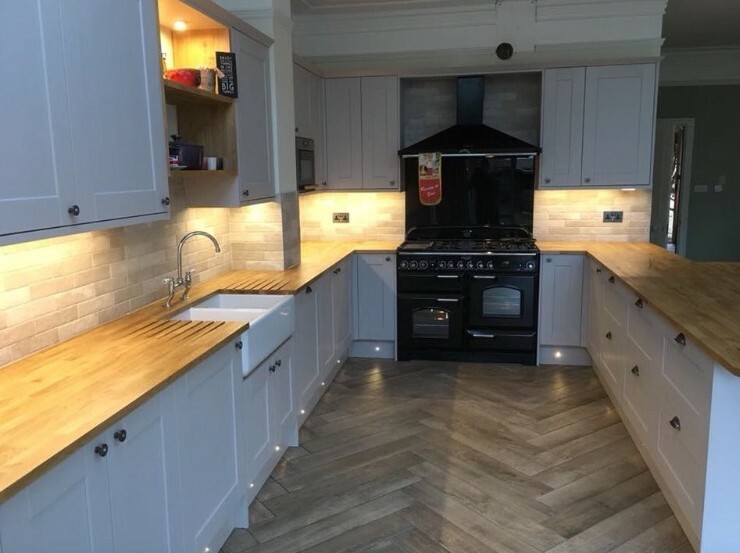 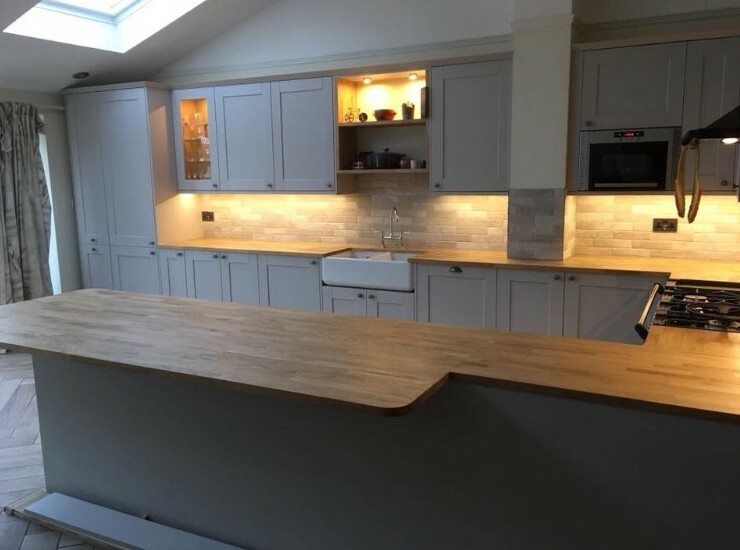 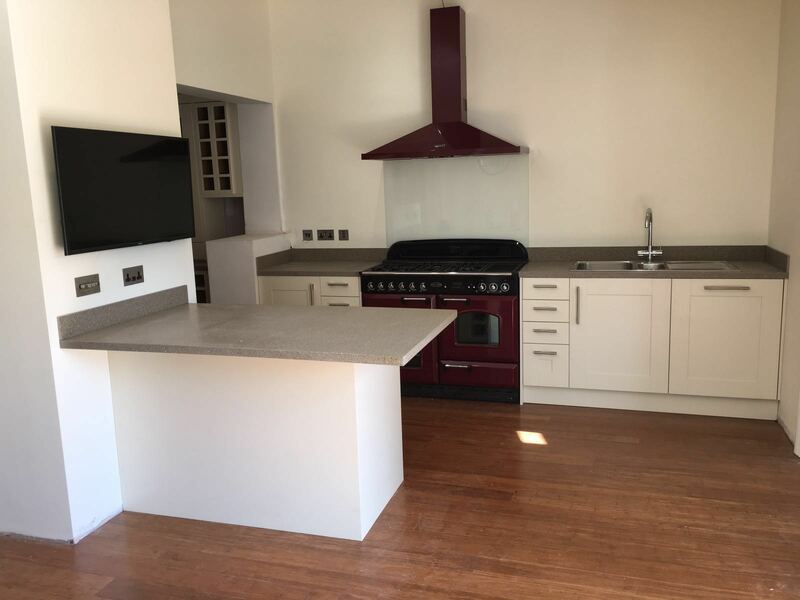 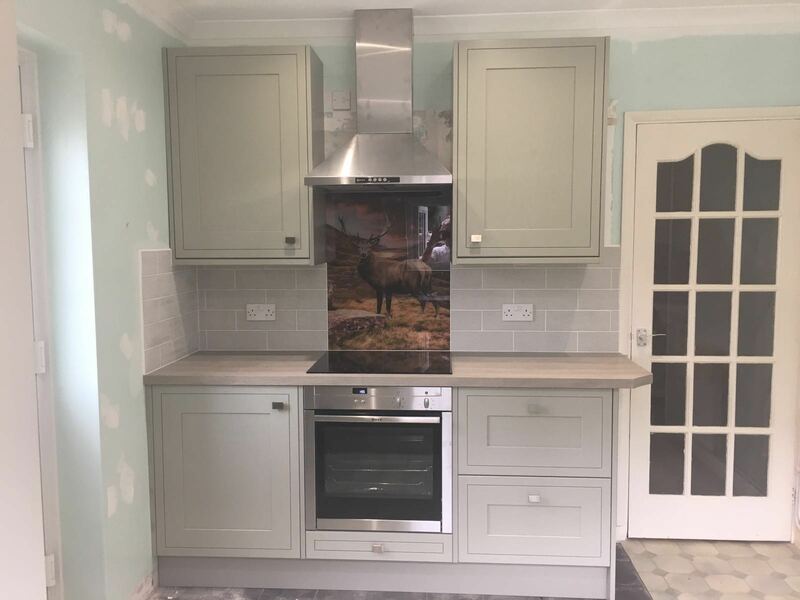 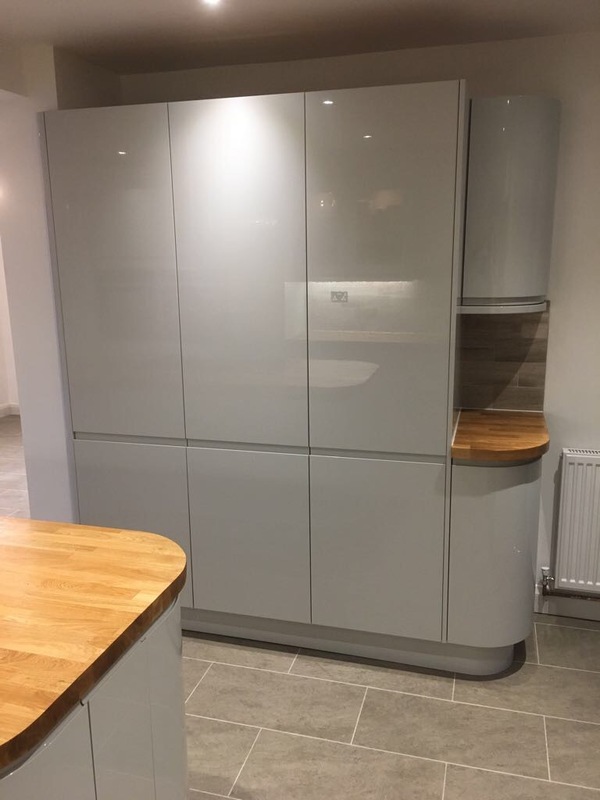 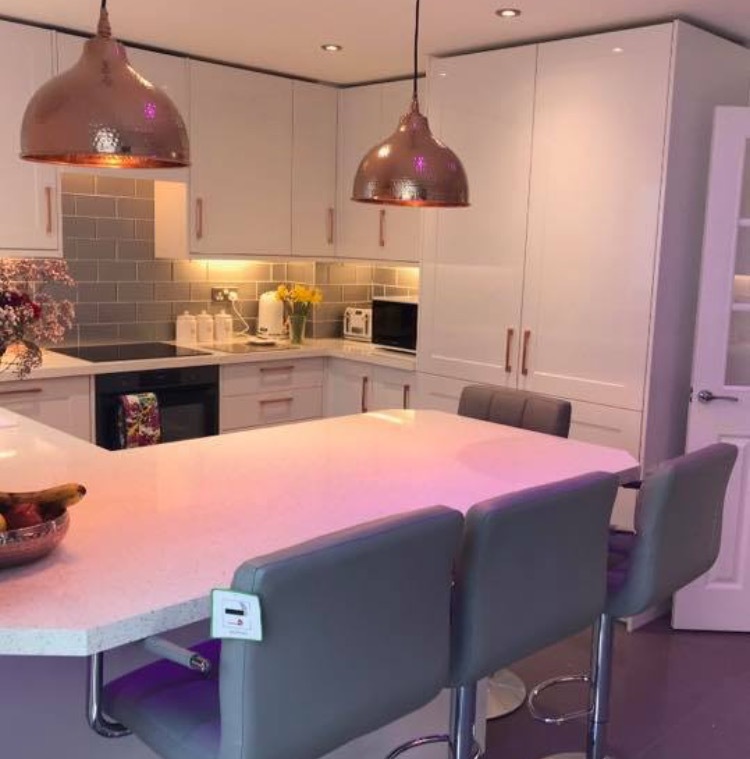 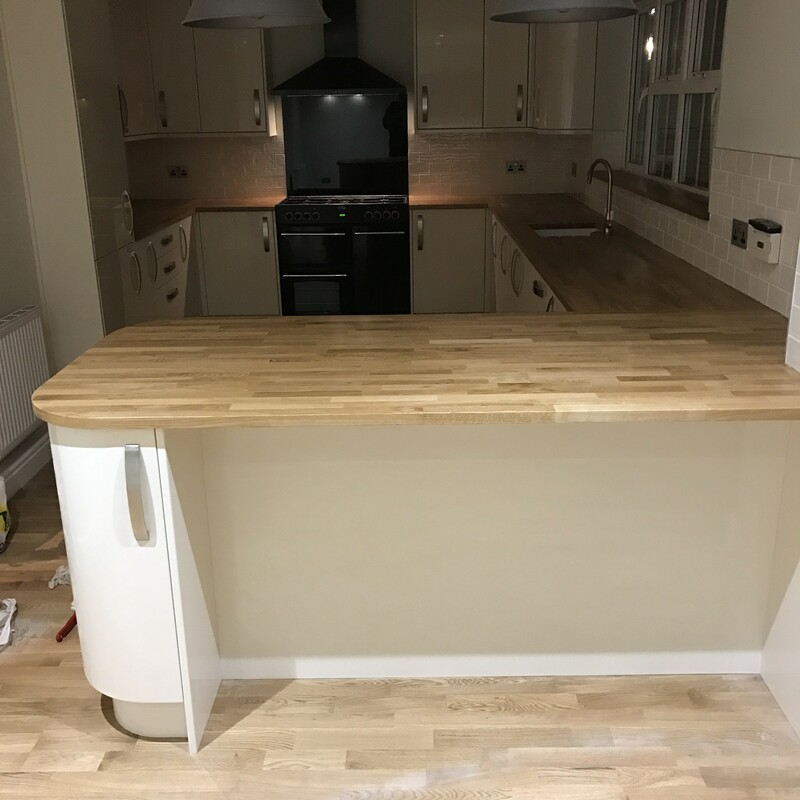 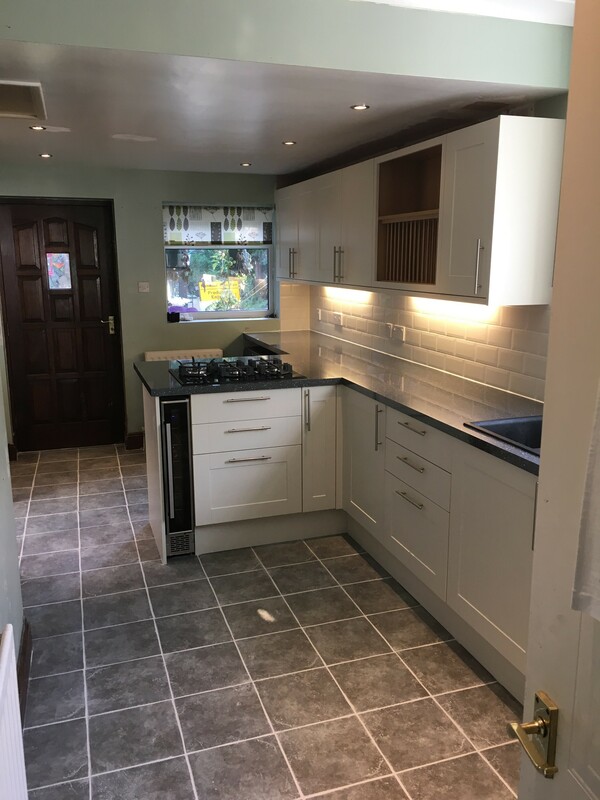 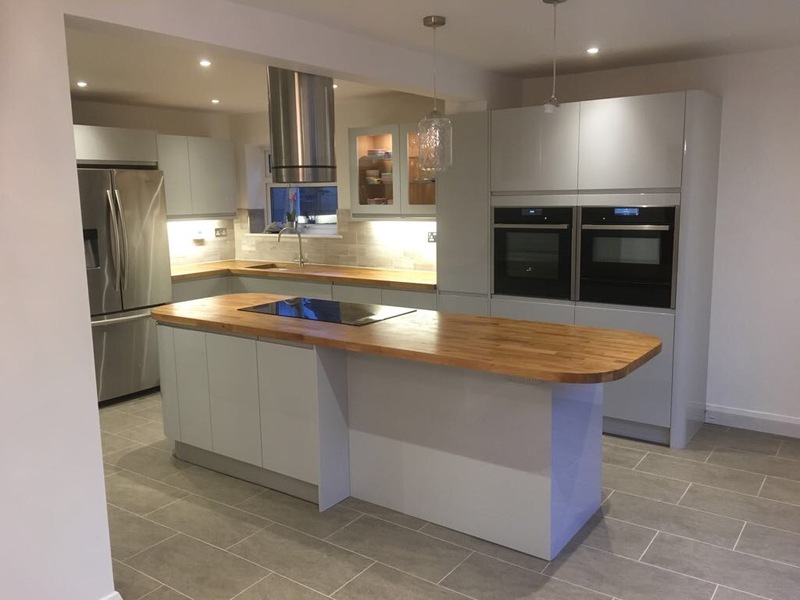 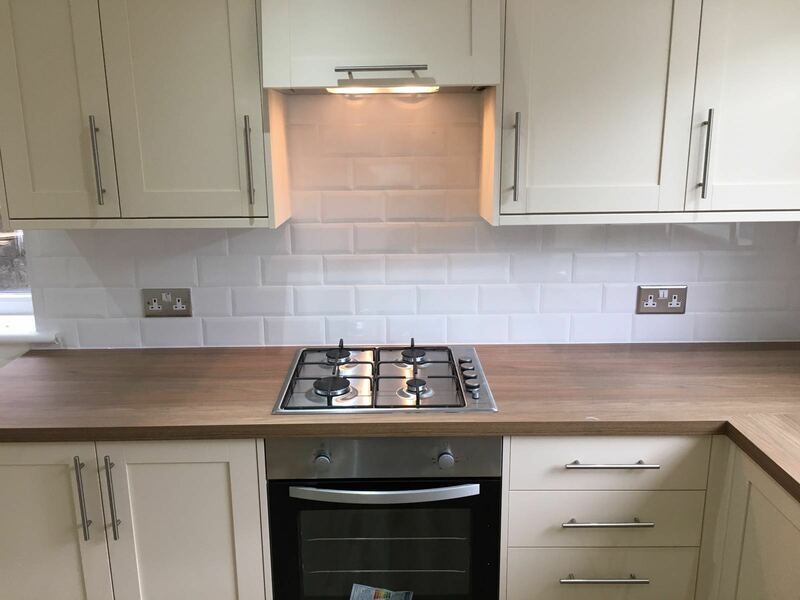 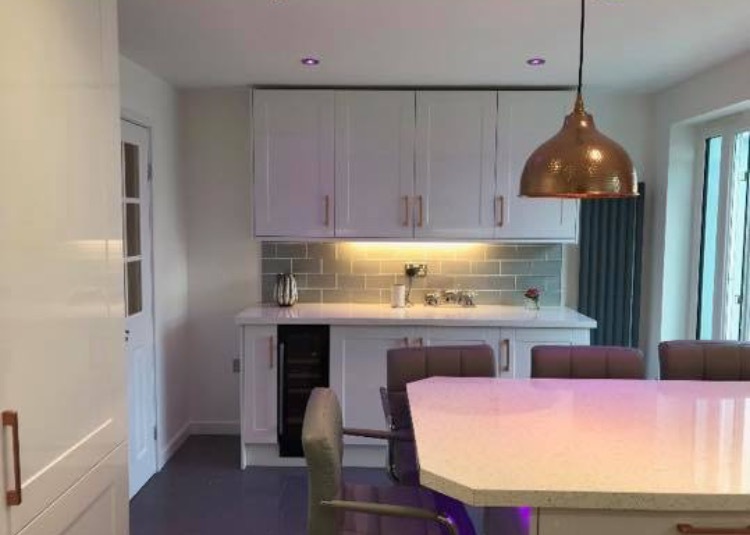 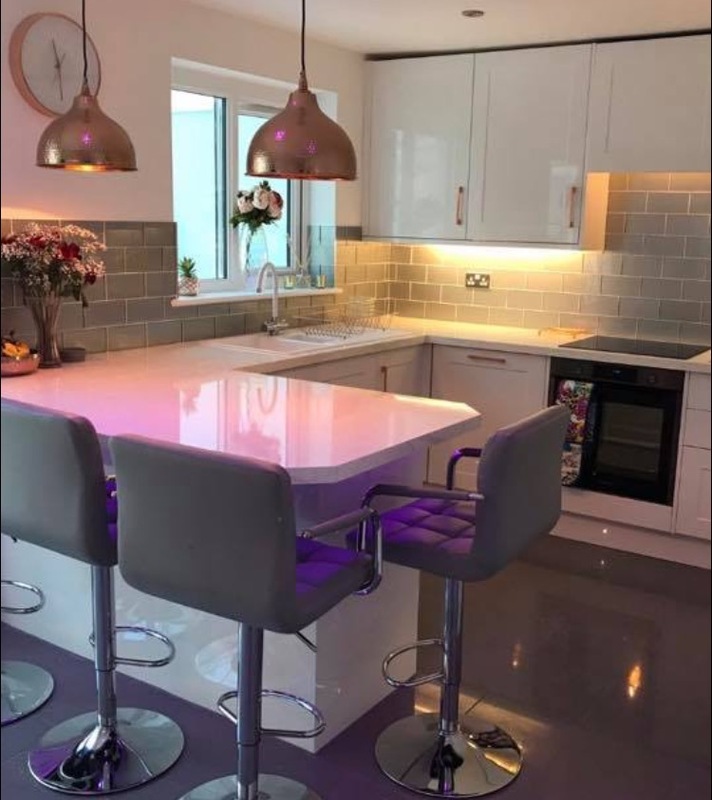 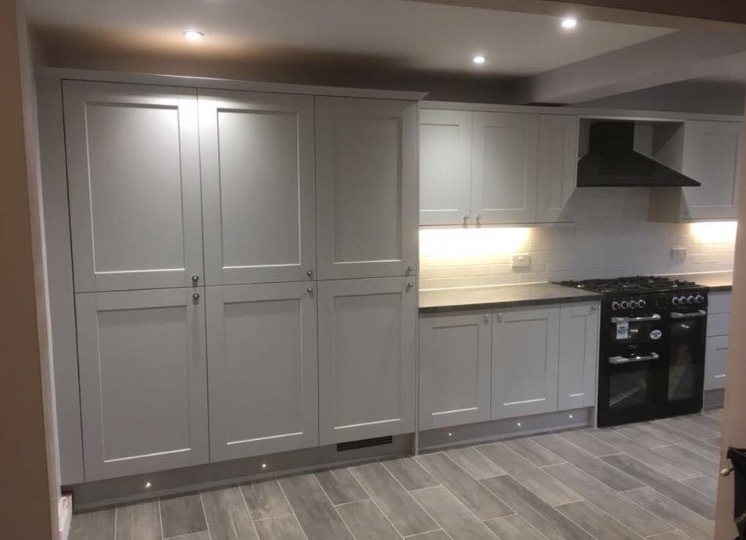 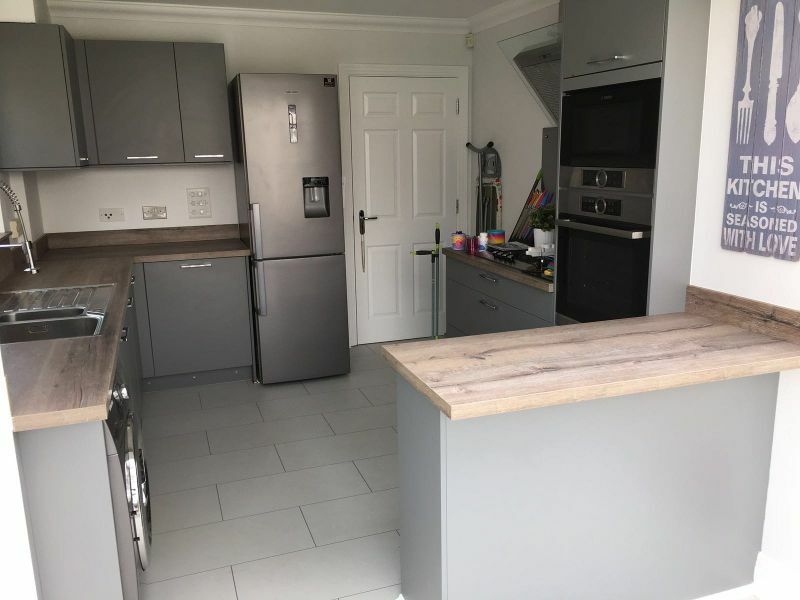 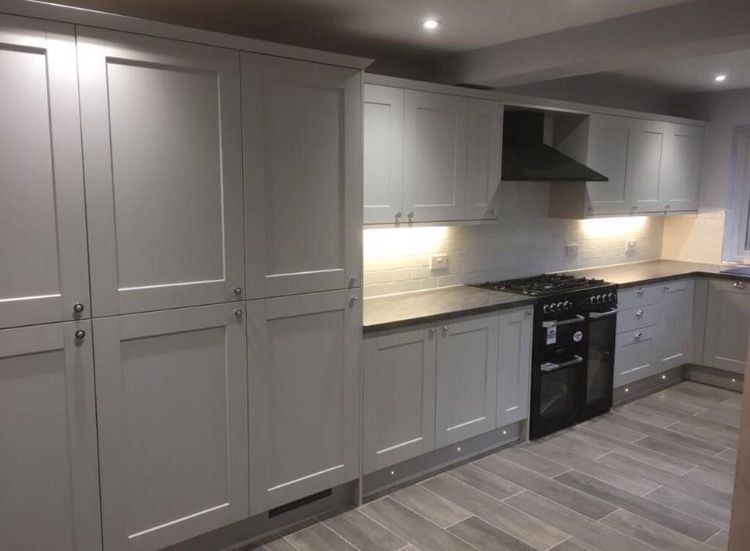 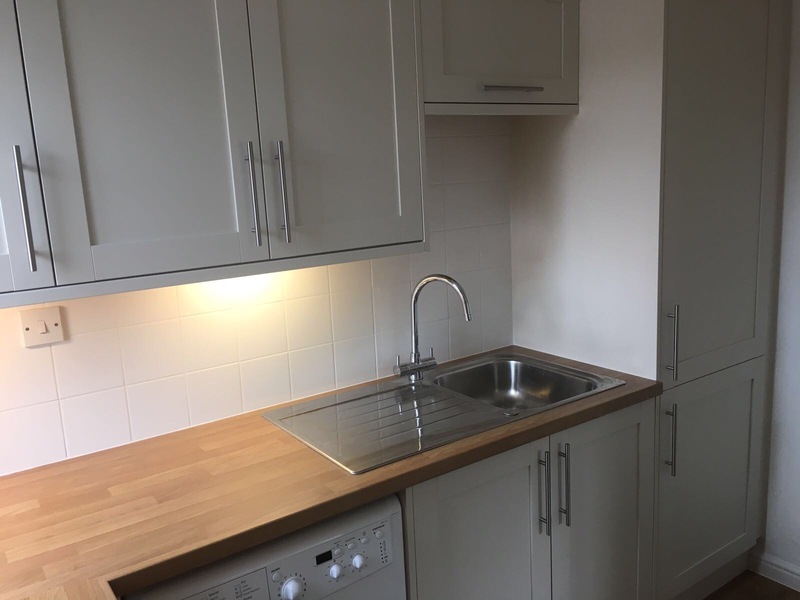 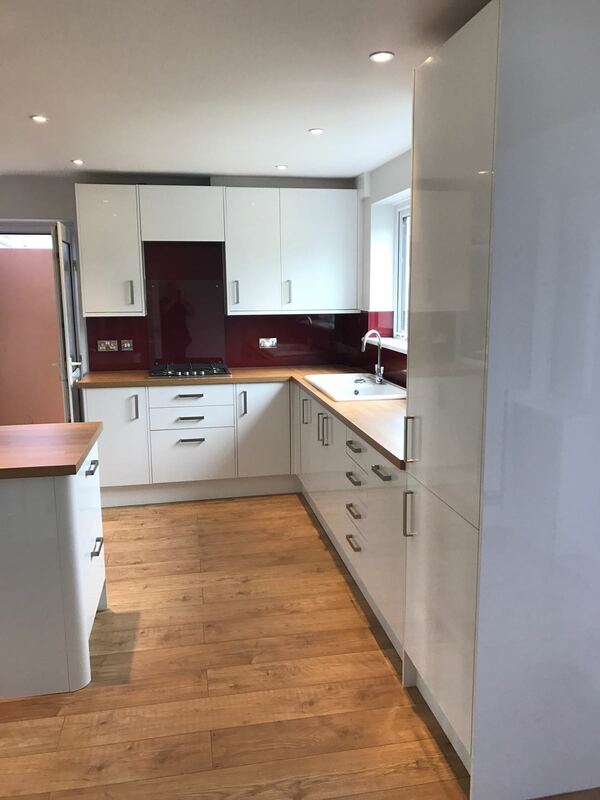 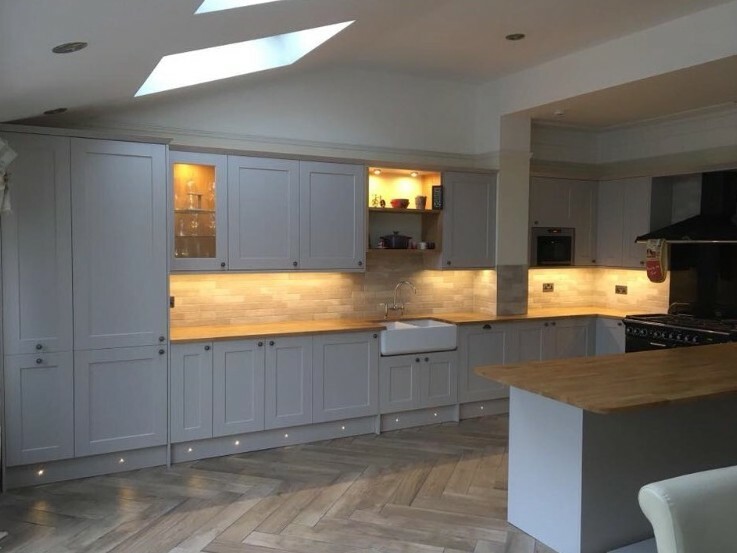 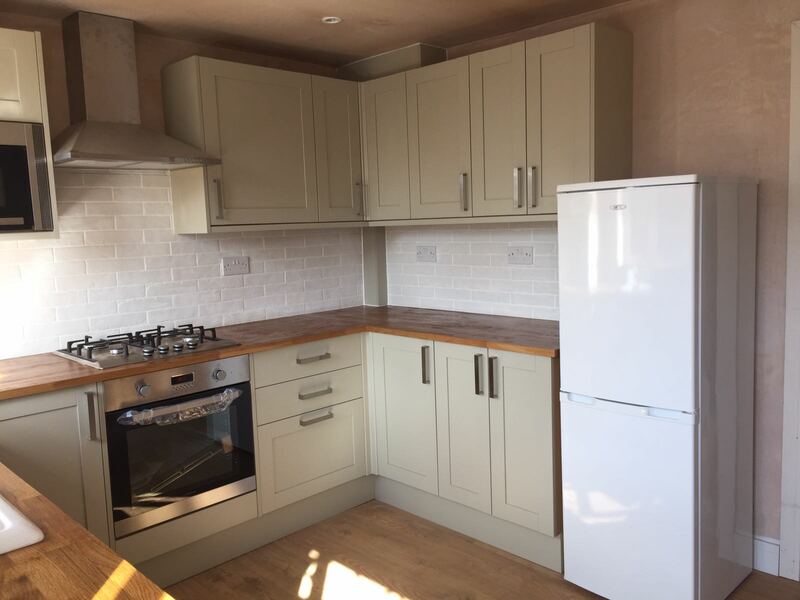 Including wall removed & RSJ fitted to make this kitchen open plan to the dining room, walls & ceiling re-plastered, down lighting fitted, new electrics, new plumbing & waste, new gas with a range cooker fitted, wall and floor tiling and painting. 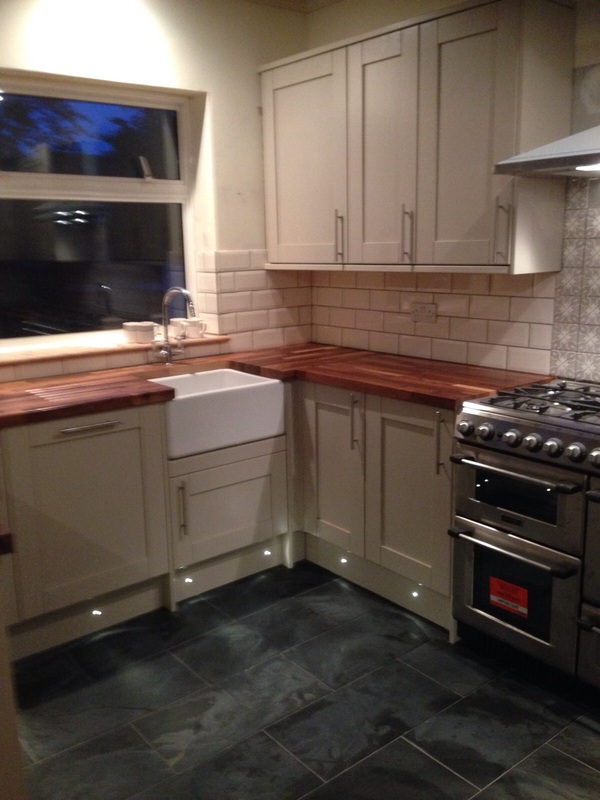 Including full re-plaster, new electrics, floor tiling, quartz worktop supplied & fitted, painted. 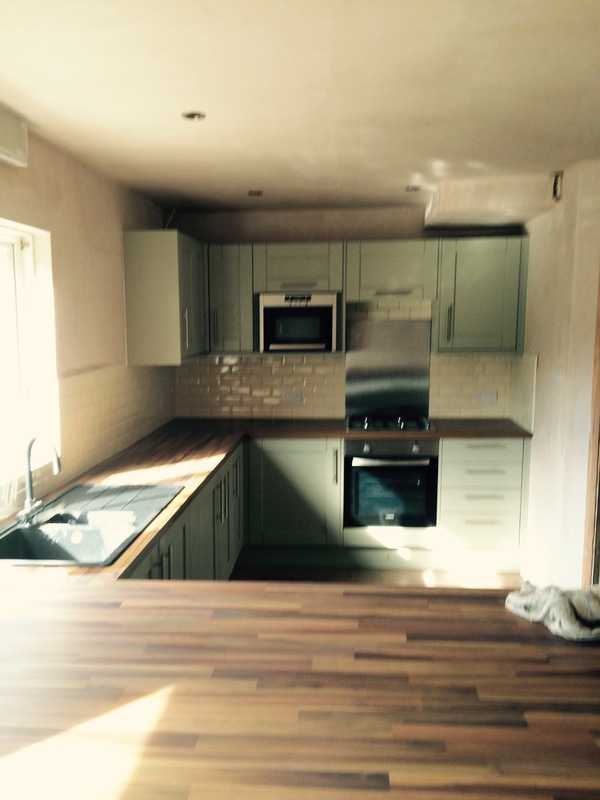 Full Kitchen refit in Maidstone. 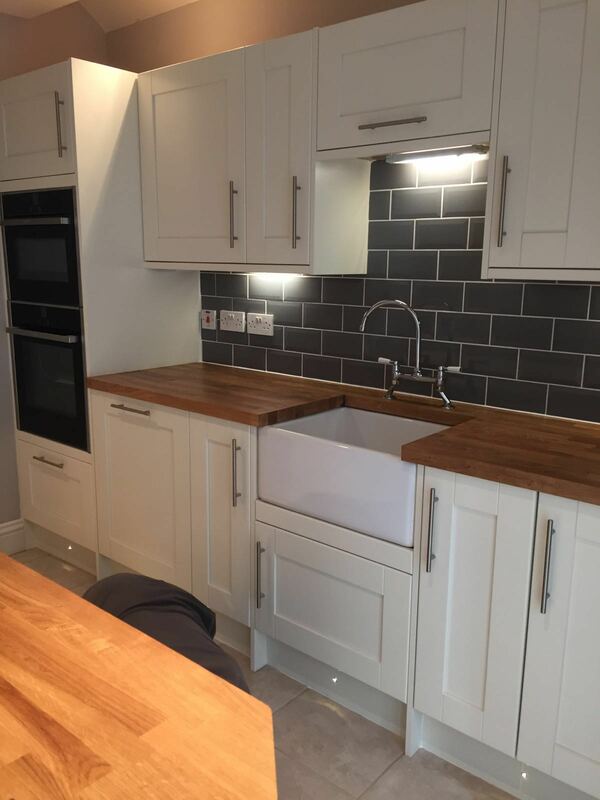 Including Flooring, Plumbing, Electrics, Tiling. 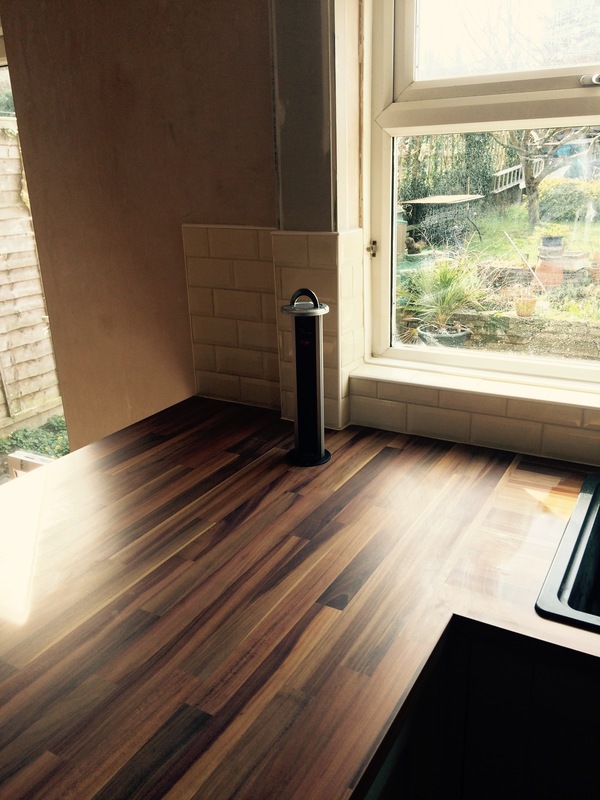 radiator & Wine cooler fit. 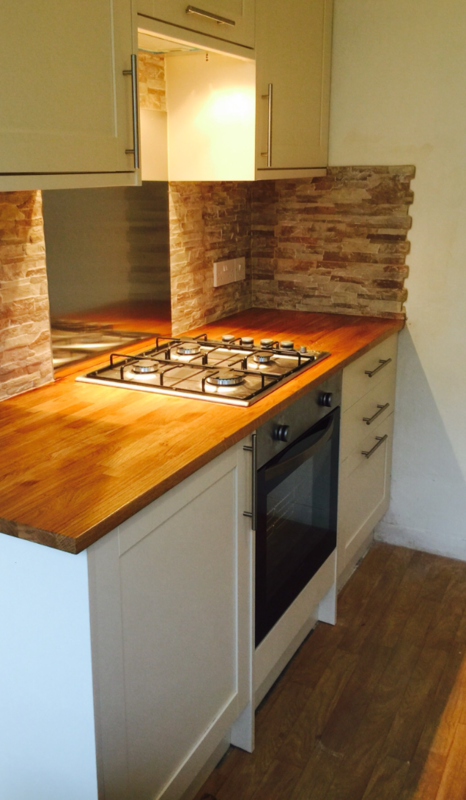 Full Kitchen refit completed in London. 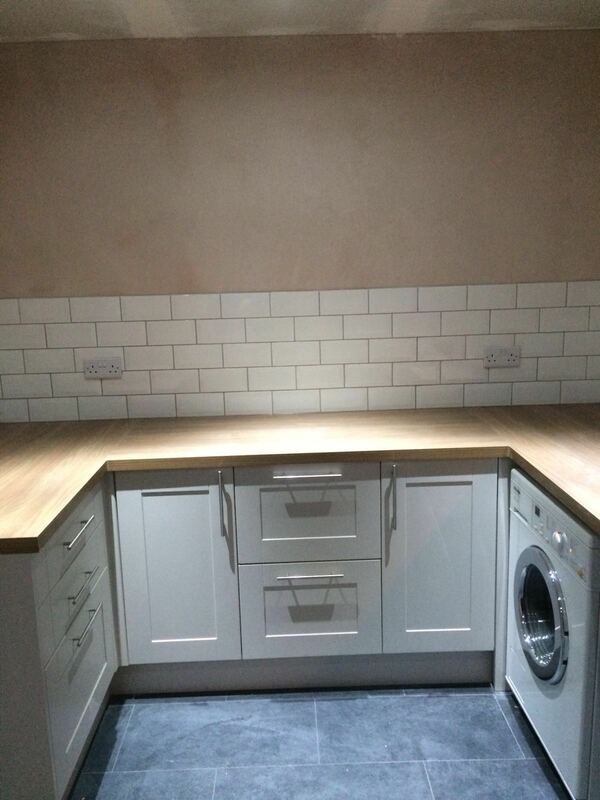 Including plumbing, Electrics & Tiling. 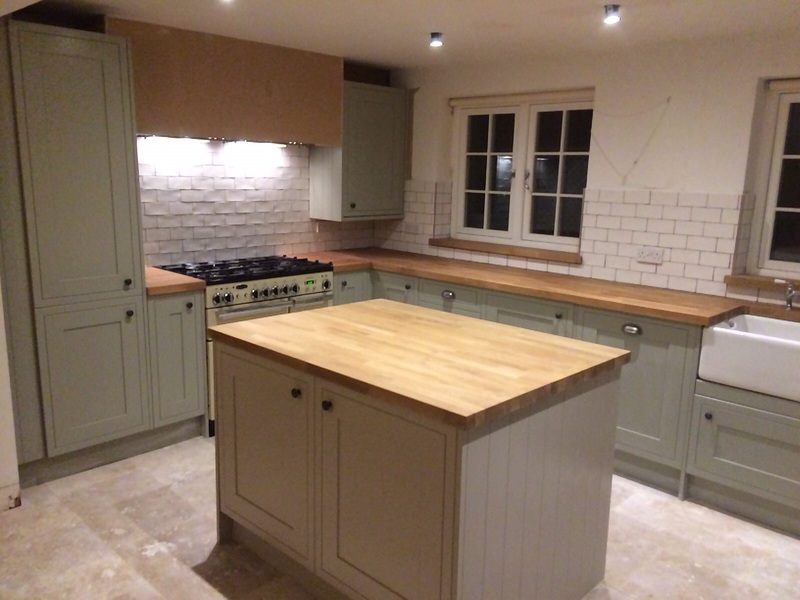 Full Kitchen Refit completed in Biddenden. 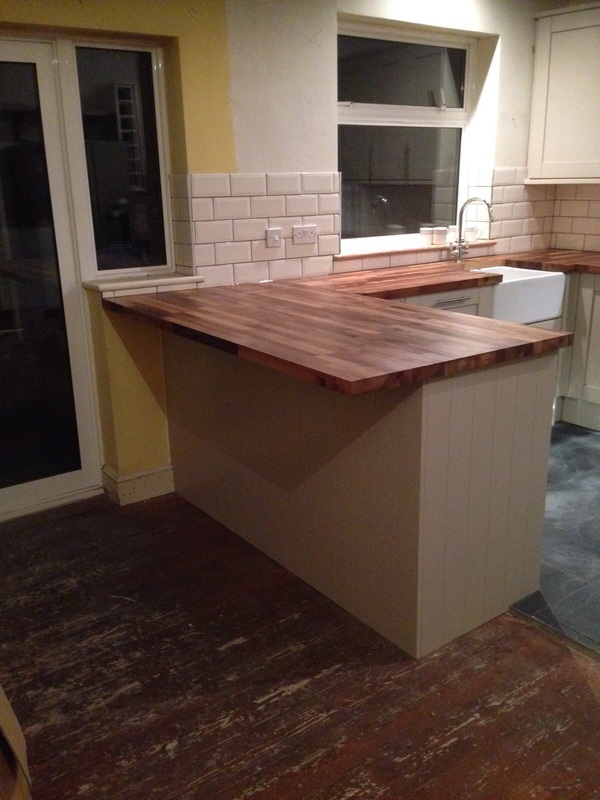 Full refit plastering, granite tops, tiling, electrics Plumbing. 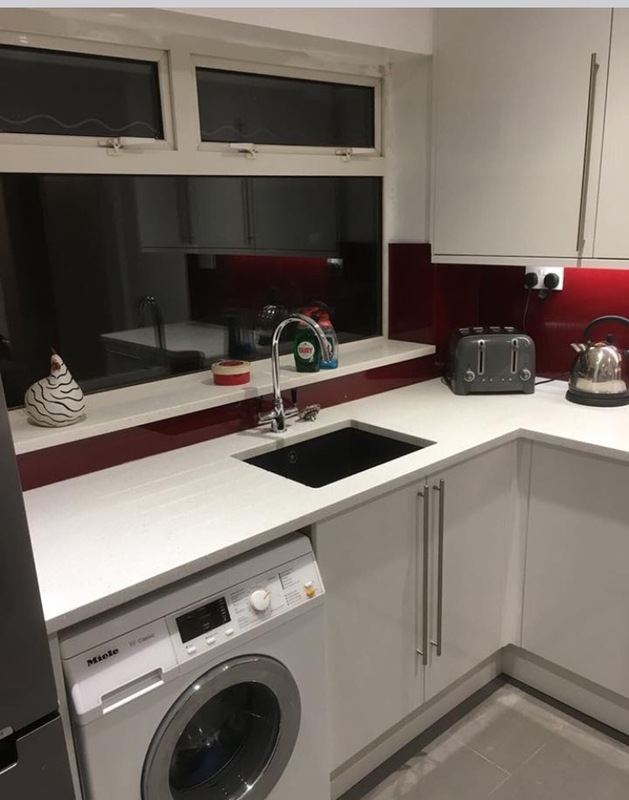 Kitchen re-fit completed in Loose. 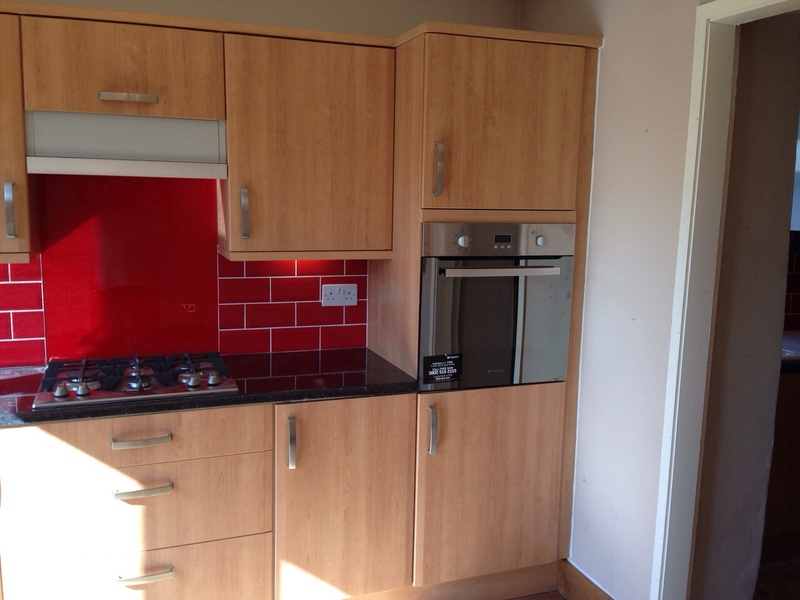 Including Plumbing, Electrics, New ceiling, Splashback, and wood flooring. 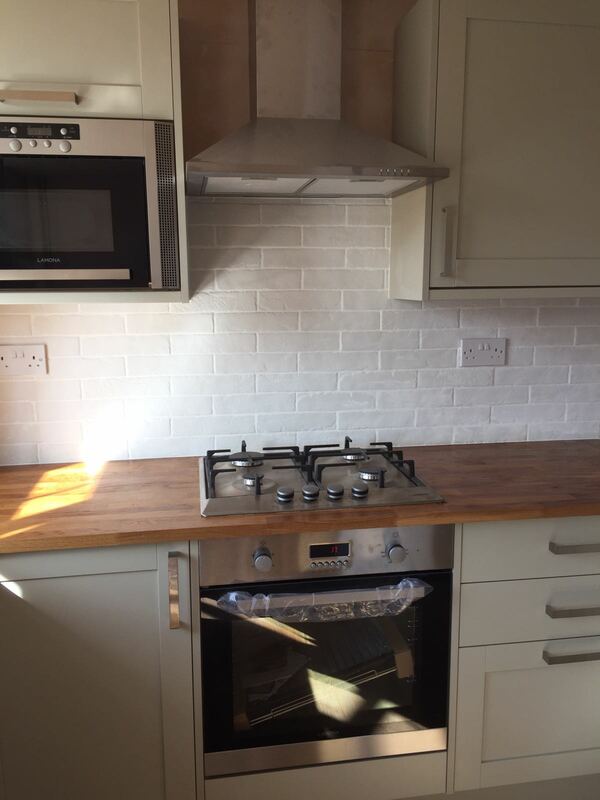 Including Tiling, Plumbing and electrics. 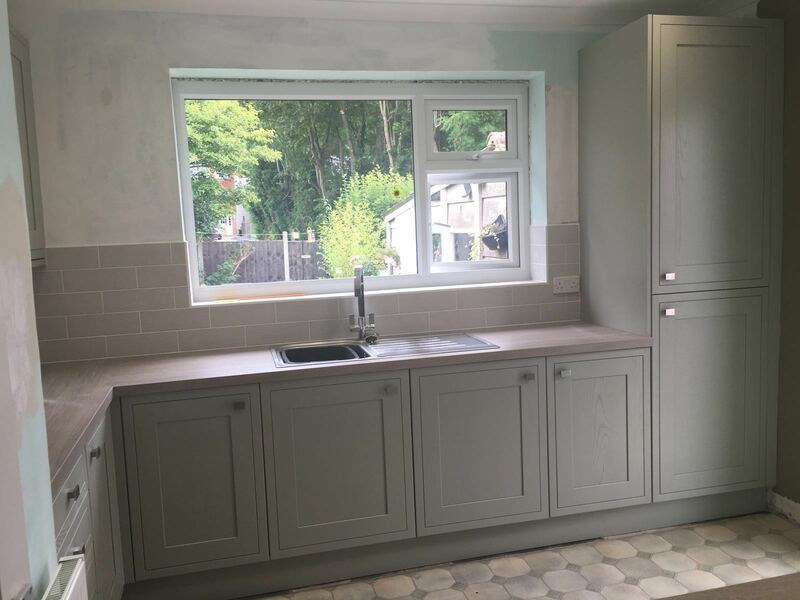 Full Kitchen Supply and Fit completed in Boughton Monchelsea. 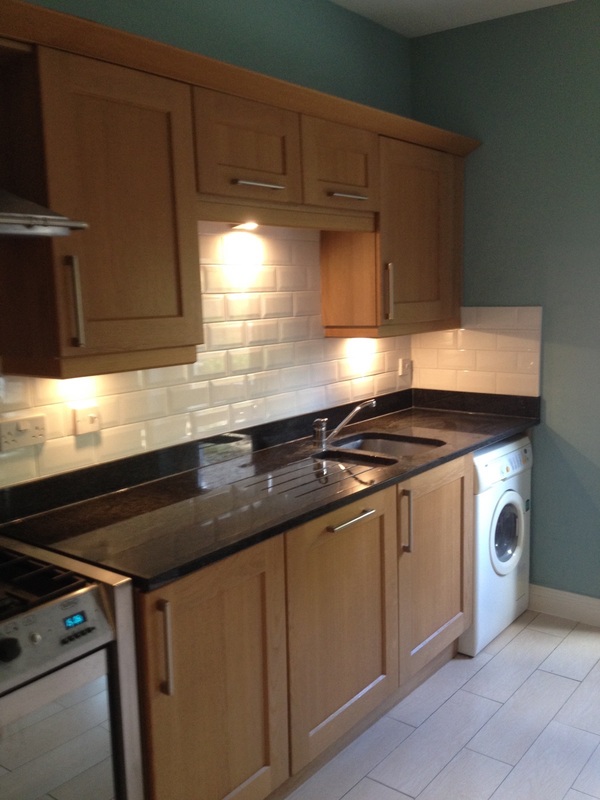 Including Re-plastering, New electrics, Plumbing, Flooring, Tiling and painting. 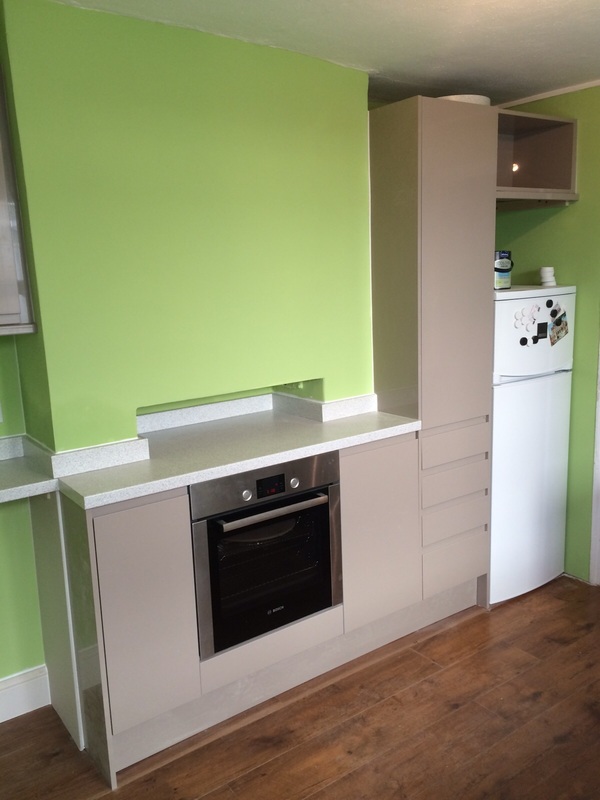 New Kitchen supplied and fitted in London completed. 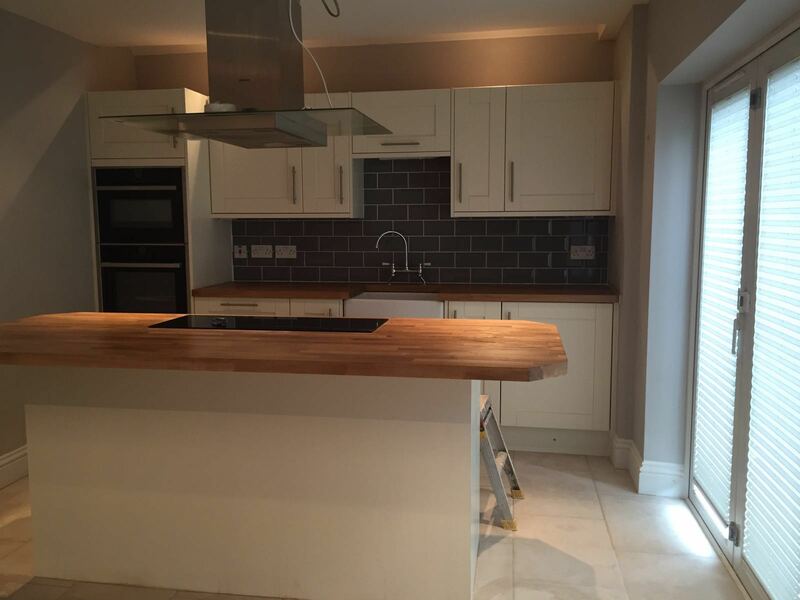 Including plastering, plumbing, Electrics, new Wood Flooring and Wall Tiling. 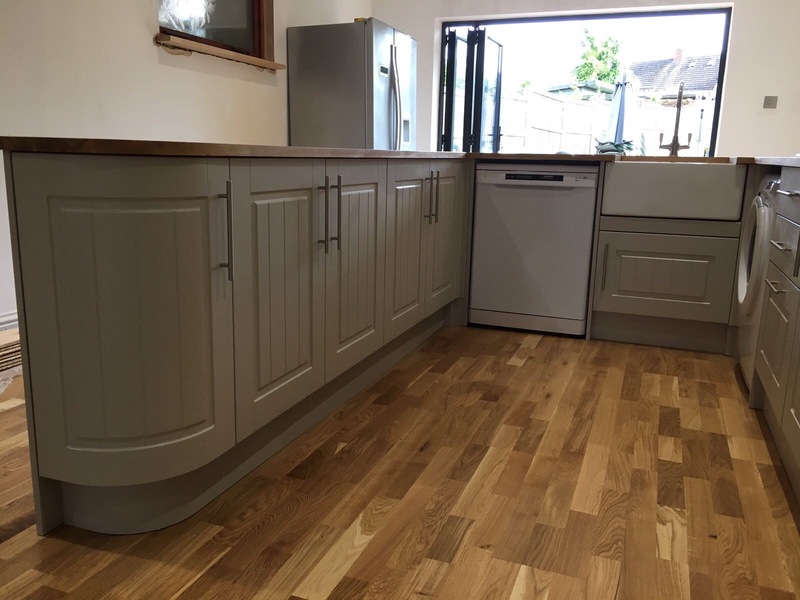 Full Kitchen install competed in Maidstone. 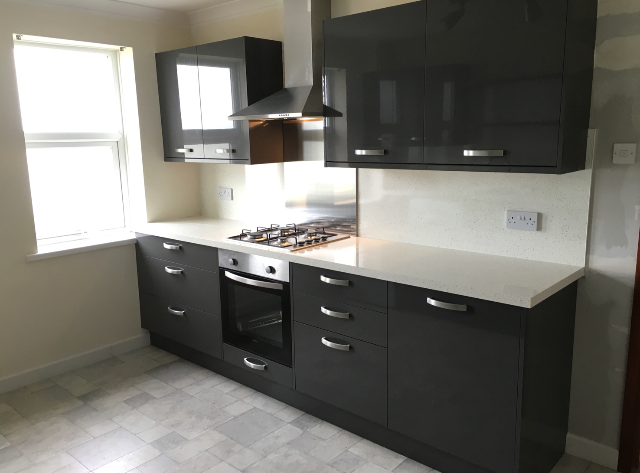 Full kitchen supply and refit completed in Gillingham. 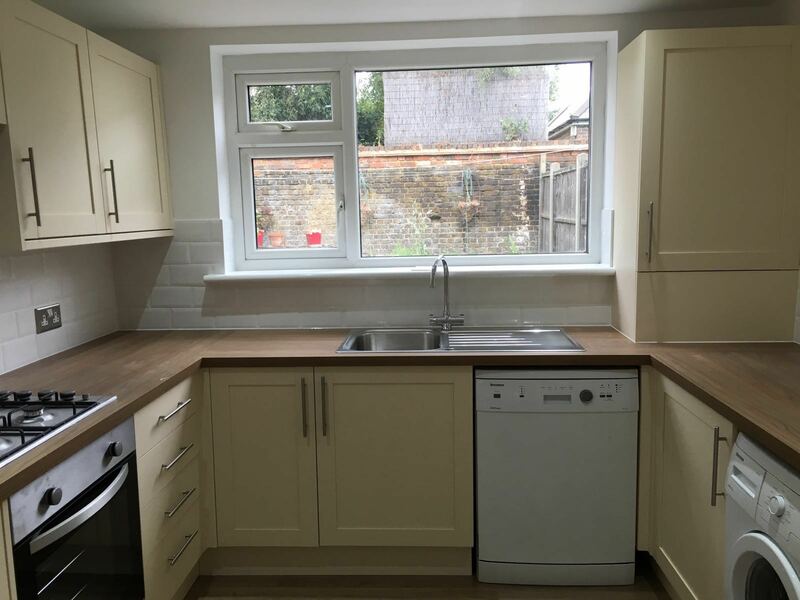 Including; electrics, plumbing and flooring. 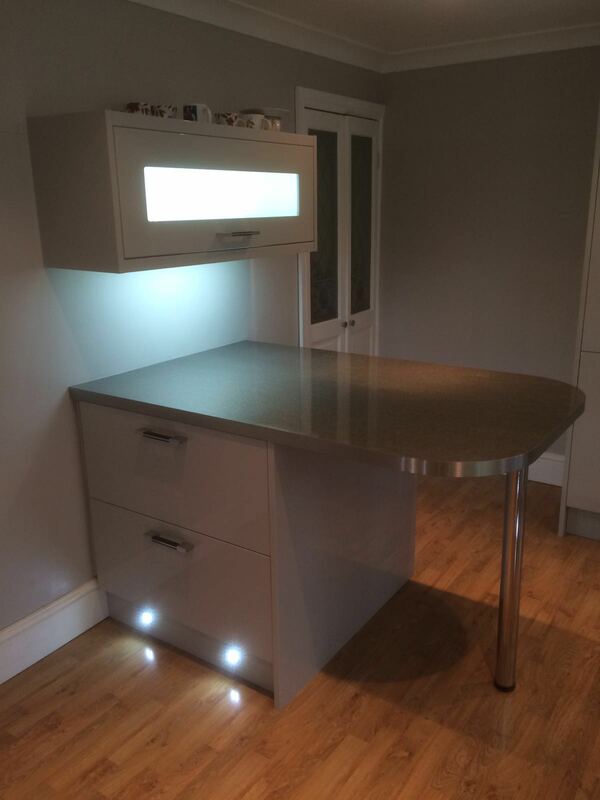 Full kitchen supply and re fit completed in Greenwich. 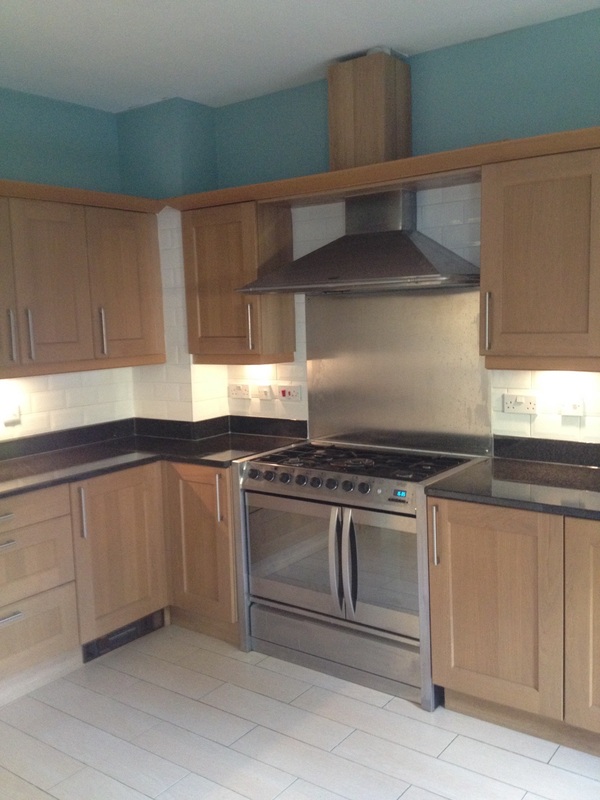 Including; re plastering, new electrics, plumbing, flooring, tiling and painting. 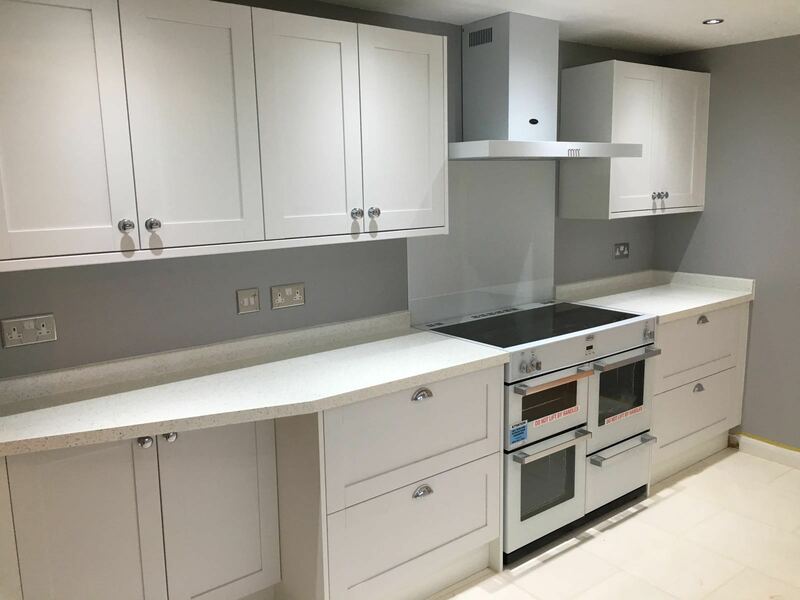 Full kitchen supply and refit completed in Maidstone. 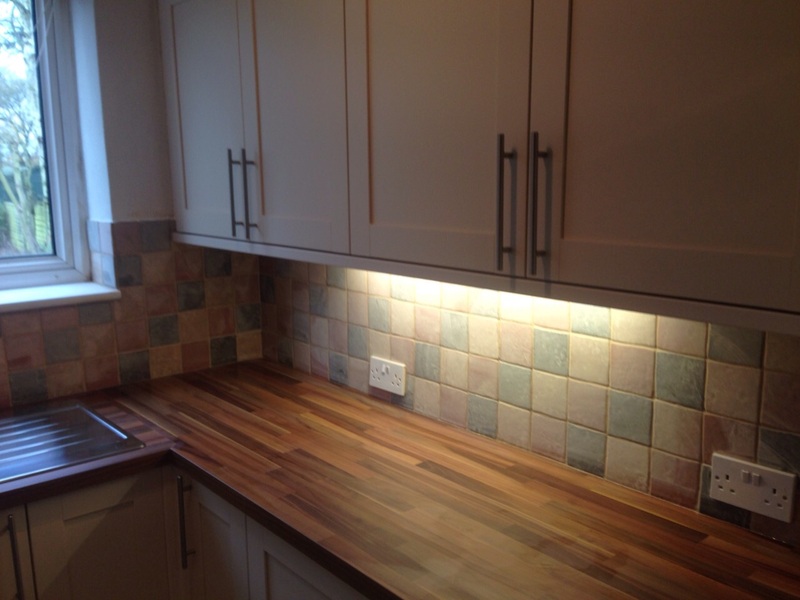 Including; electrics, plumbing and wall tiling. 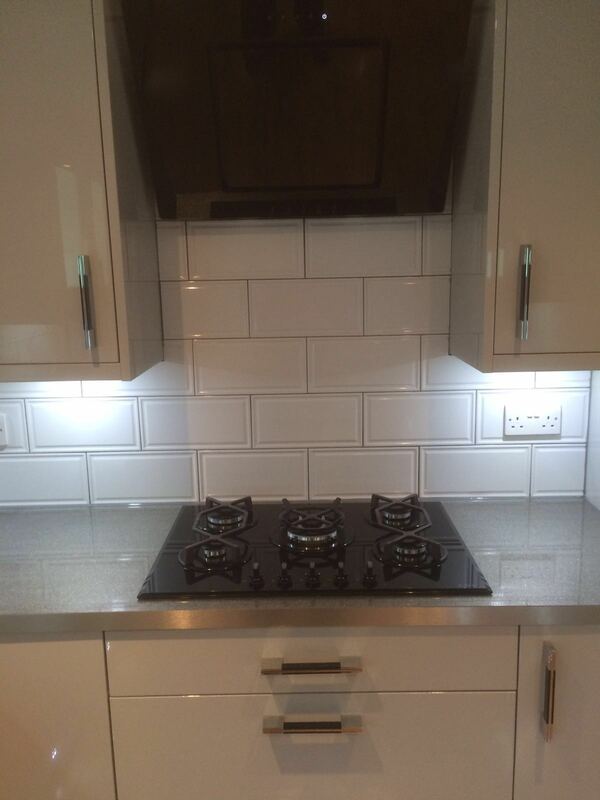 Full kitchen supply and re fit completed in Chelsea. 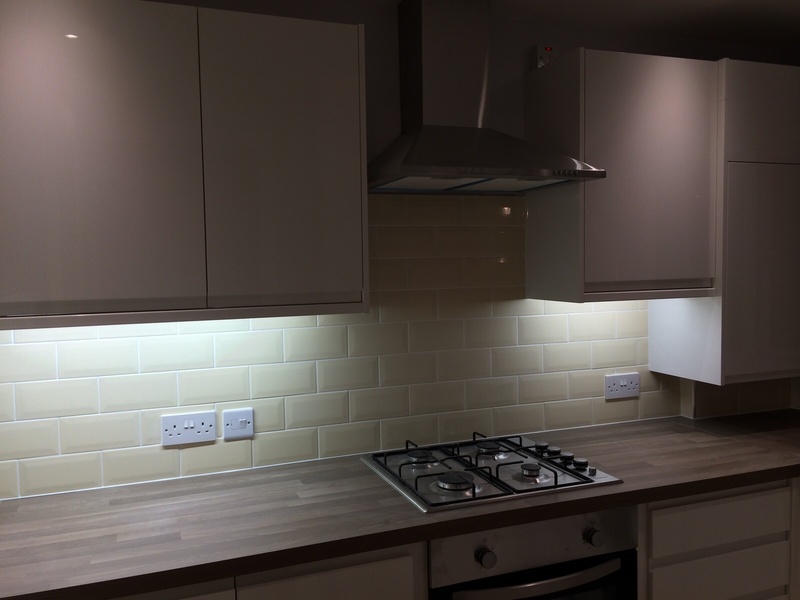 Including complete refurb of new ceilings, lighting, electrics, plumbing, tiling and painting. 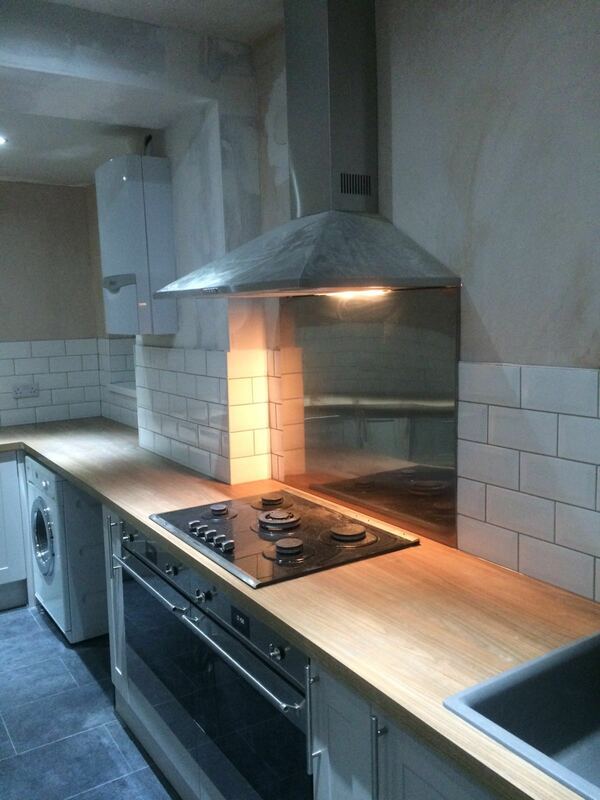 All on time and on budget. 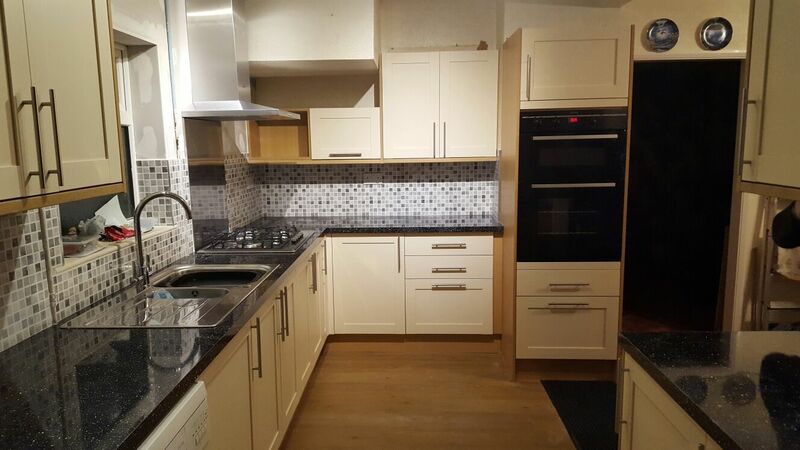 Full kitchen supply and re fit located in Maidstone. 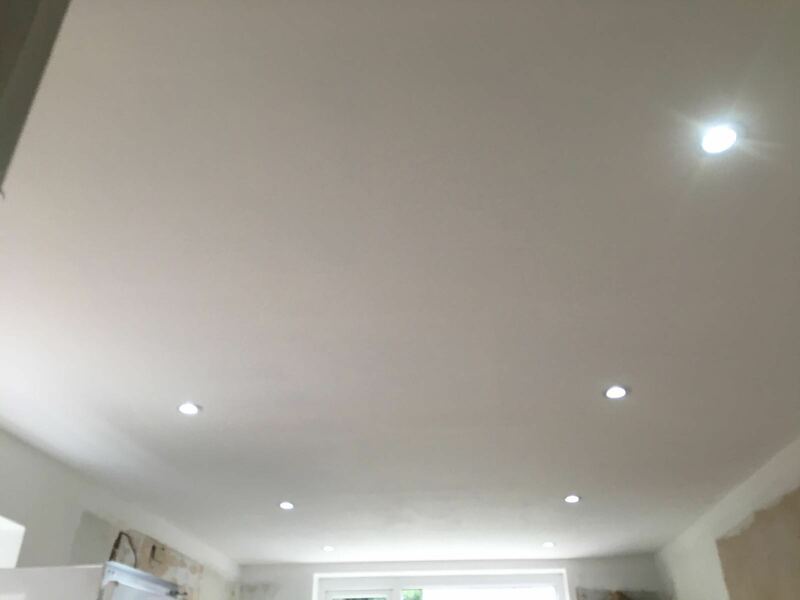 Including; plastering, electrics, tiling and painting. 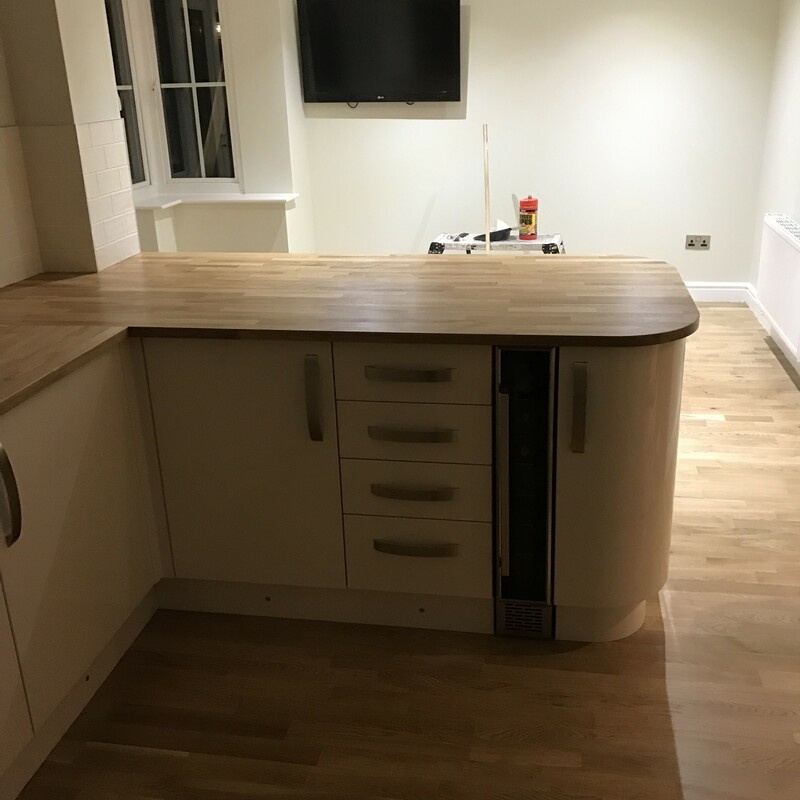 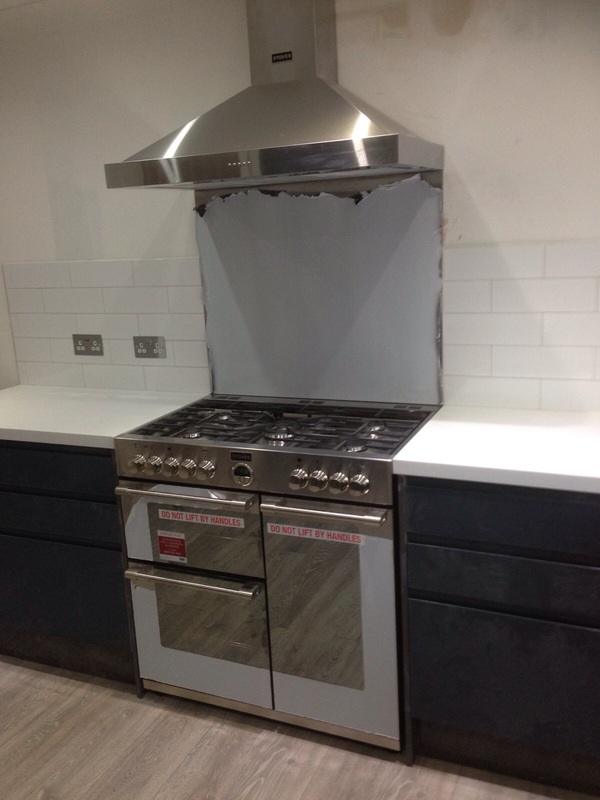 Kitchen supply and re fit, completed in London. 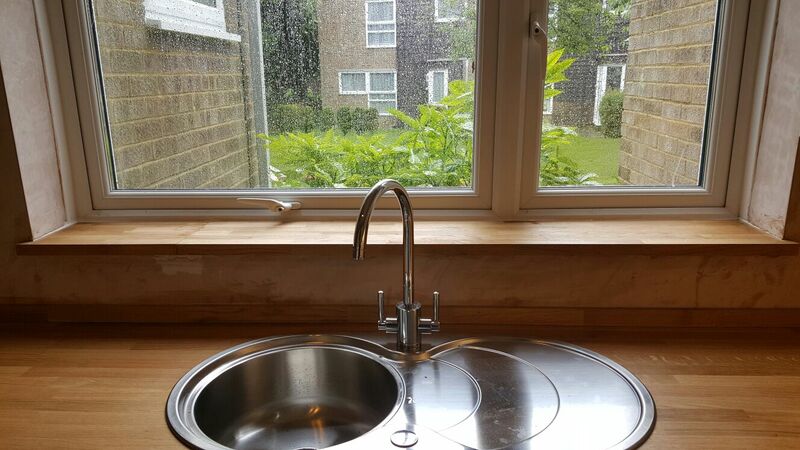 Including; new windows, re plastering, electrics, plumbing, tiling. 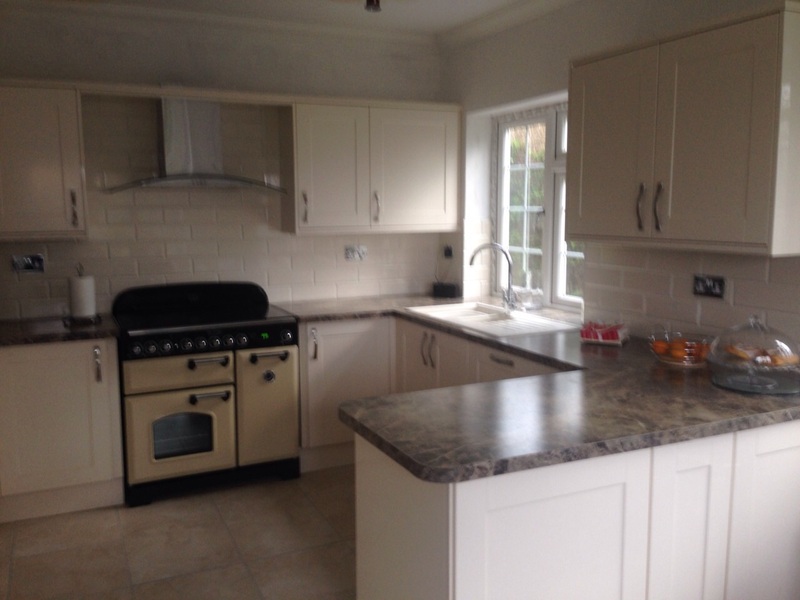 Full kitchen supply and re fit,completed in Sevenoaks. 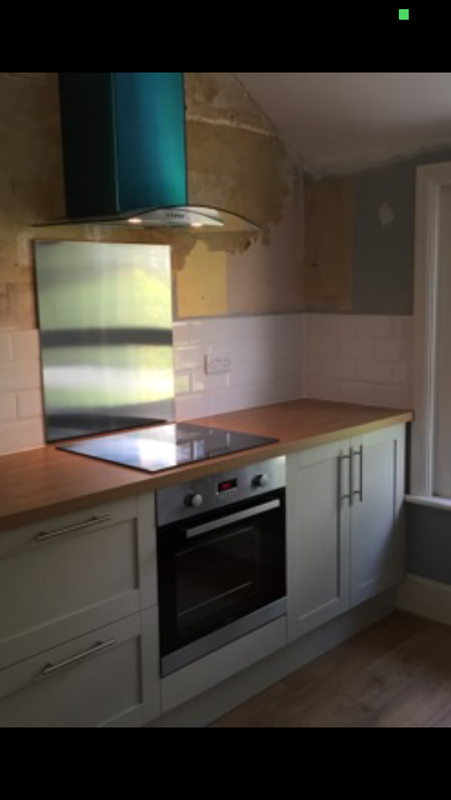 Including; new electrics, plumbing, plastering, painting and new ceiling. 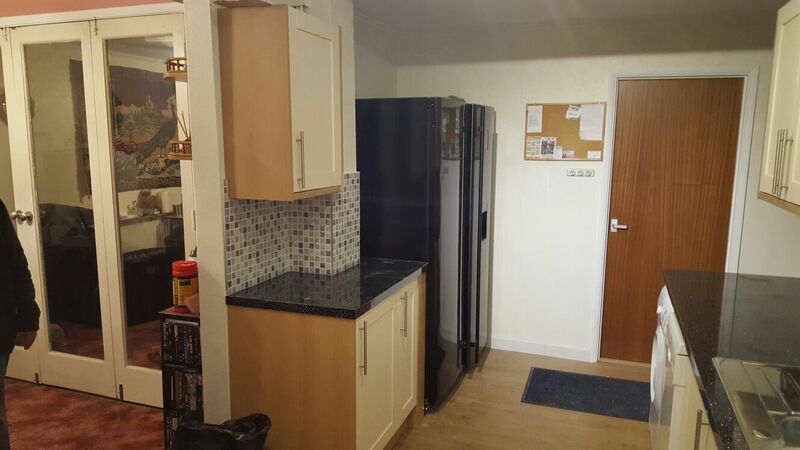 Full kitchen supply and re fit. 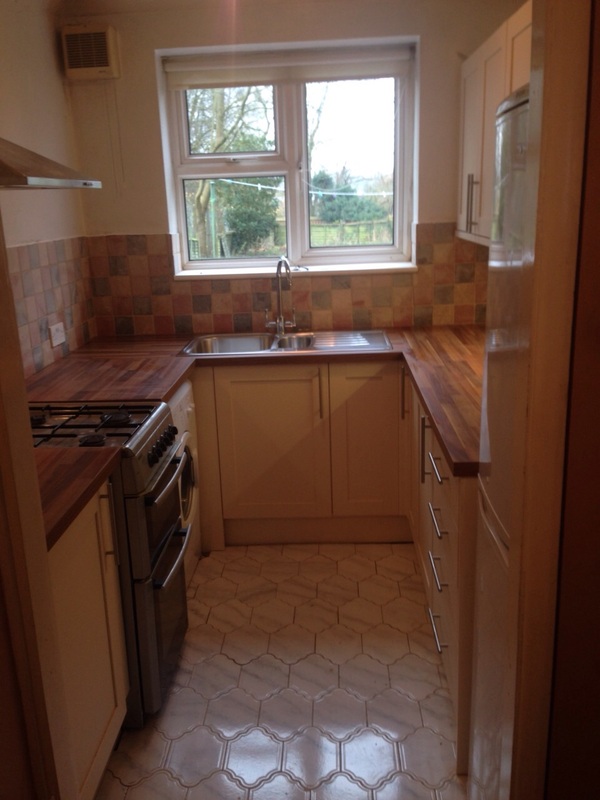 Including; plumbing, painting and floor tiling. 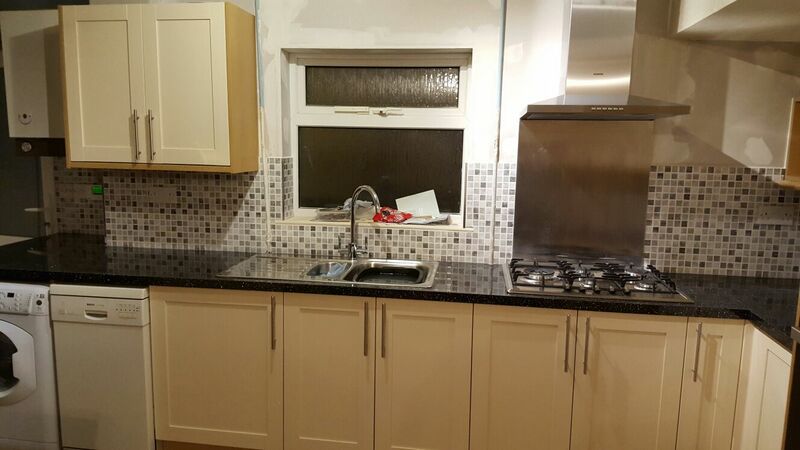 Full kitchen supply and re fit completed in Strood. 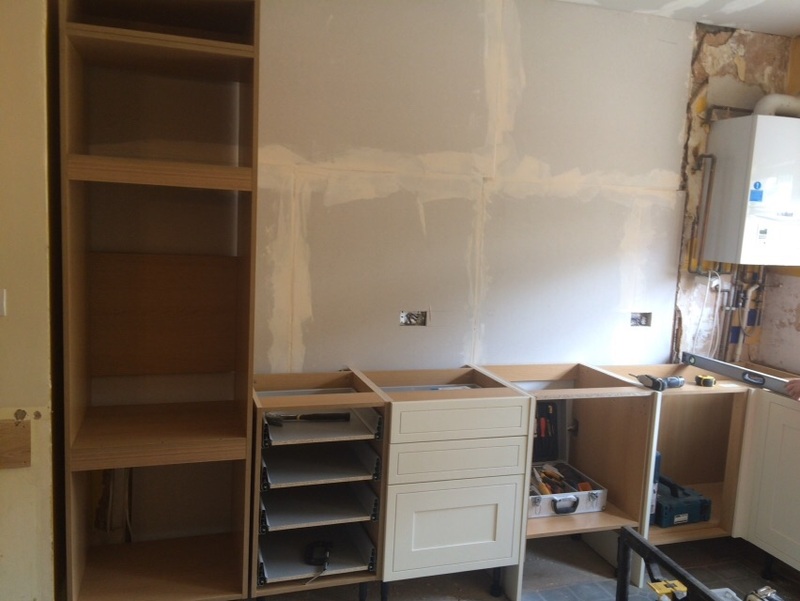 Including; plastering, electrics, plumbing and wall tiling. 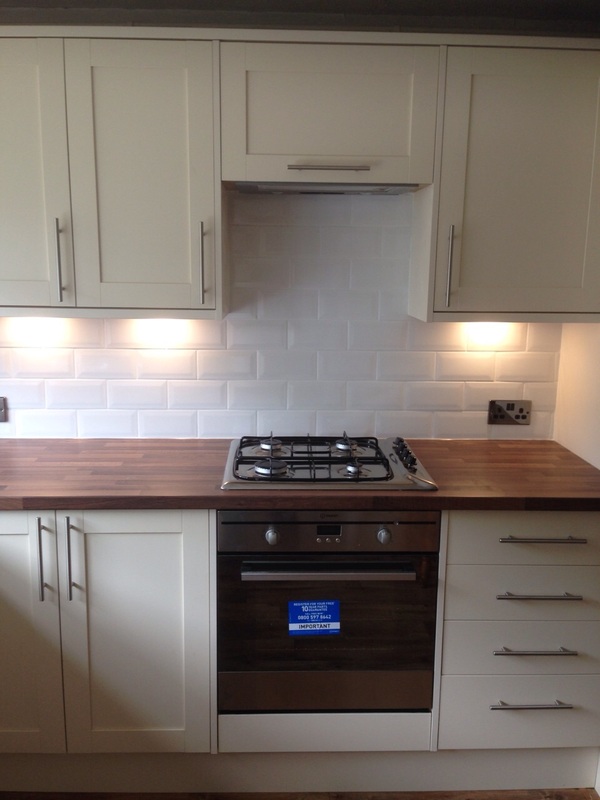 Full kitchen supply and re-fit completed in Maidstone. 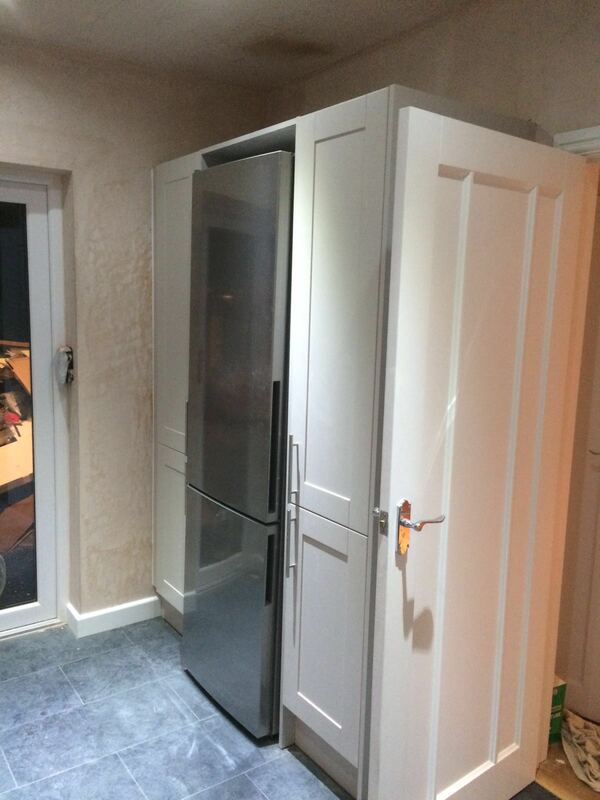 Including; new fuse box, plastered ceiling, wall tiling, floor laying, new bifold door fitted. 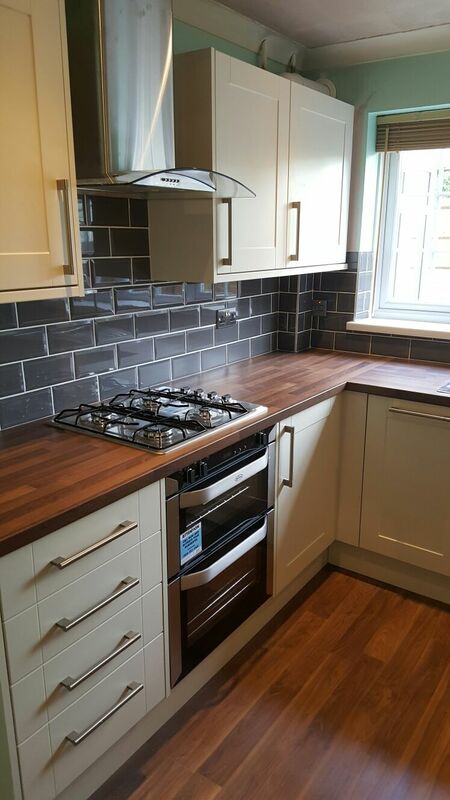 Full Kitchen Supply and Re-Fit completed in Medway. 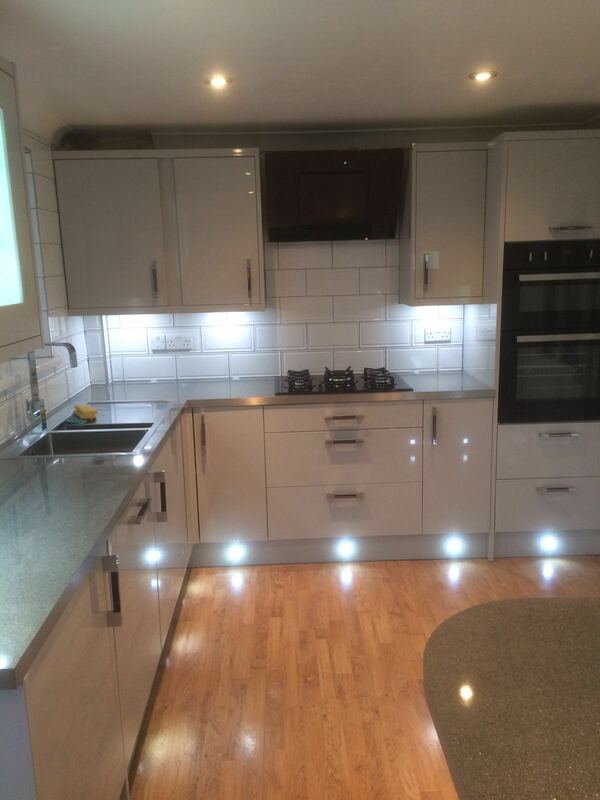 Including; new electrics, plumbing, plastering, new ceiling with spot lights, wall tiling and wood flooring. 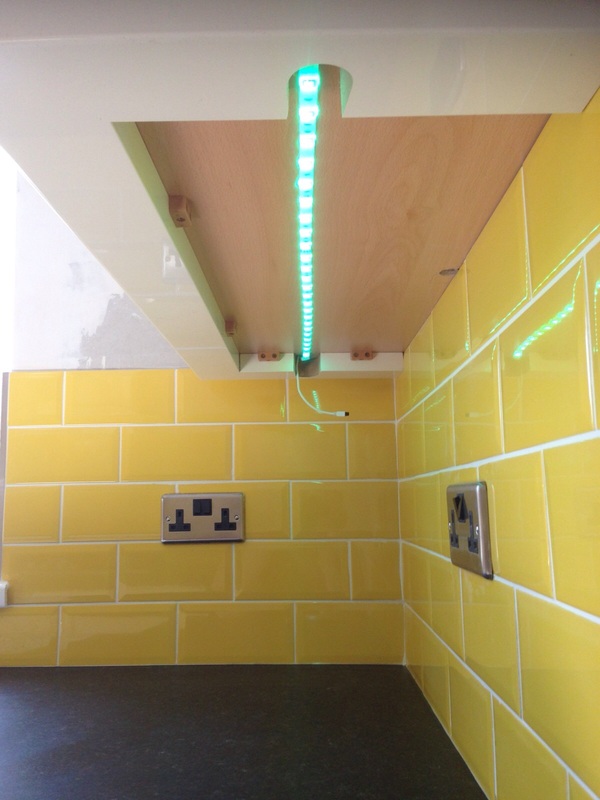 Including; electrics, plumbing, wall tiling. 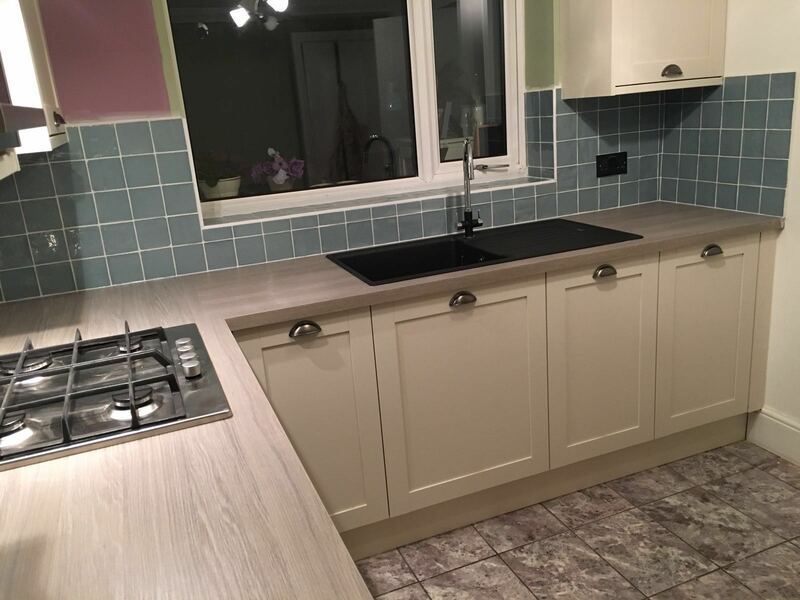 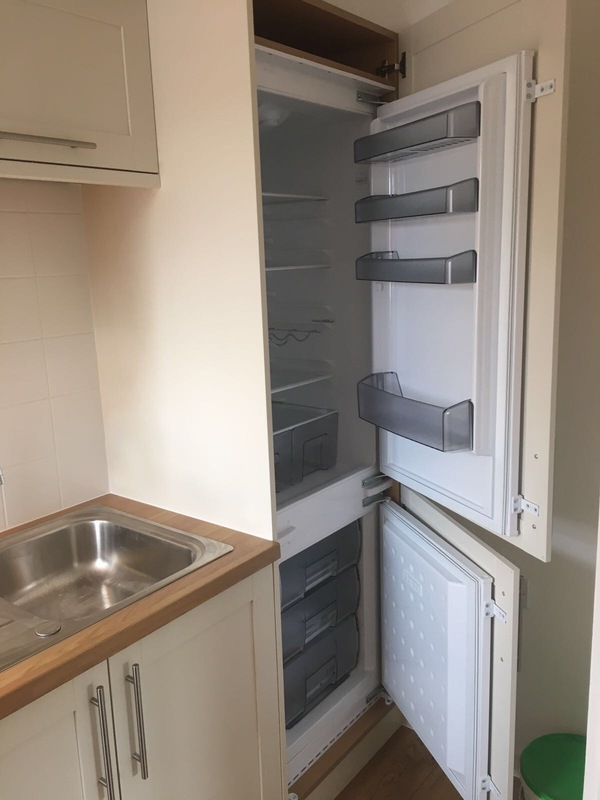 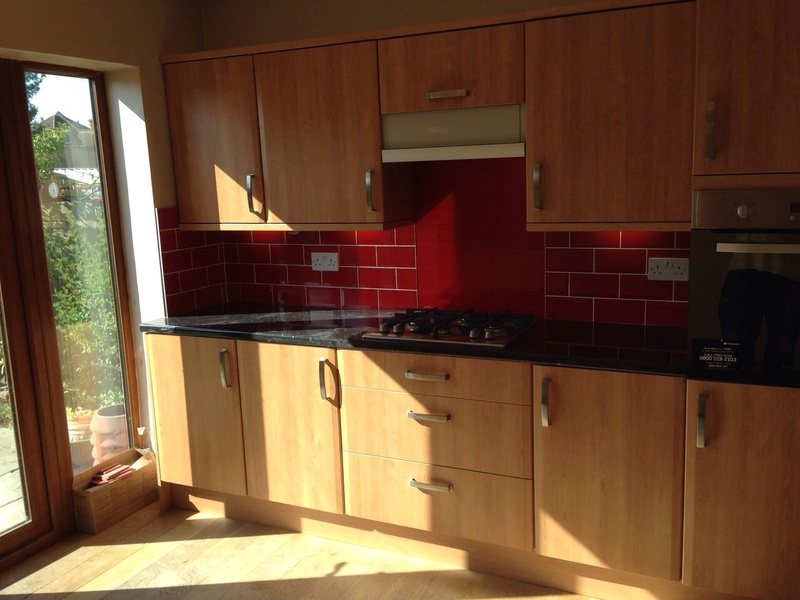 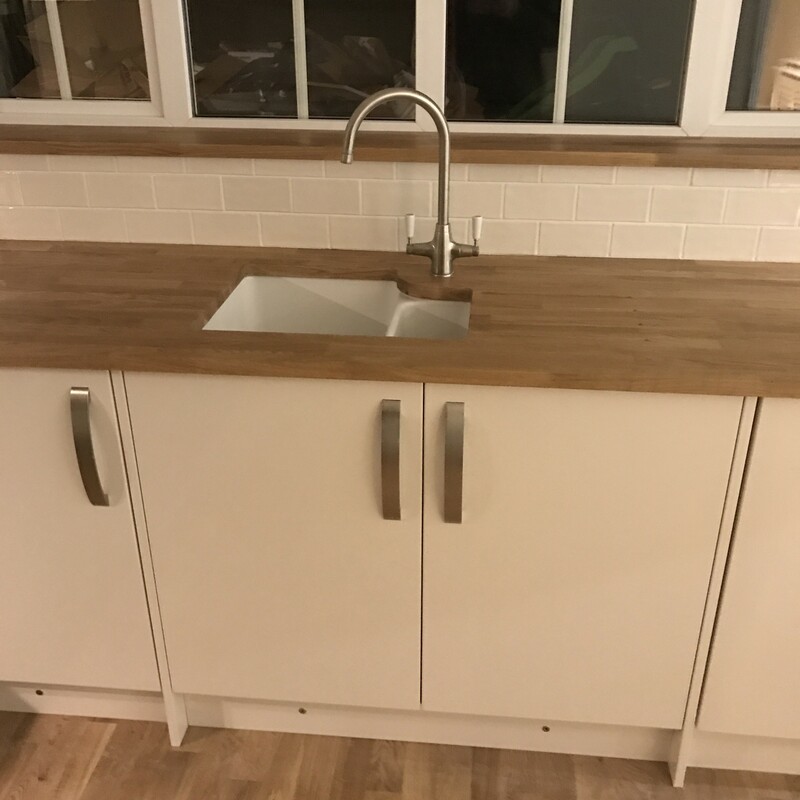 Full Kitchen Supply and Refurb completed in New Romney. 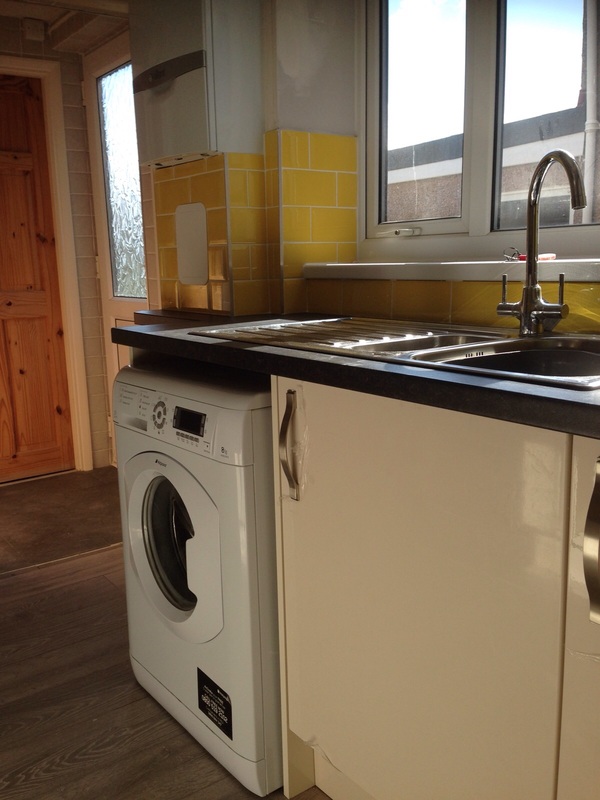 Including; new gas supply, new plumbing, new electrics, new flooring. 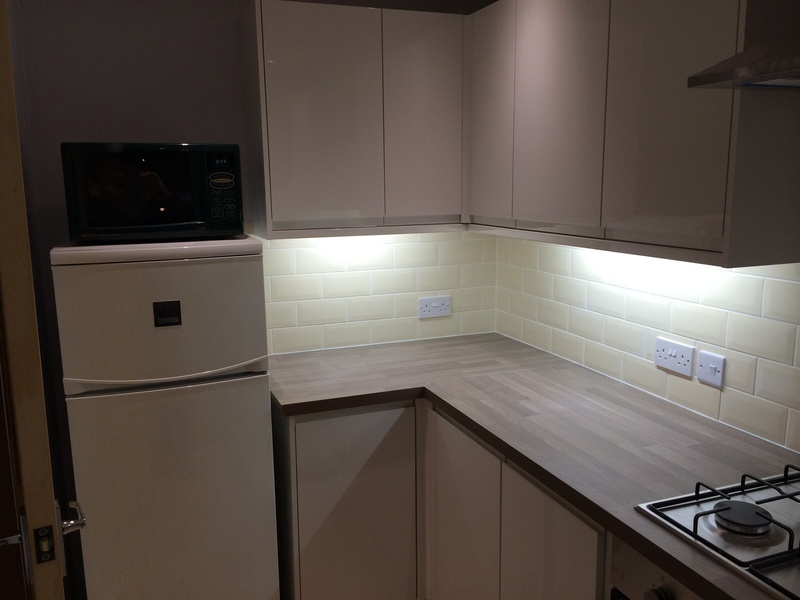 Kitchen Supply and Re-Fit completed in Blackheath. 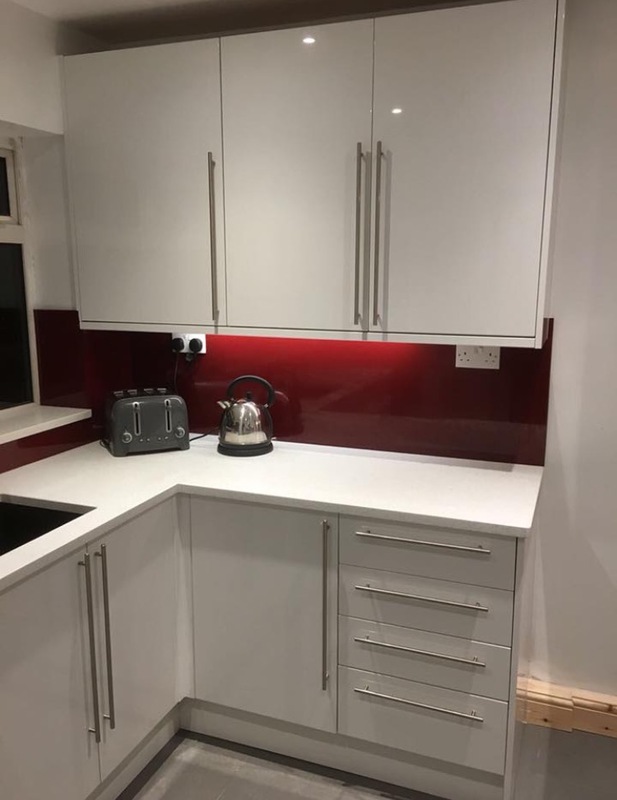 Including; electrics, plumbing, flooring and painting. 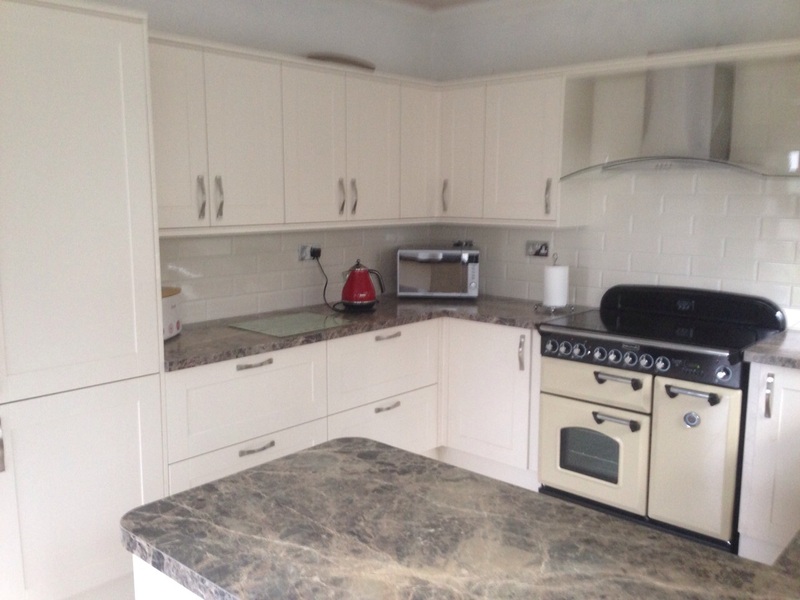 Full Kitchen Re-Fit completed in Sutton. 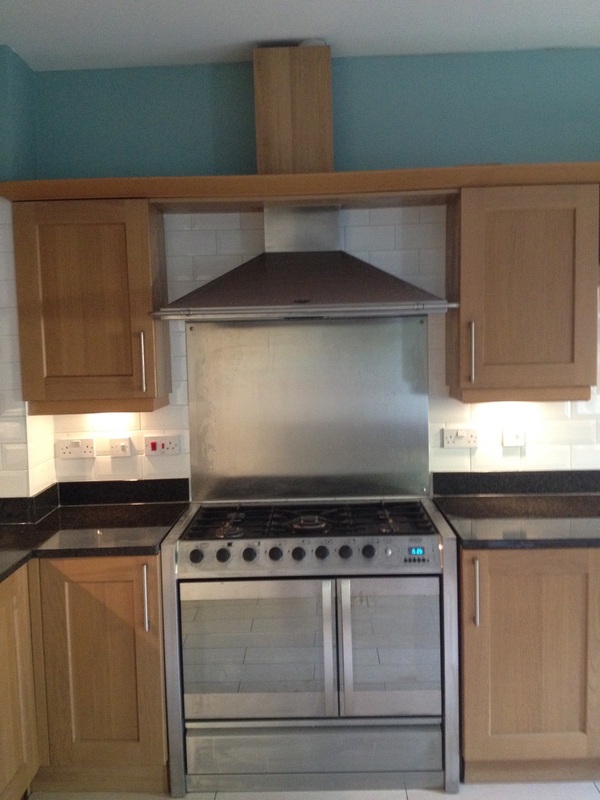 Including; Plastering, Electrics, Plumbing, New Ceiling, Radiator, Wall and Floor Tiling. 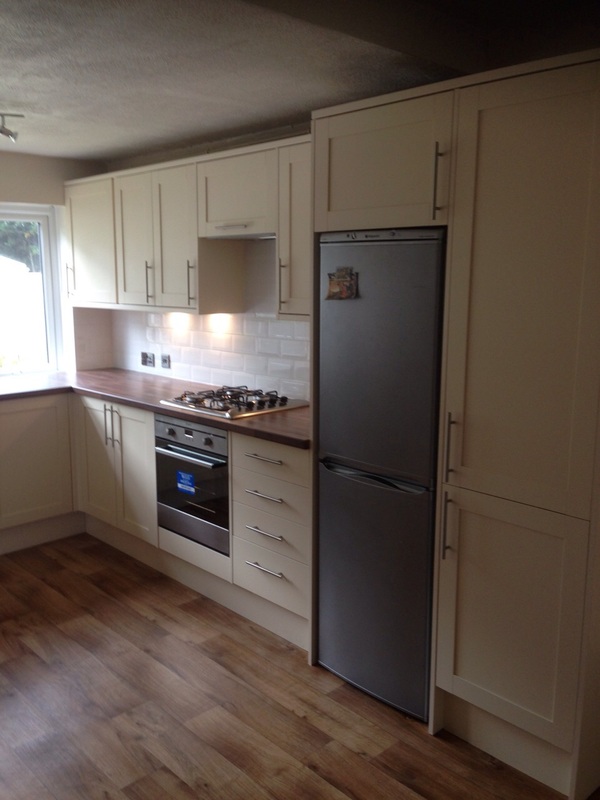 Kitchen Supply and Full Re-Fit completed in Bearstead. 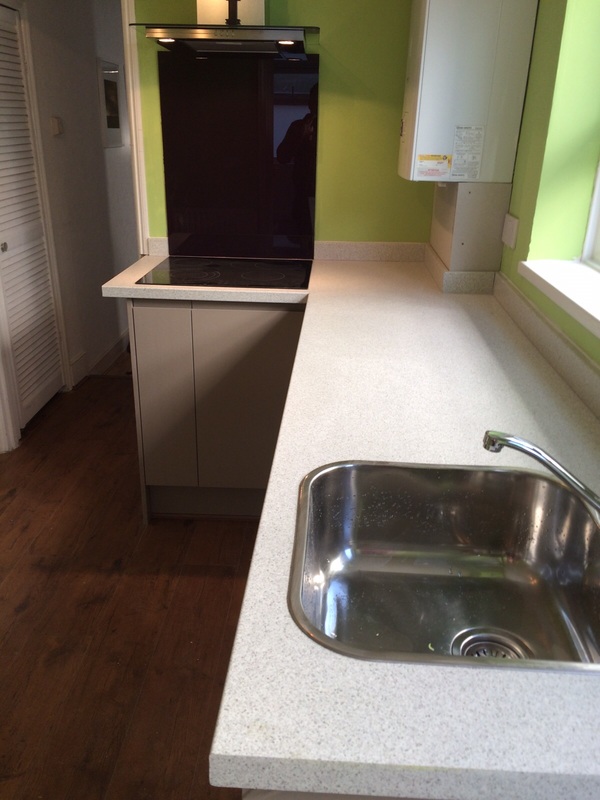 Kitchen Supply and Re-Fit completed in Tonbridge Wells. 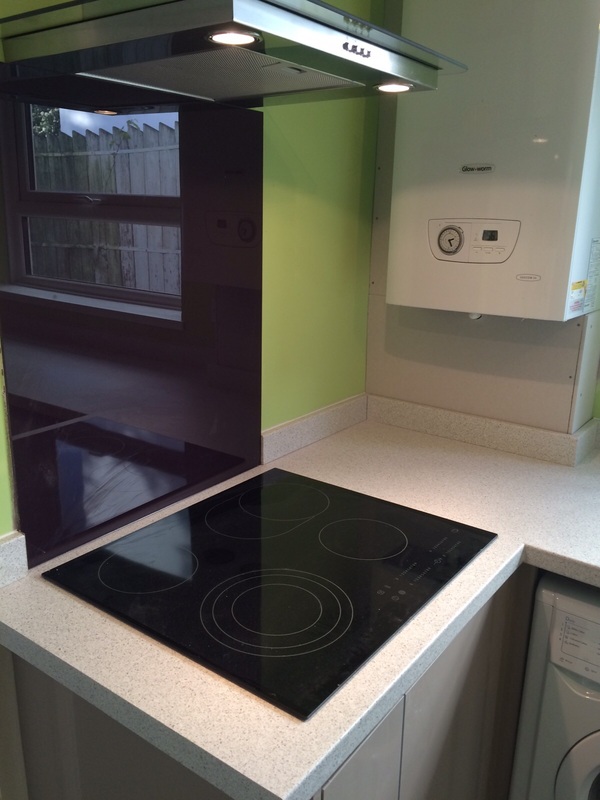 Including; electrics, plastering, new boiler and underfloor heating. 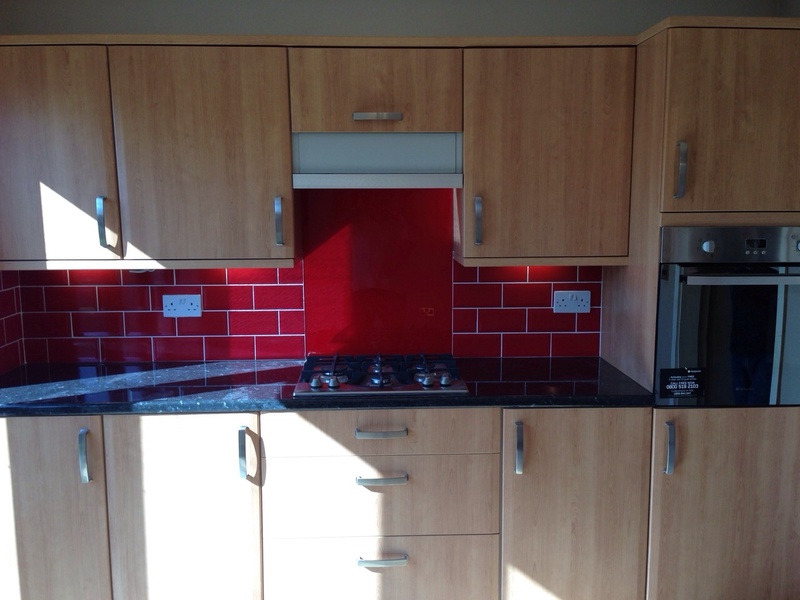 Kitchen Supply and Re-fit completed in Dover. 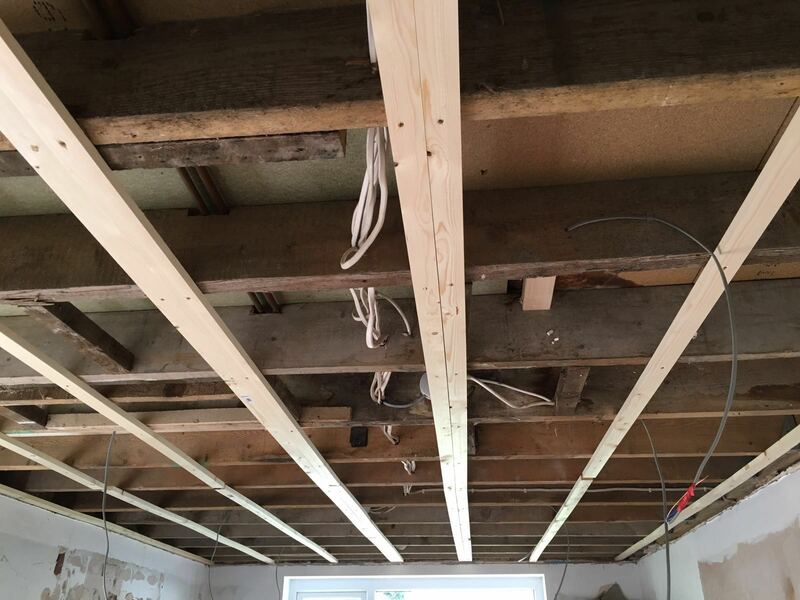 Including electrics, new ceiling with spots, plumbing, wall tiling, wood flooring and painting. 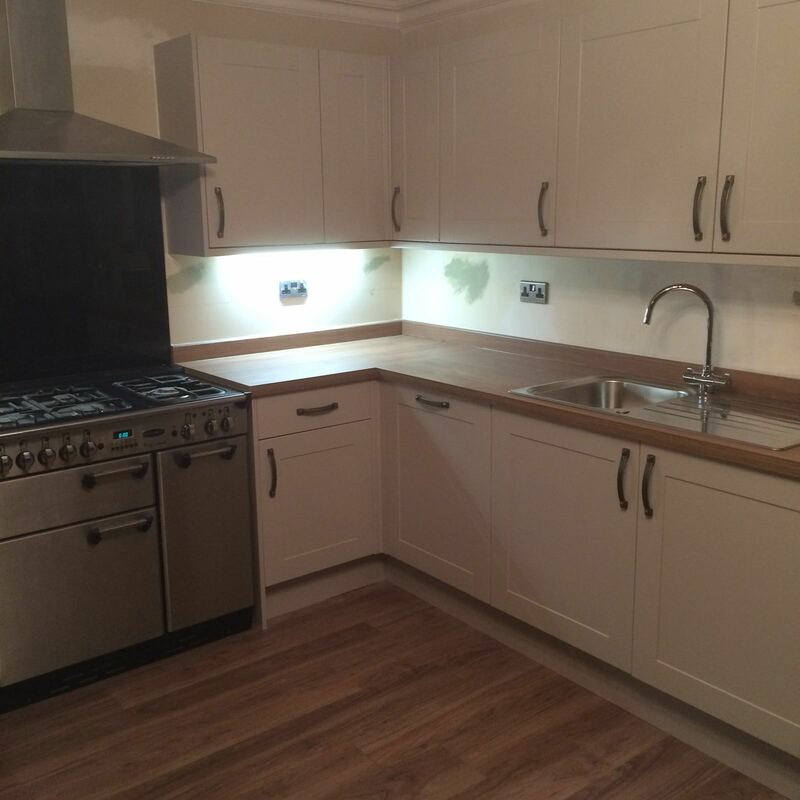 Full kitchen supply and re-fit completed in Bexleyheath. 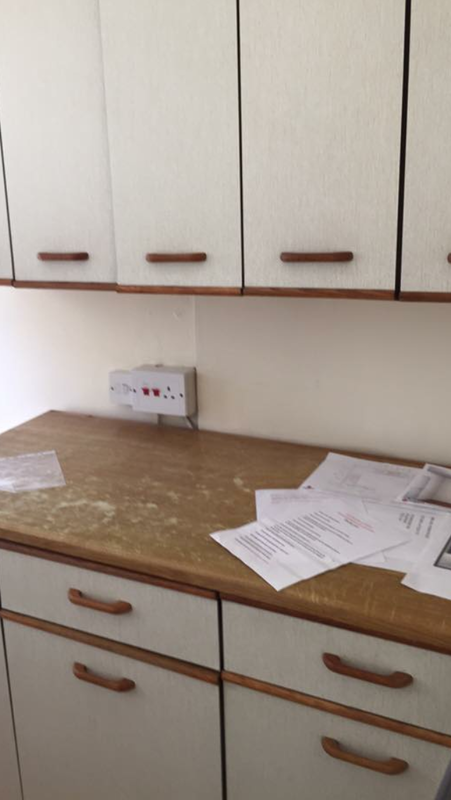 Including new electrics, re plastering, plumbing and new ceiling. 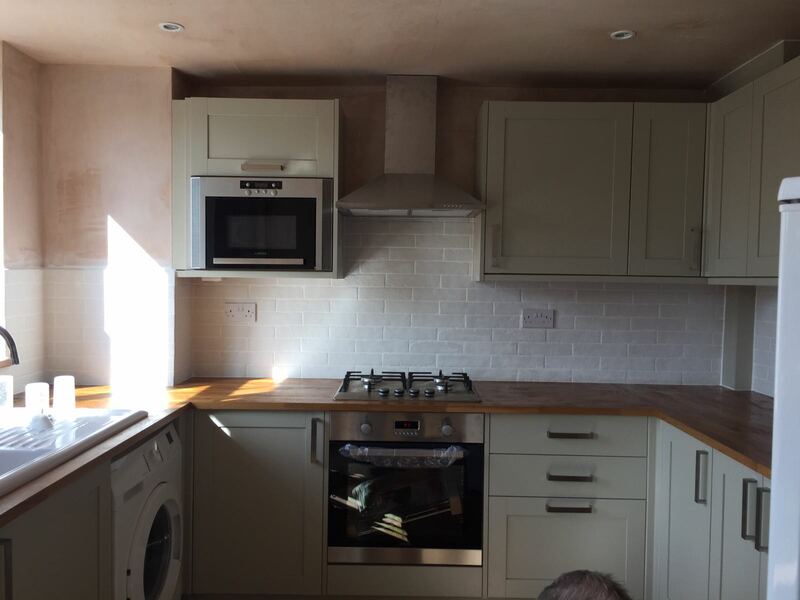 Including electrics, plumbing, new ceiling and wall tiling. 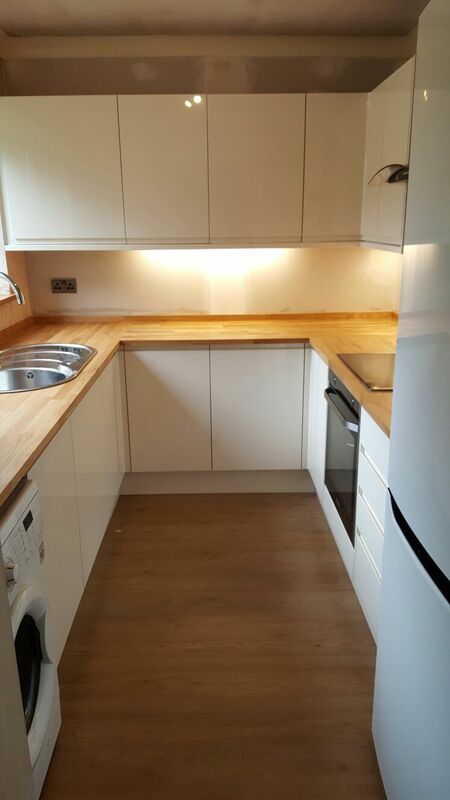 Full kitchen install completed in Catford. 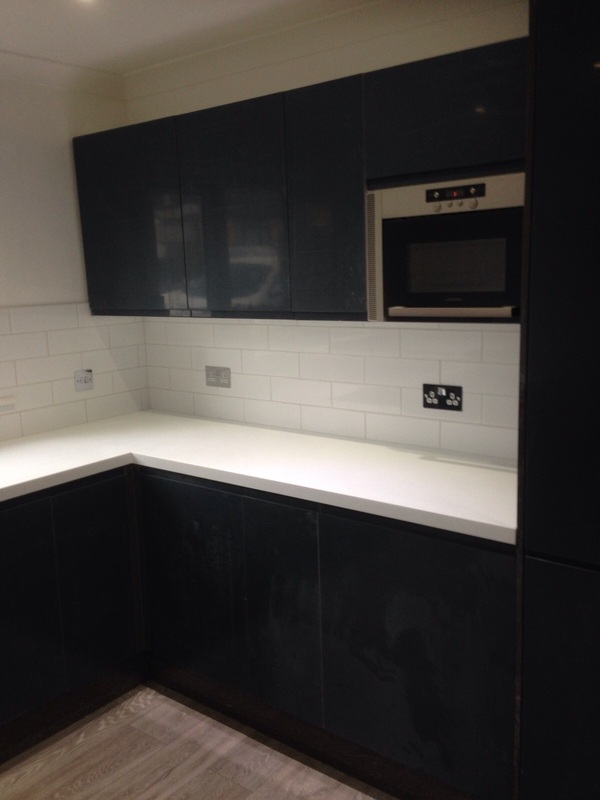 Including electrics, plumbing, floor and wall tiling. 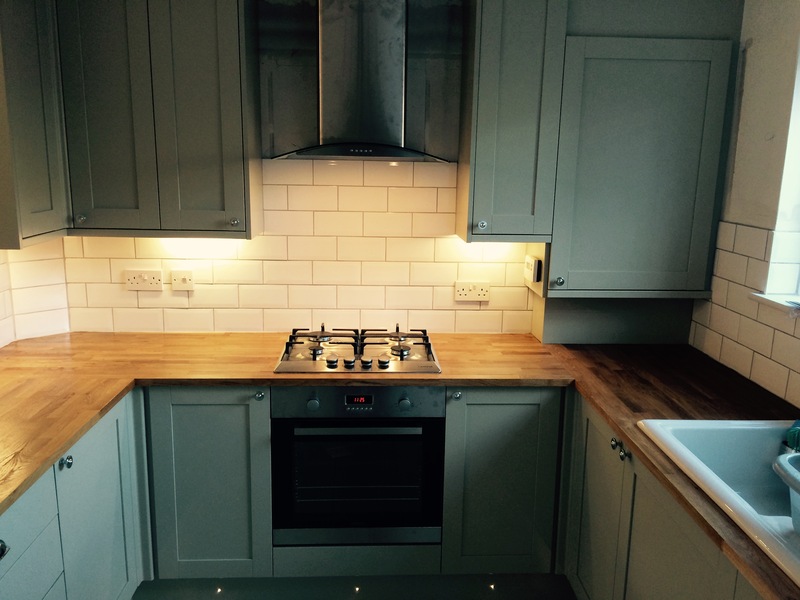 Including Electrics, Plumbing, Plastering, Floor Tiling & Painting. 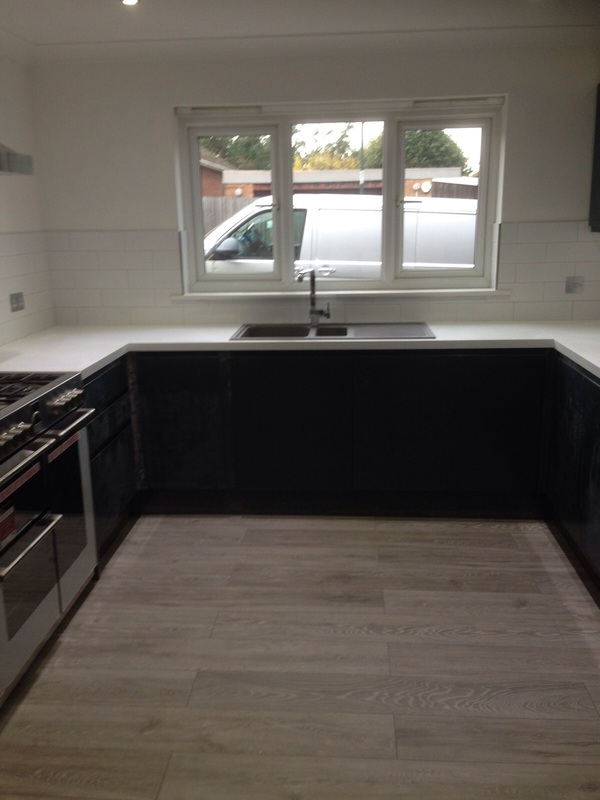 Full Kitchen refit completed in Shepway. 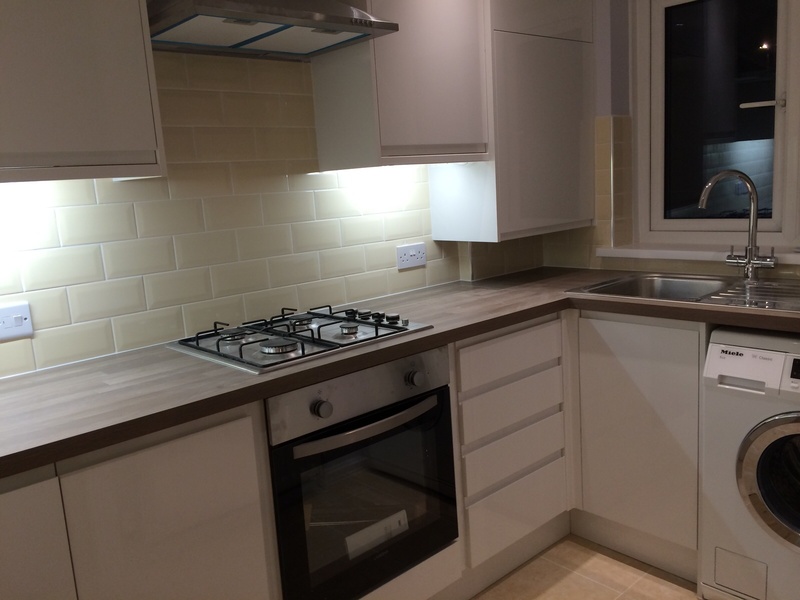 Including Wall tiling, New Flooring, New celling, Electrics and Plumbing. 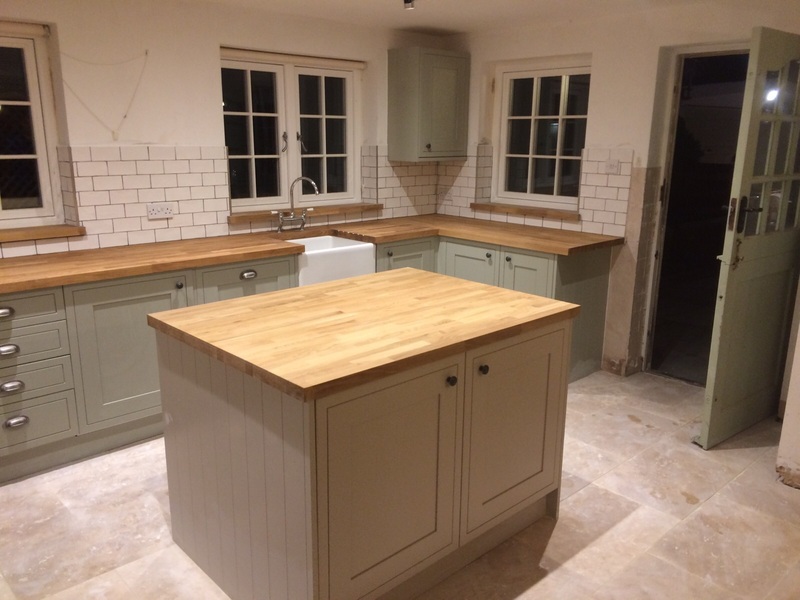 Full Kitchen refit in Barming completed. 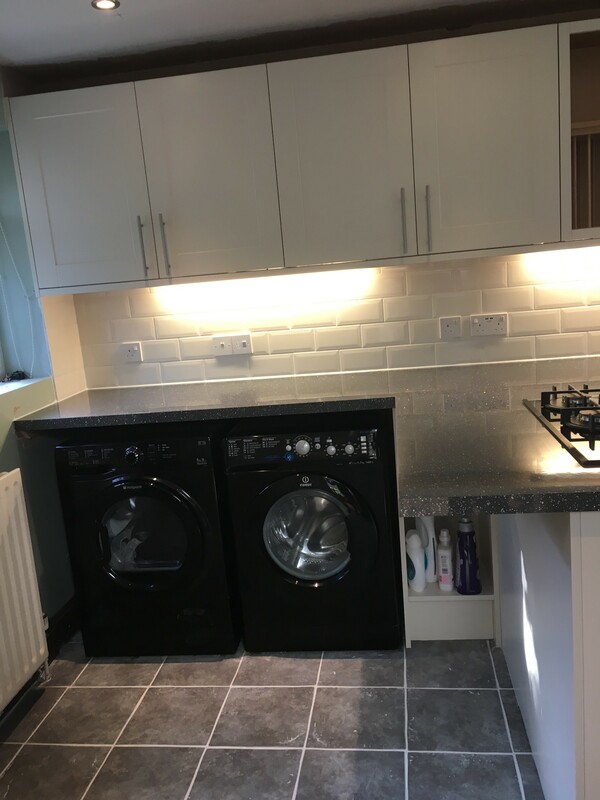 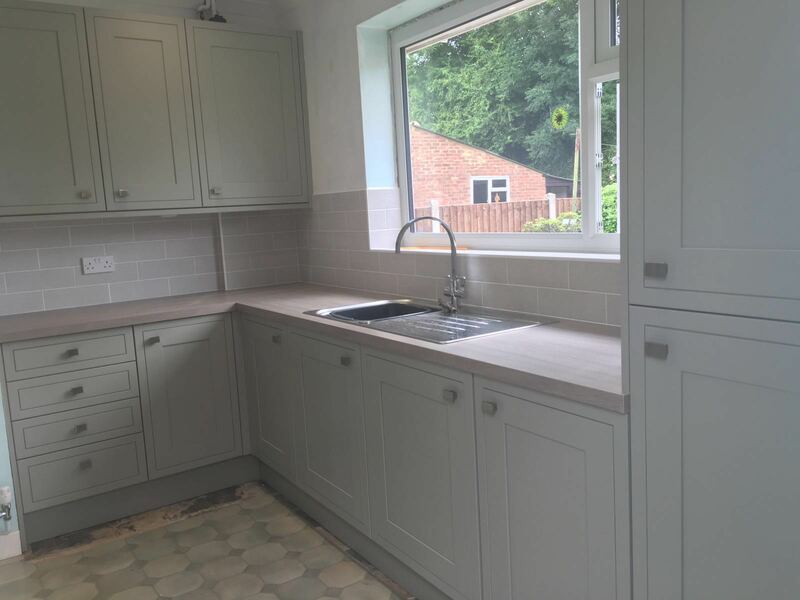 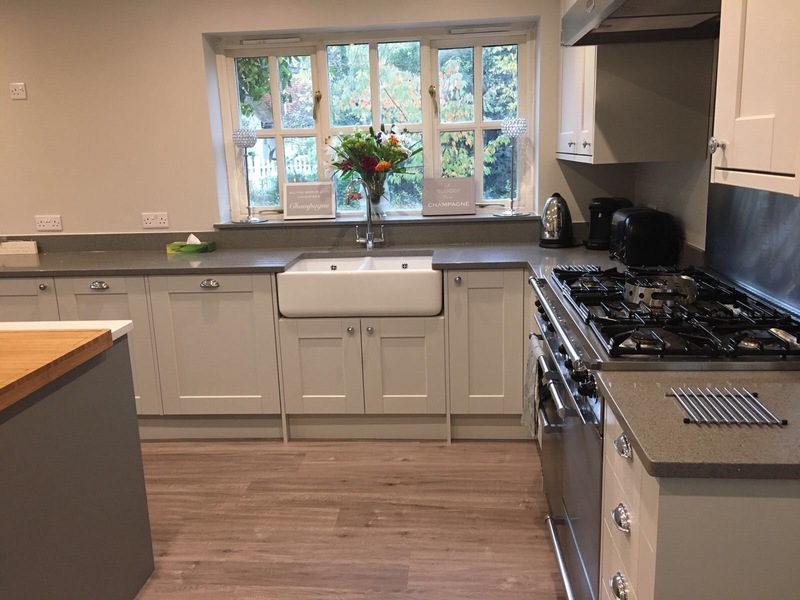 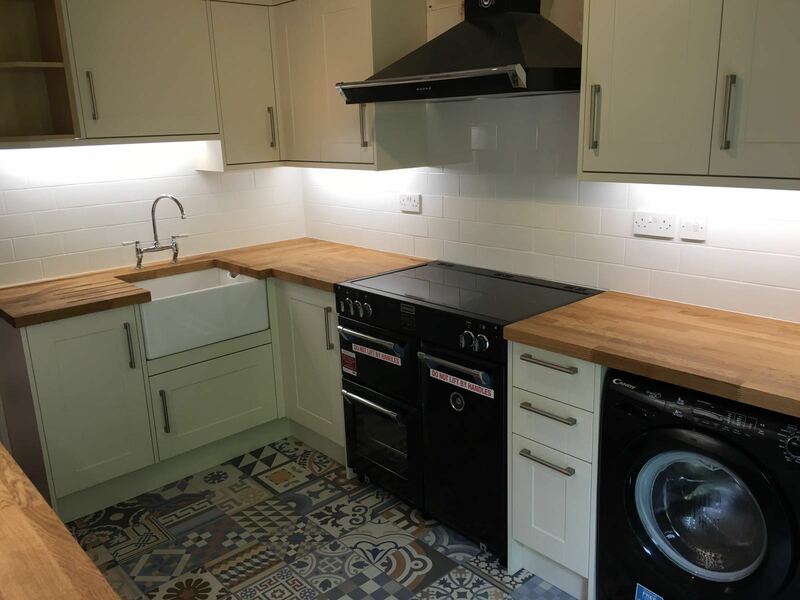 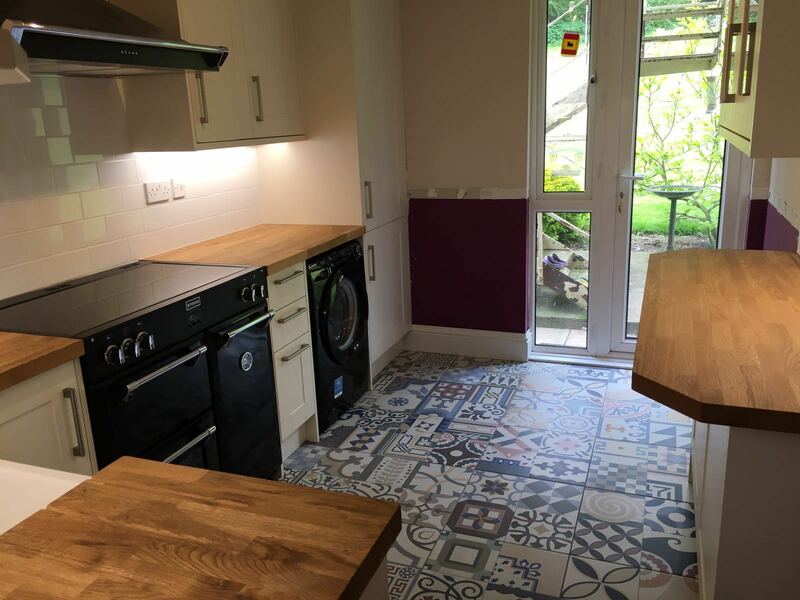 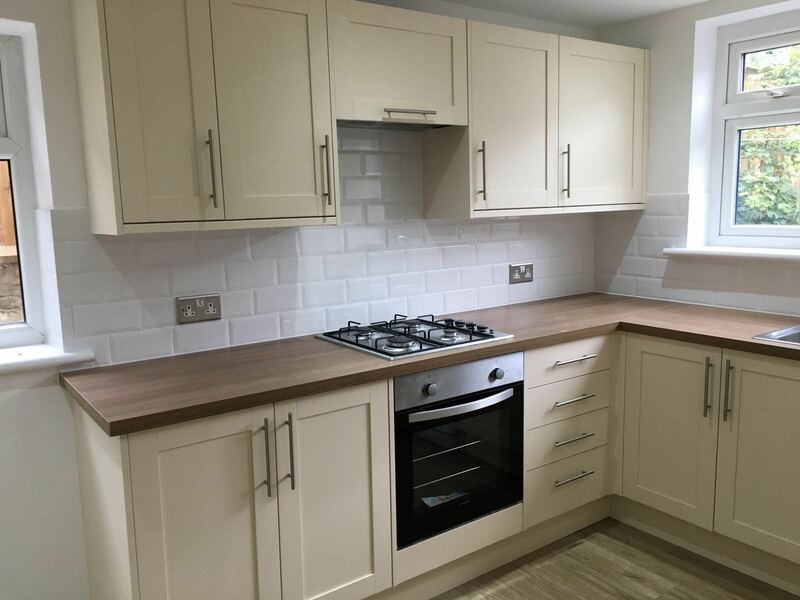 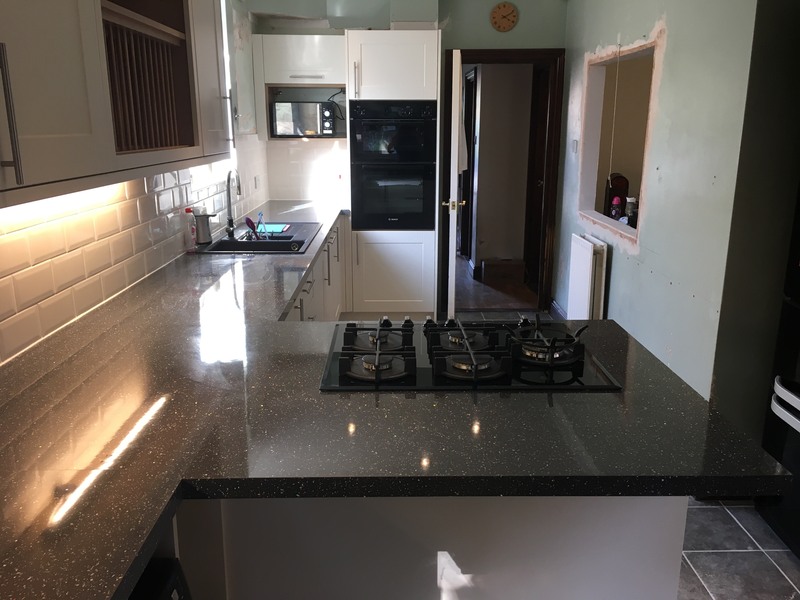 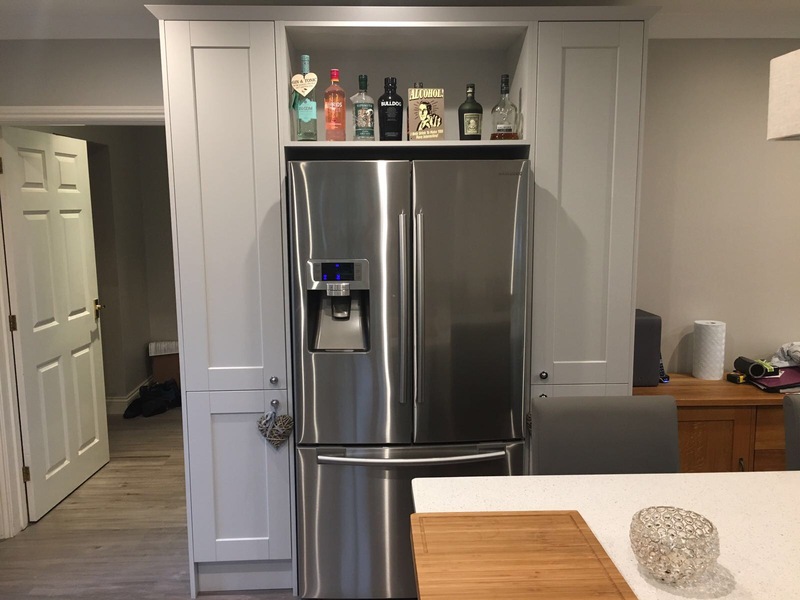 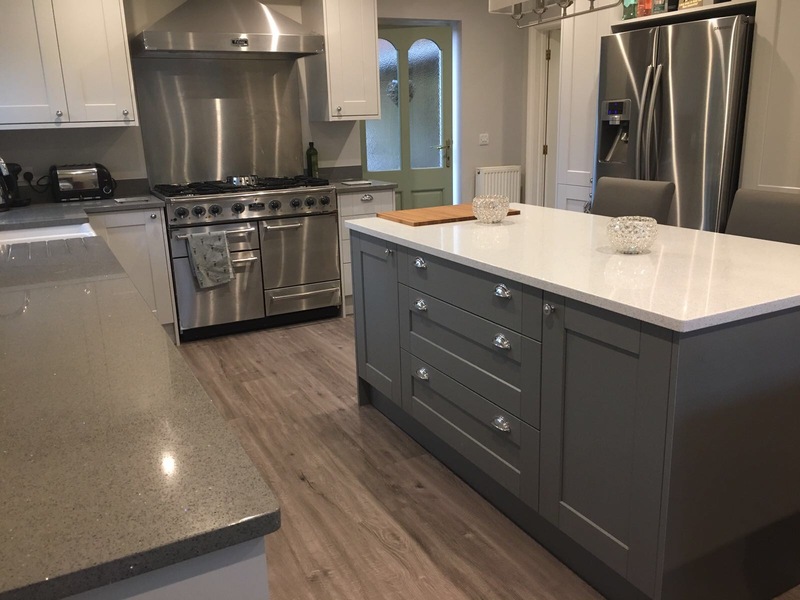 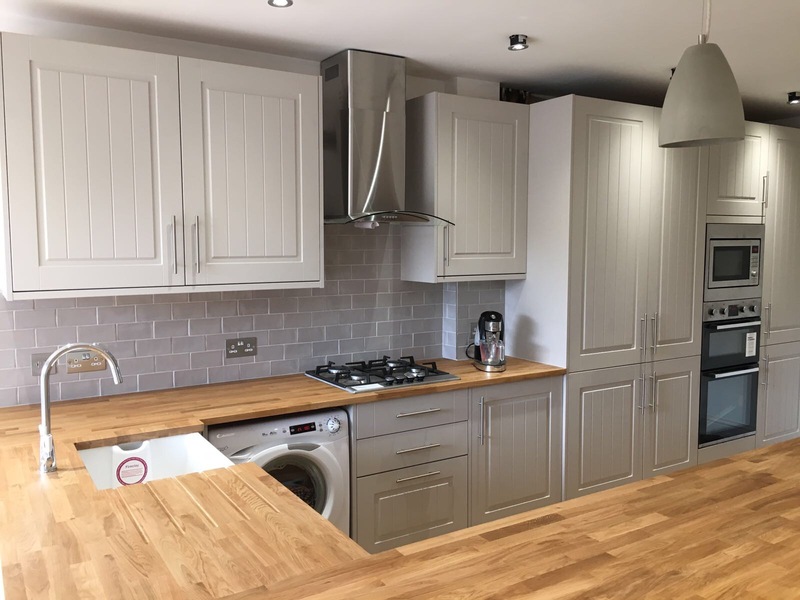 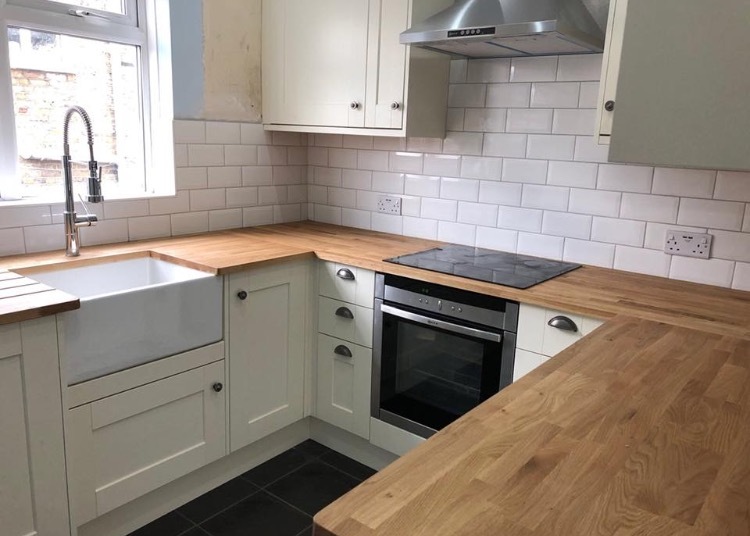 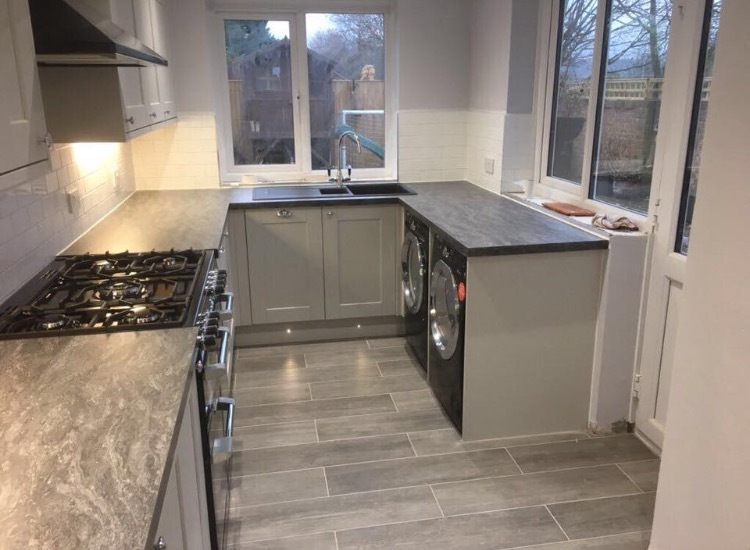 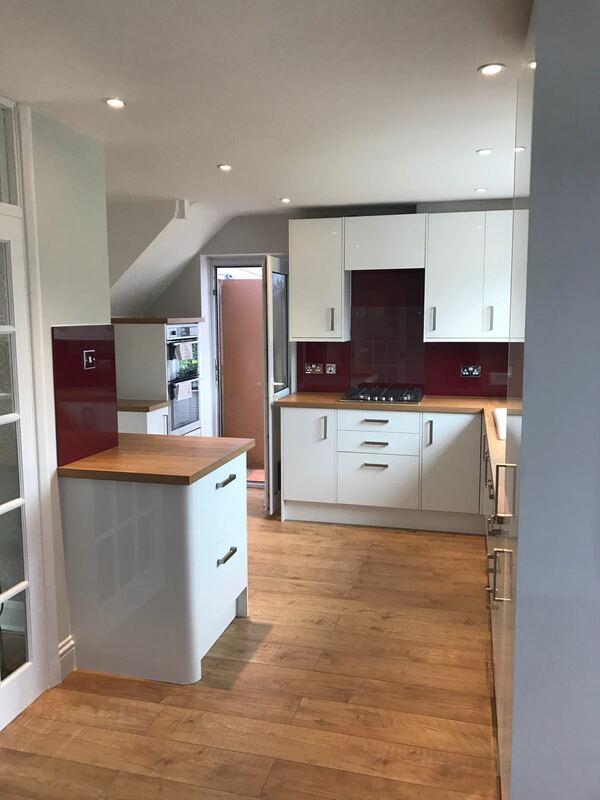 Full Kitchen Refurb in Bearstead including removal of wall to create an Open plan Space, New ceiling, Electrics, Plumbing, new radiators added, Celling Painted, New wood Flooring and wall Tiling. 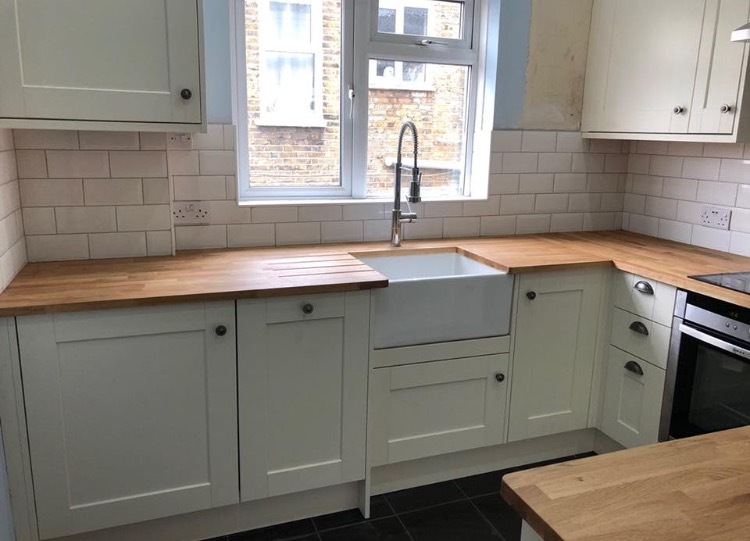 Full Kitchen refub in London. 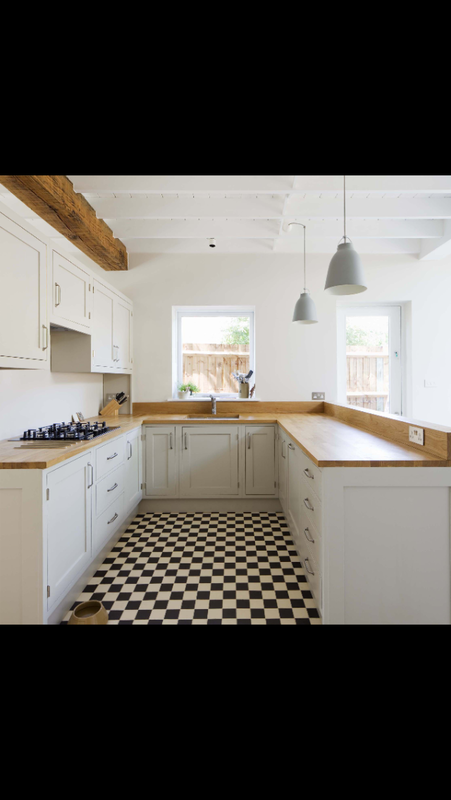 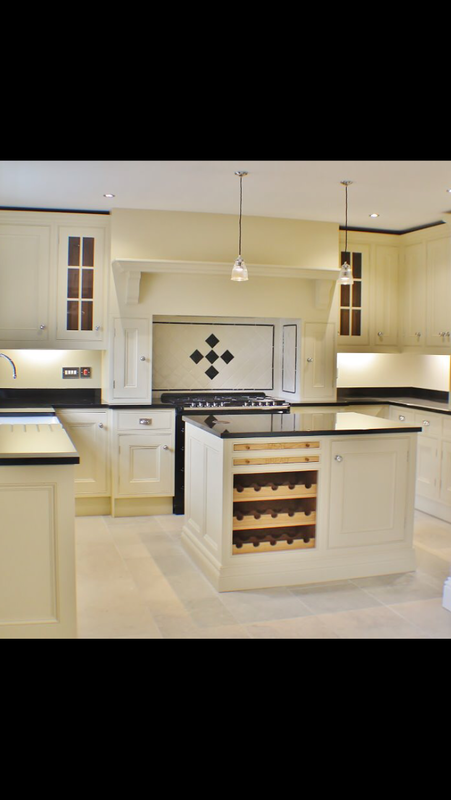 Supply, Design & fit of Kitchen in Dulwich. 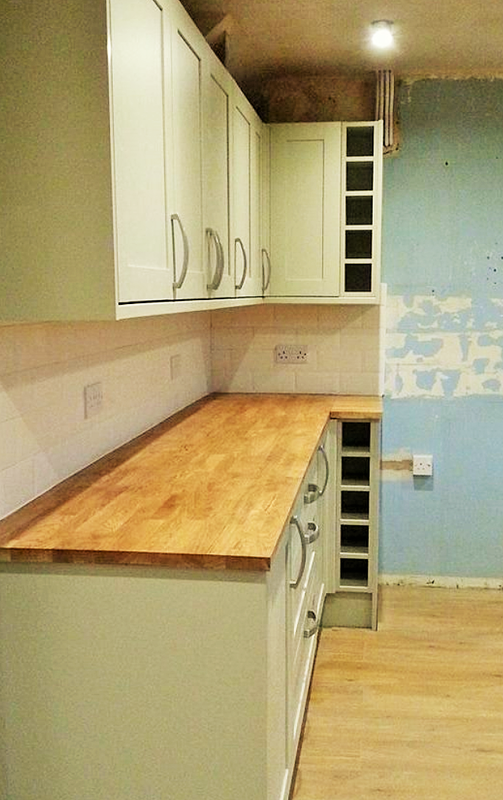 Including New Electrics, Flooring and wall Tiling. 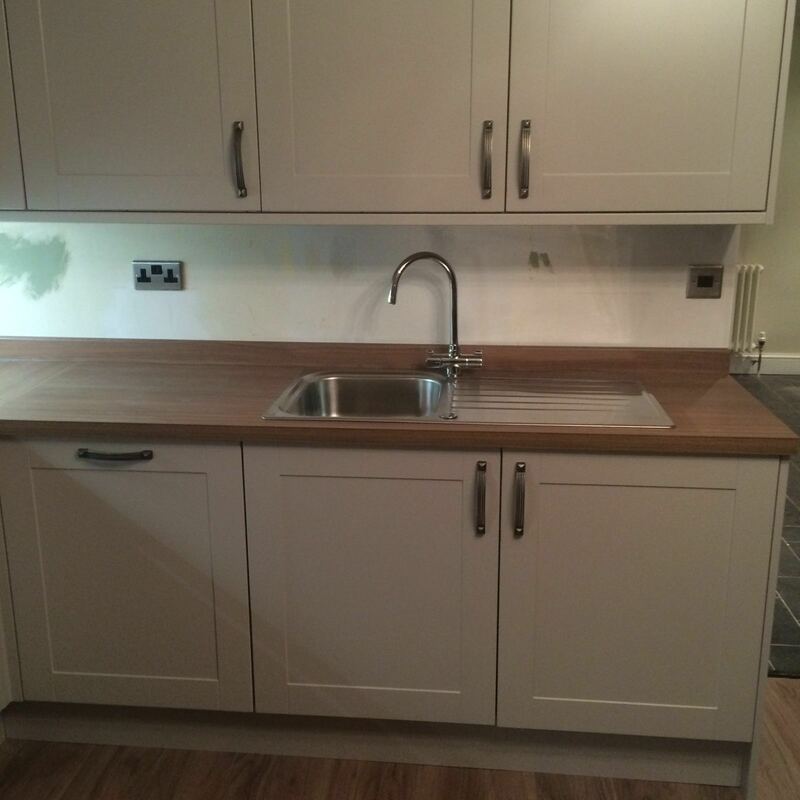 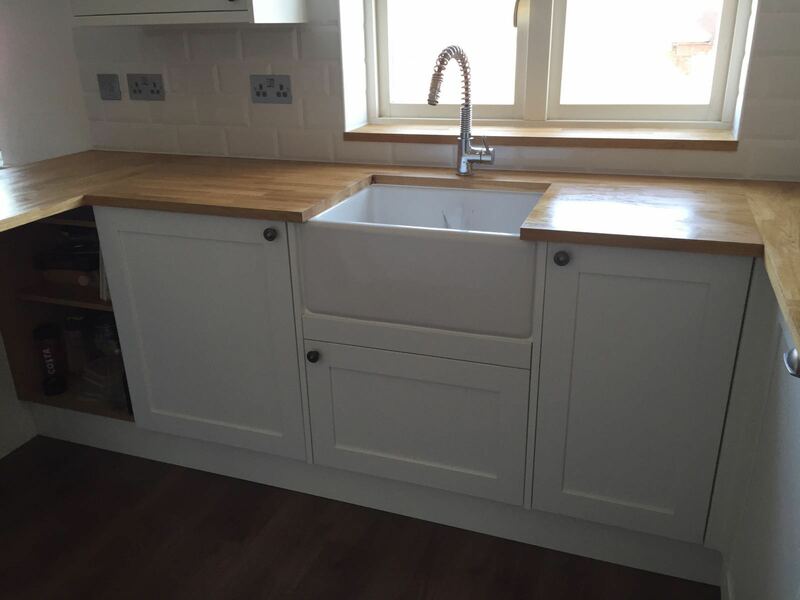 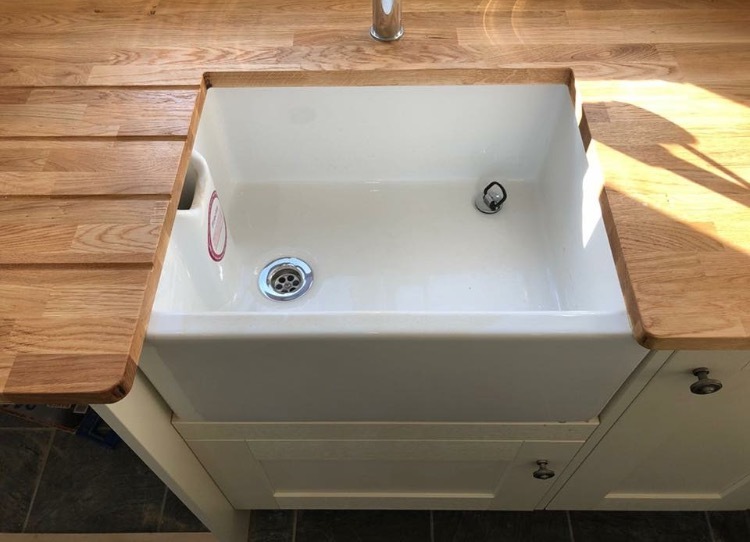 Including underfloor heating wall and floor Tiling, solid Oak Worktops, plumbing and Butler Sink. 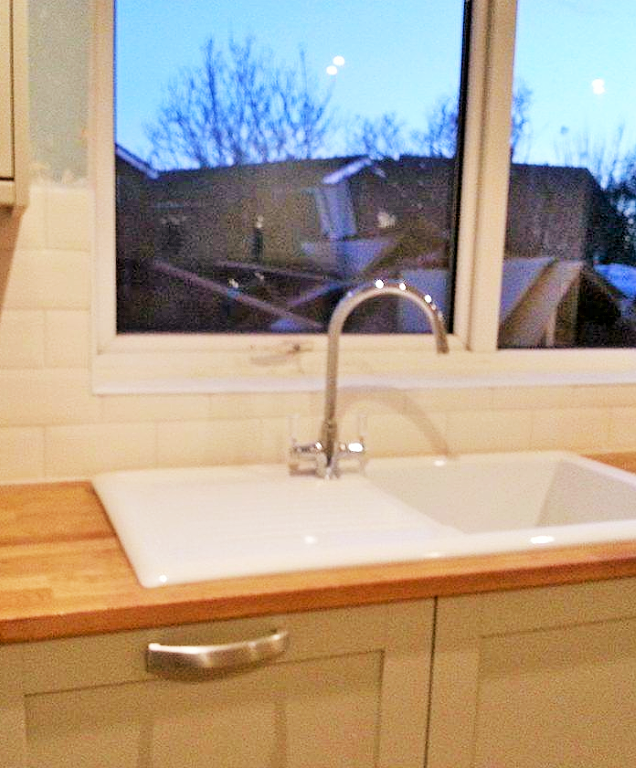 Including wall tiling, plumbing and electrics. 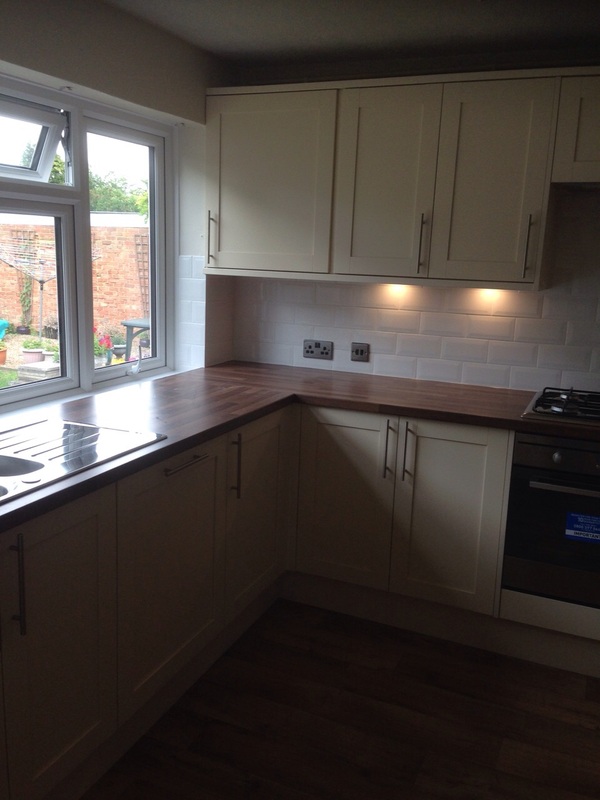 Including Design, Supply of Howden kitchen & fit, Full Re-wiring of Electrics, Plumbing and tiling. 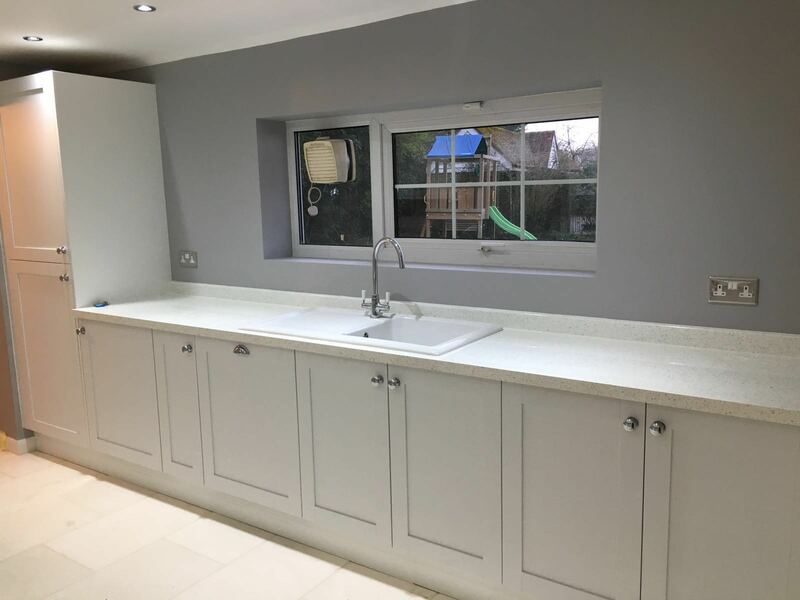 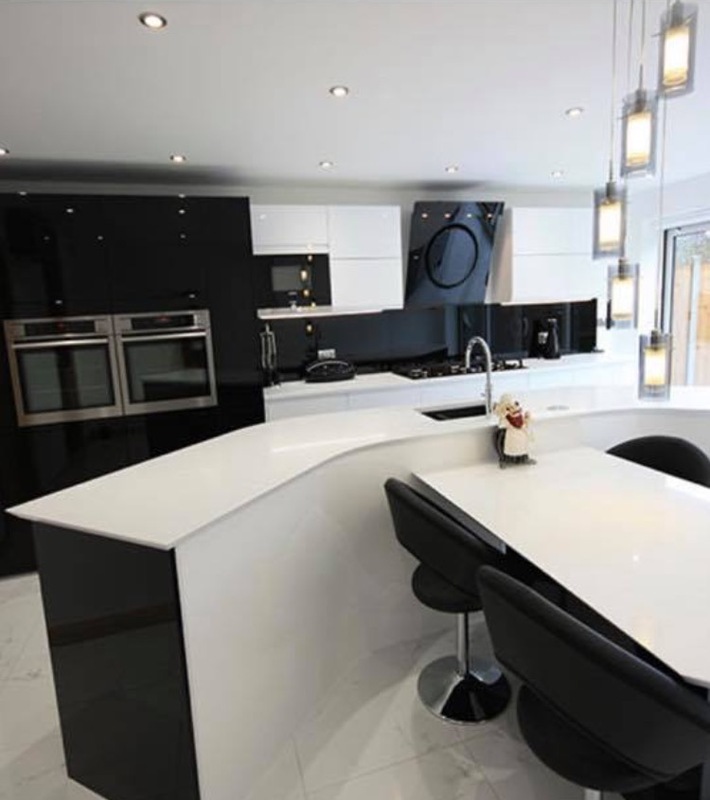 Full Kitchen Design, Supply and Fit in Eltham. 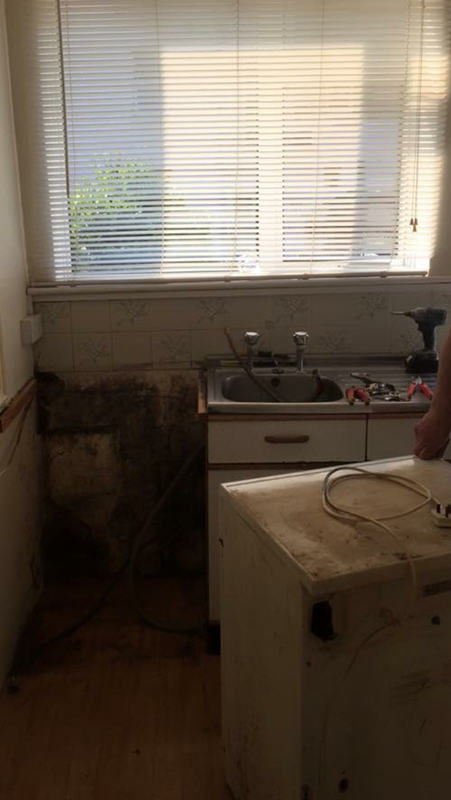 Including Re-Wiring of electrics, Plumbing and tiling. 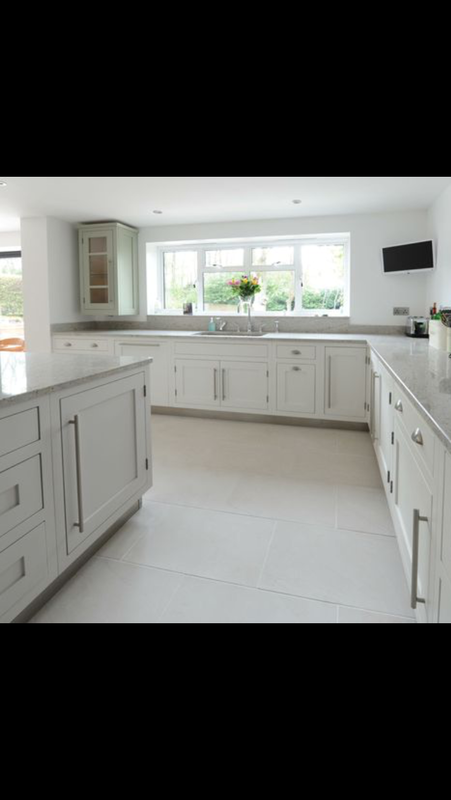 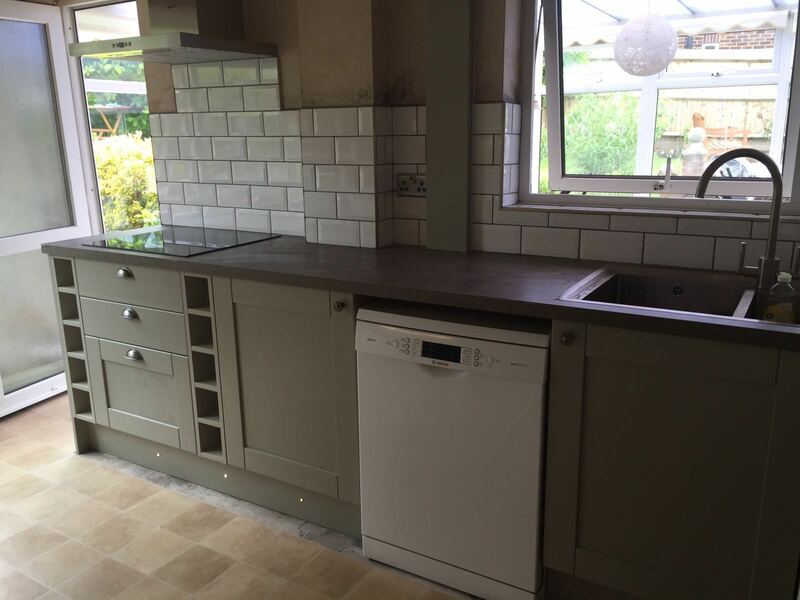 Designed, Supplied (Howdens Kitchen) & Fitted including Electrics, Plumbing, Wall and Floor Tiling(Slate Tiles). 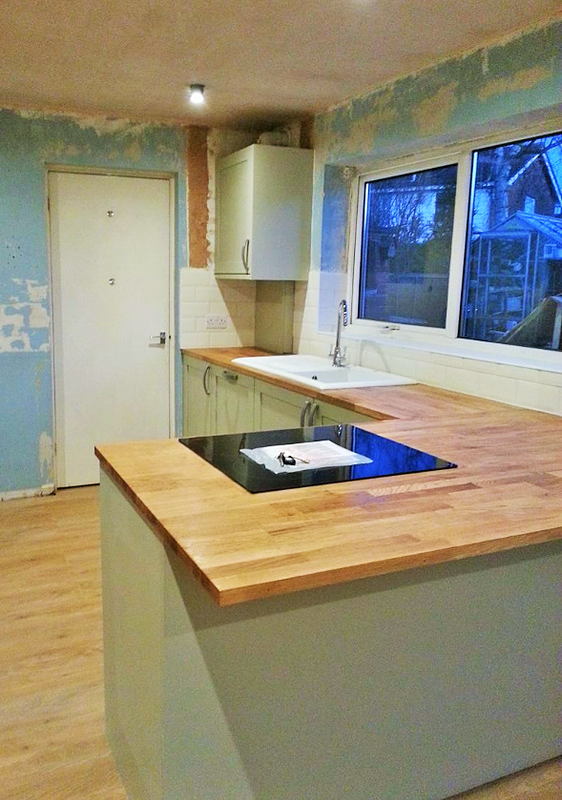 Full Kitchen refit in Sidcup. 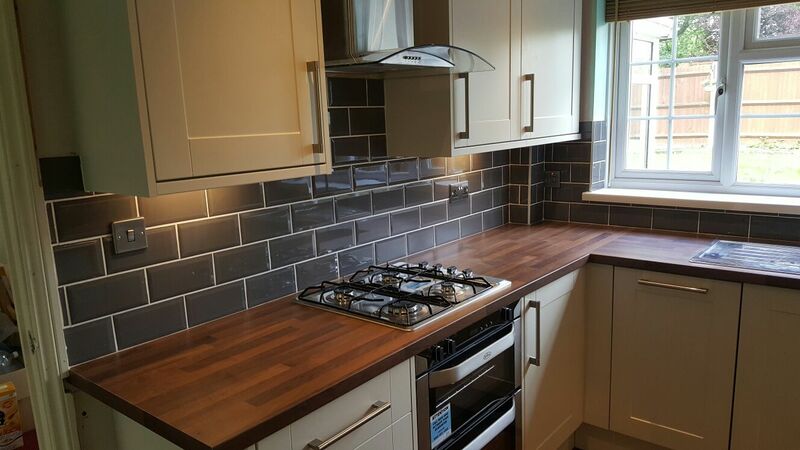 Including Electrics, Plumbing & Tiling. 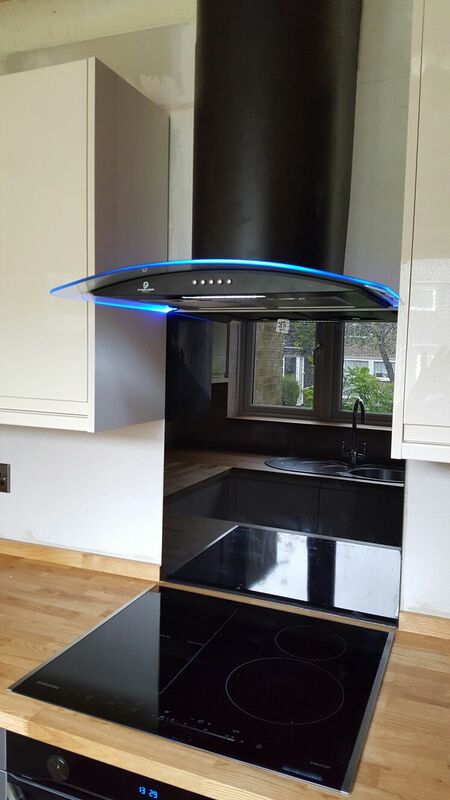 Designed, Supplied & Fitted by AC Installations. 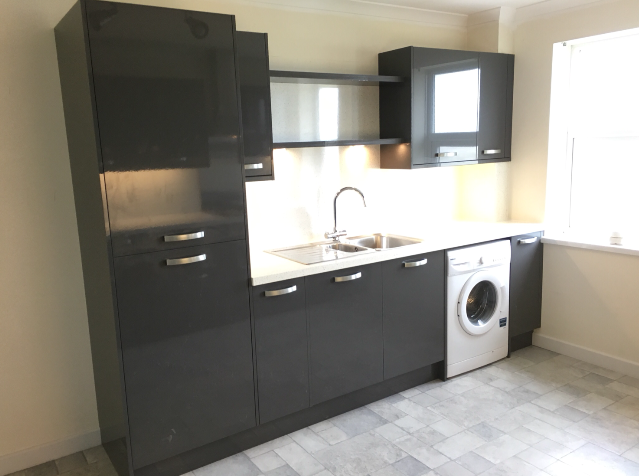 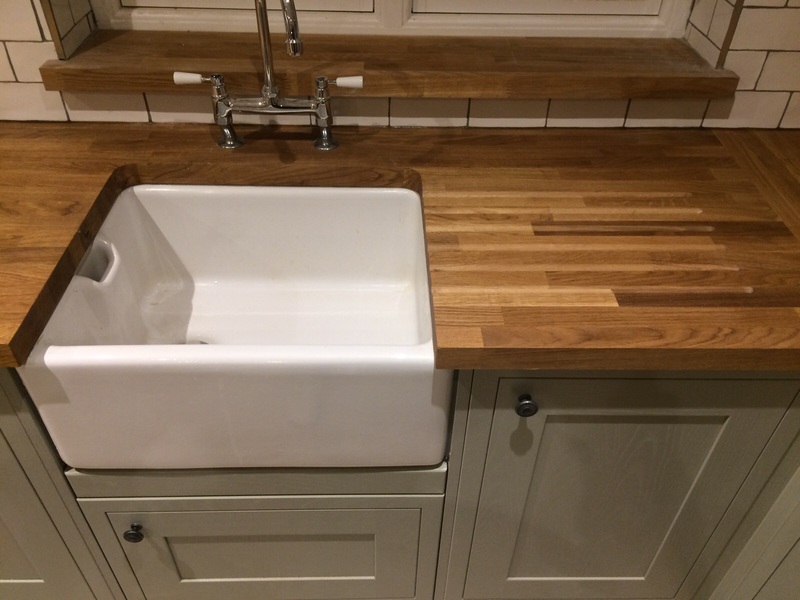 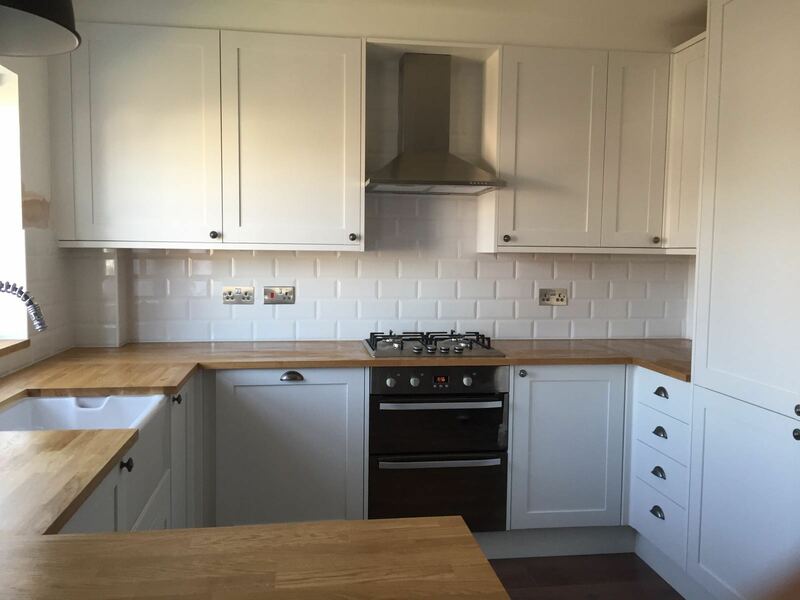 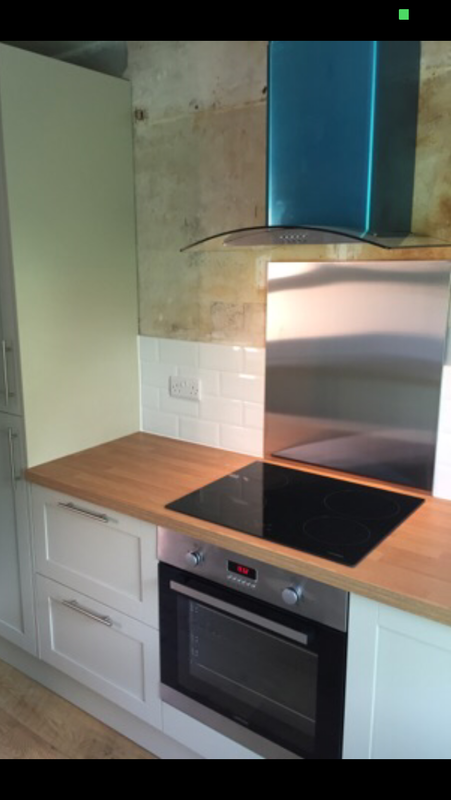 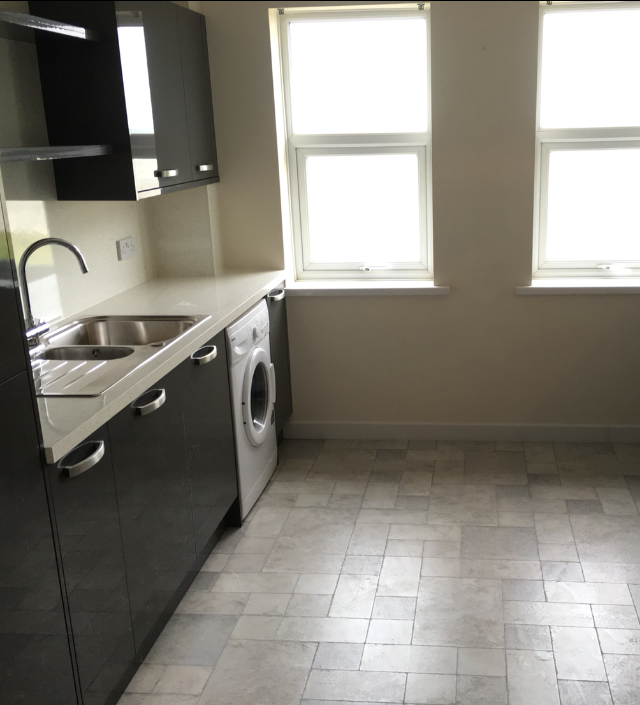 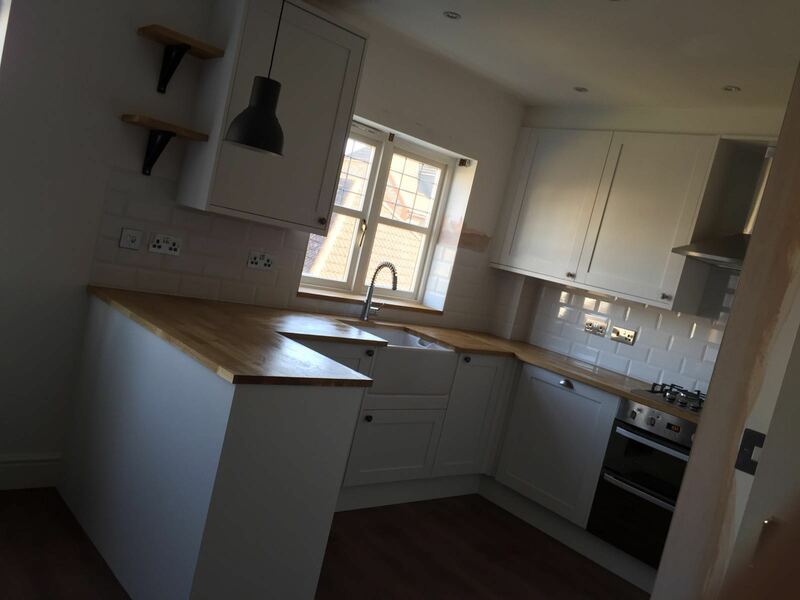 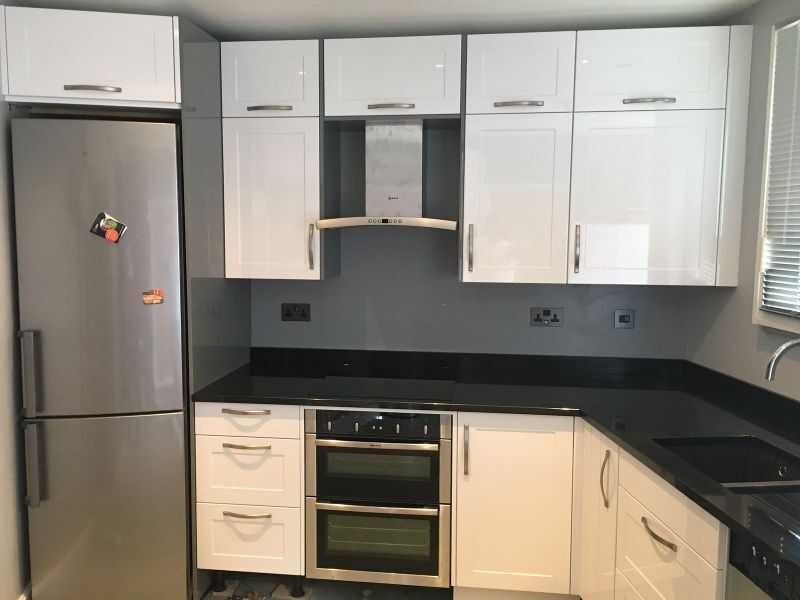 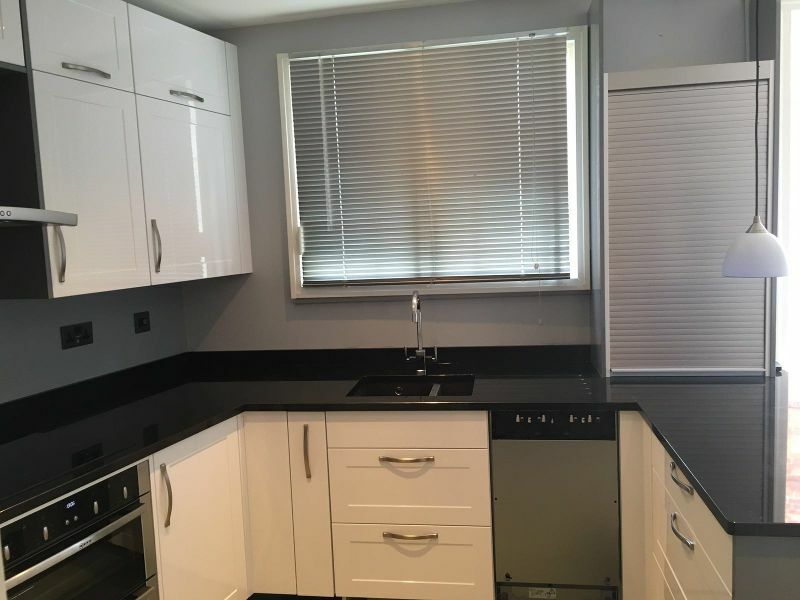 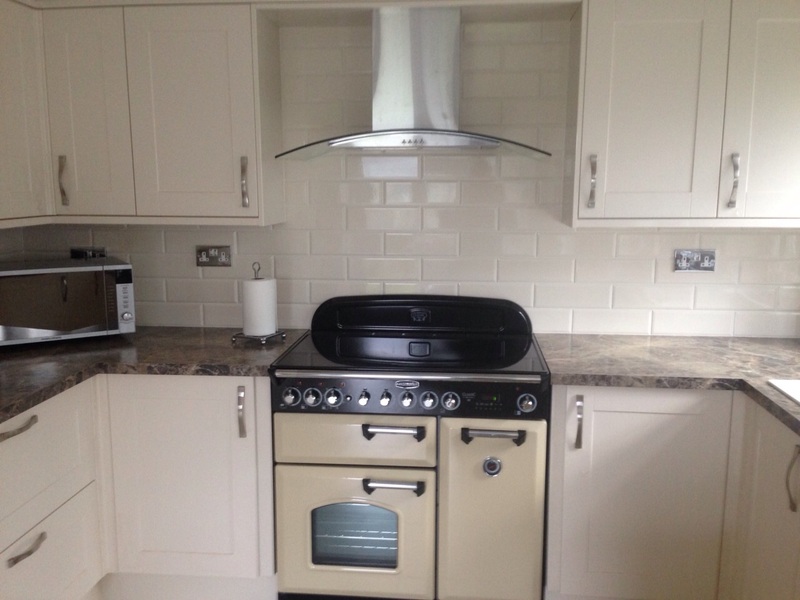 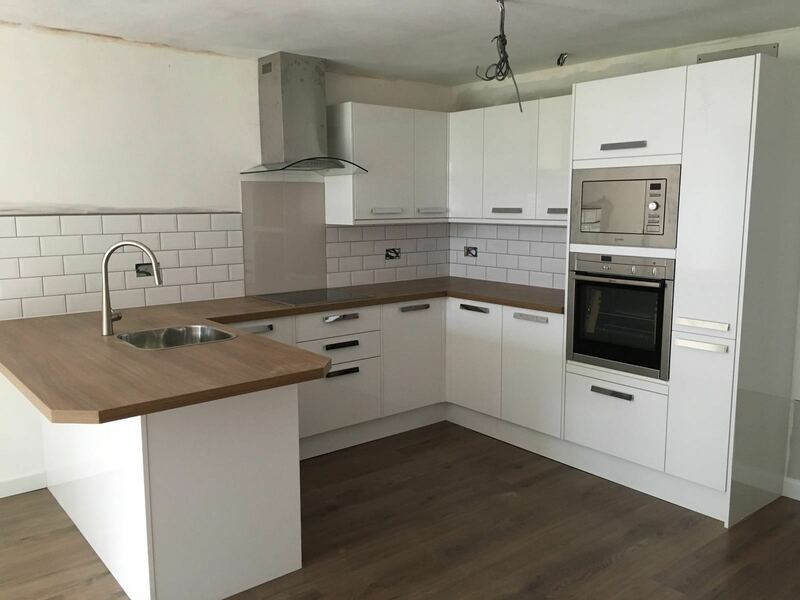 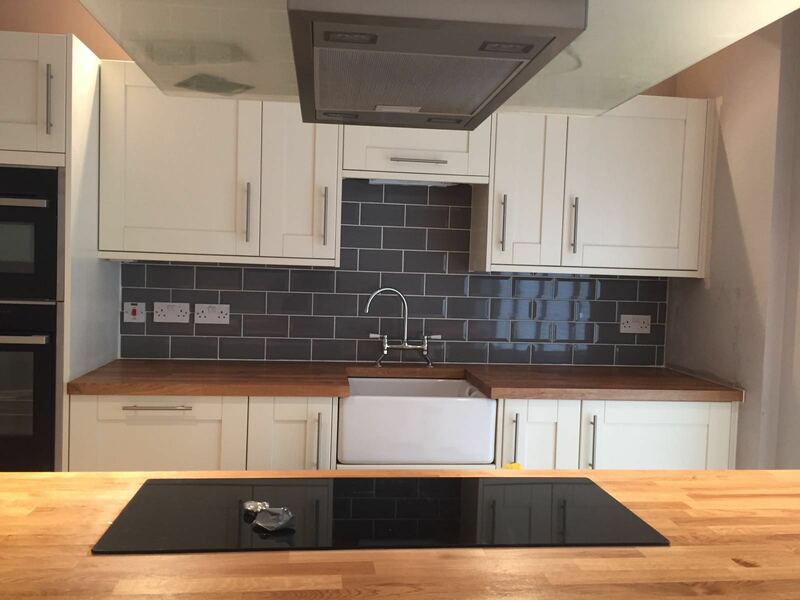 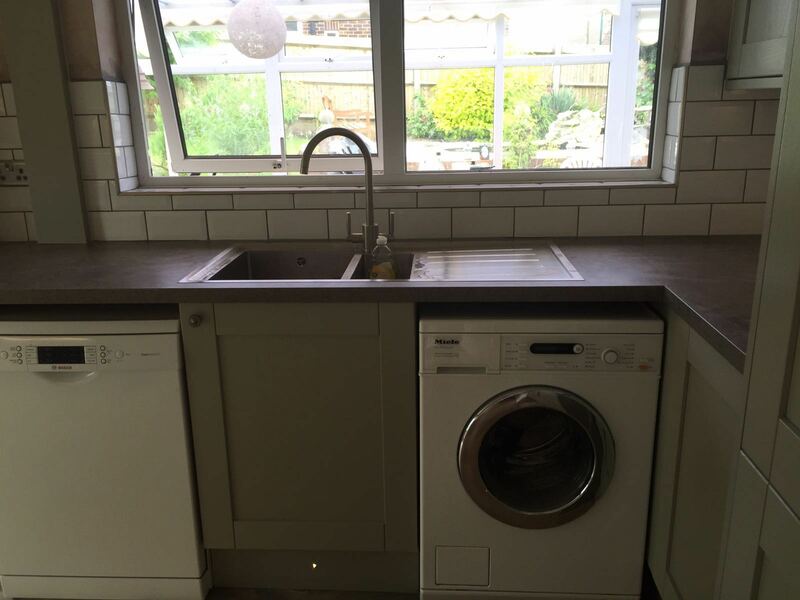 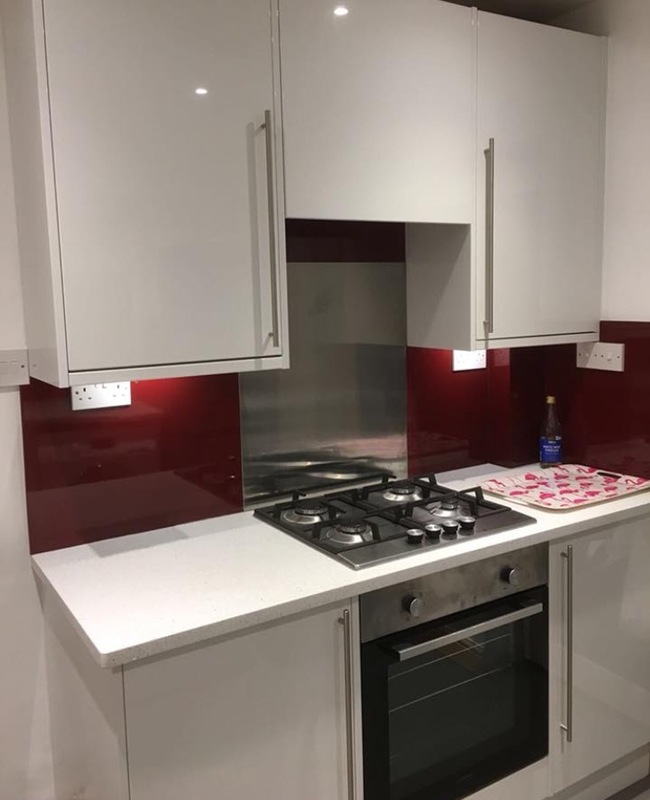 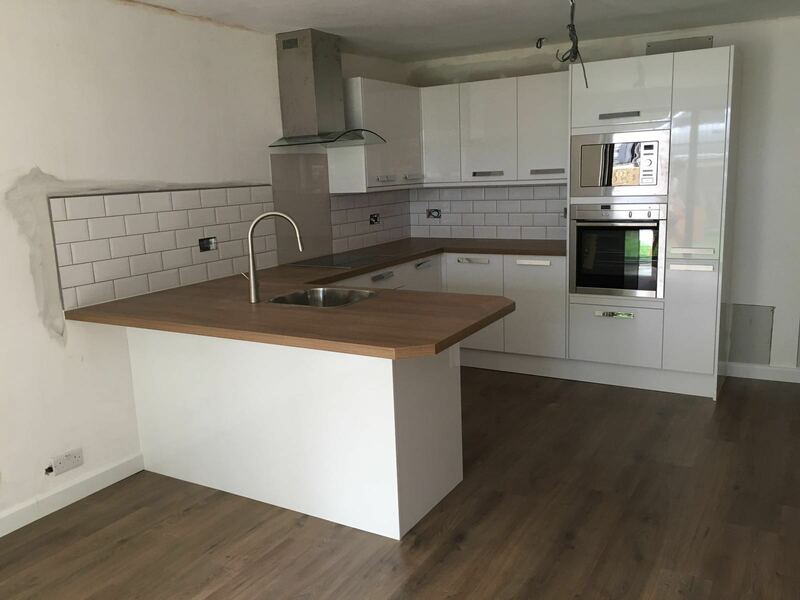 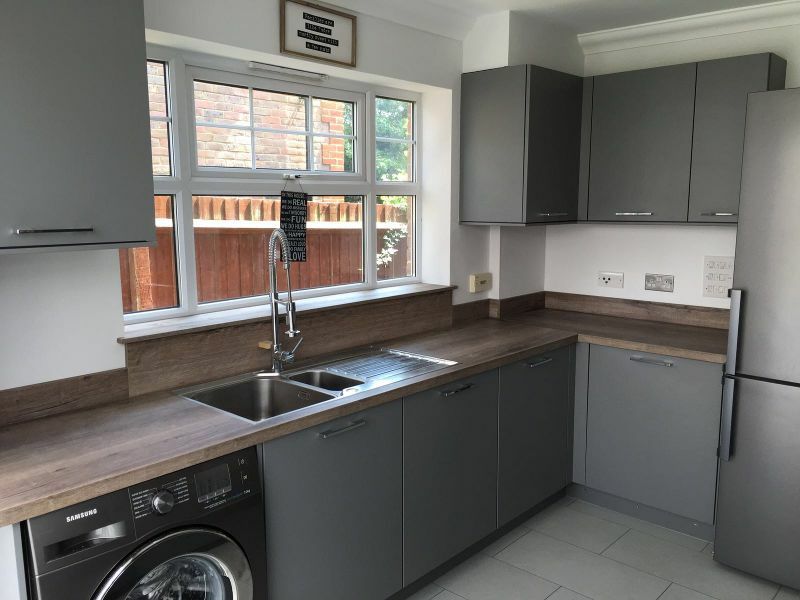 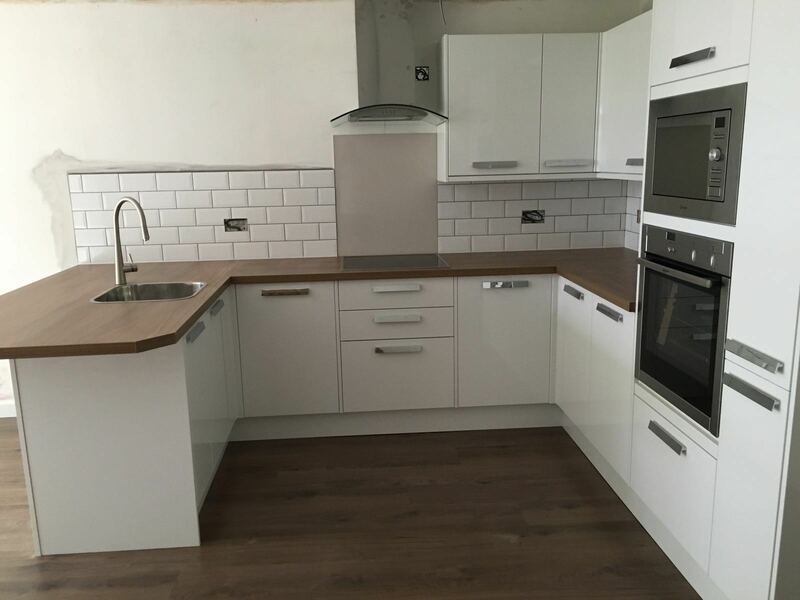 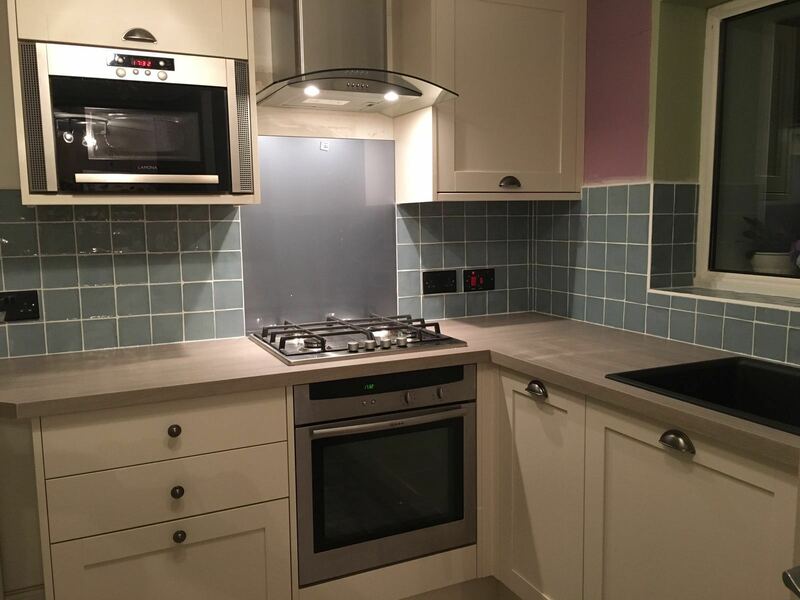 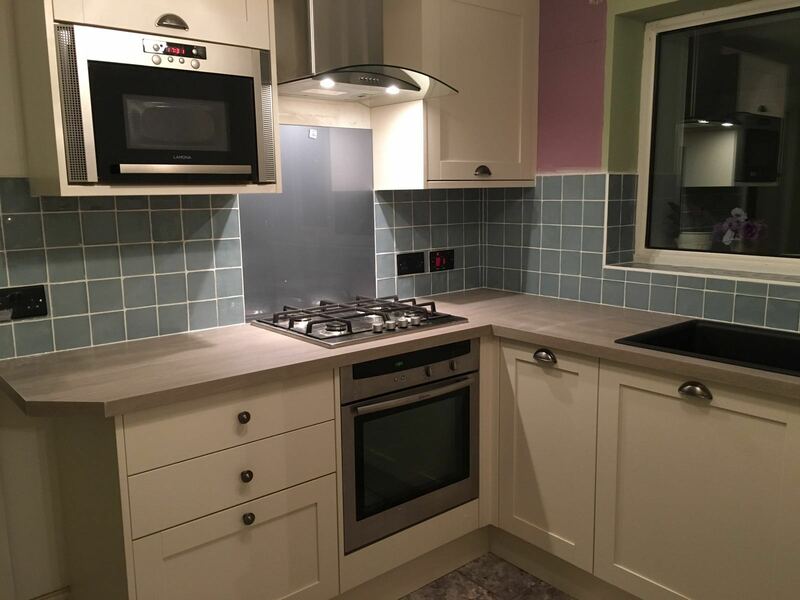 Full Kitchen refurb in Walthamstow E17 including Electrics, Plumbing and Tiling.